Full list of publications (453 kb in PDF). Disaster Response and Humanitarian Aid. Disaster Risk Reduction, Vulnerability, and Resilience. Jonkman, S.N. and I. Kelman. 2005. "Deaths During the 1953 North Sea Storm Surge". Pp. 749-758 in Proceedings of the Solutions to Coastal Disasters Conference, American Society for Civil Engineers (ASCE), Charleston, South Carolina, 8-11 May 2005, abstract (39 kb in PDF). Jonkman, S.N., I. Kelman, and V. Bain. 2005. "A Physical Interpretation of Human Stability in Flowing Water". In Proceedings of the International Symposium on Stochastic Hydraulics, International Association of Hydraulic Research, Nijmegen, The Netherlands, 23-24 May 2005, abstract (40 kb in PDF). Kelman, I. 2003. "U.K. Drownings". CFS Press, January 2003, full text (322 kb in PDF). Kelman, I. 2004. "Direct Disaster Deaths". Fragilecologies, 12 January 2004, full text (24 kb in PDF). Kelman, I. 2006. "A Framework for Weather-Related Fatalities Research". Weather and Society Watch, vol. 1, no. 1, p. 4, full text (58 kb in PDF). Kelman, I. 2010. "The Unthinkable: Who Survives When Disaster Strikes â€“ And Why. By Amanda Ripley". Natural Hazards Review, vol. 11, no. 3, p. 125. Kelman, I. and S.N. Jonkman. 2007. "Disaster Deaths Research Challenges". Presentation at the Hazards and Disasters Researchers Meeting, Boulder, Colorado, U.S.A., 11-12 July 2007, full text (223 kb in PDF). Kelman, I. and R. Spence. 2002. "Understanding Flood Hazards and Vulnerabilities: New Approaches to Comprehensive Flood Risk Assessment in the U.K.". Geophysical Research Abstracts, vol. 4, session NH3.01 "Risk Assessment and Mapping: Flood Risk Assessment and Mapping" at the 27th General Assembly of the European Geophysical Society, Nice, France, 21-26 April 2002. See the floodline above the level of the electricity mains. I was told that someone waded through the floodwater to turn the mains off. The ironic name of this location is Darwin College in Cambridge, U.K.
See also the Disaster Diplomacy website. Budowski, G., I. Kelman, and V. Prescott. 2002. "The Spratly Islands: an opportunity for environmental diplomacy?" Wise Coastal Practices for Sustainable Human Development Forum, 6 June 2002. Field, J. and I. Kelman. 2018. "The Impact on Disaster Governance of the Intersection of Environmental Hazards, Border Conflict and Disaster Responses in Ladakh, India". International Journal of Disaster Risk Reduction, vol. 31, pp. 650-658. Gaillard, JC, E. ClavÃ©, and I. Kelman. 2008. "Wave of peace? Tsunami disaster diplomacy in Aceh, Indonesia". Geoforum, vol. 39, no. 1, pp. 511-526. Gaillard, JC, I. Kelman, and M.F. Orillos. 2009. "US-Philippines Military Relations After the Mt Pinatubo Eruption in 1991: A Disaster Diplomacy Perspective". European Journal of East Asian Studies, vol. 8, no. 2, pp. 301-330. Ganapati, E., I. Kelman, and T. Koukis. 2010. "Analyzing Greek-Turkish Disaster-Related Cooperation: A Disaster Diplomacy Perspective". Cooperation and Conflict, vol. 45, no. 2, pp. 162-185. Kelman, I. 2004. "Disaster Diplomacy is Dead! Long live Disaster Diplomacy!" Scoop, 13 January 2004, 11:44 am, full text (as a webpage). Kelman, I. 2004. "One Earthquake Won't Seal a U.S.-Iran Bond". Newsday, 11 January 2004, full text (as a webpage). Kelman, I. 2004. "Will USA-Iran Disaster Diplomacy Have Longevity?" Scoop, 2 January 2004, 6:22 pm, full text (as a webpage). Kelman, I. 2005. "Tsunami Diplomacy: Will the 26 December, 2004 Tsunami Bring Peace to the Affected Countries?" Sociological Research Online, vol. 10, issue 1, full text http://www.socresonline.org.uk/10/1/kelman.html or abstract (35 kb in PDF). Kelman, I. 2007. "Hurricane Katrina Disaster Diplomacy". Disasters, vol. 31, no. 3, pp. 288-309. Kelman, I. 2008. "Burma and China Disaster Diplomacy". Disaster and Social Crisis Research Network Electronic Newsletter, no. 34 (April-June), pp. 2-3, full text (11 kb in PDF). Kelman, I. 2009. "Can disaster diplomacy work to address climate change?" AlertNet, 2 December 2009, full text (11 kb in PDF). Kelman, I. 2011. "Norway-Somalia drought diplomacy?" The Foreigner, 16 September 2011, full text (as a webpage). Kelman, I. 2014. "Climate Change Diplomacy, Island Vulnerability, and Migration". Chapter 2, pp. 16-25 in R. Stojanov (ed. ), Migration As Adaptation? Population Dynamics in the Age of Climate Variability. Global Change Research Centre, The Academy of Sciences of the Czech Republic, Brno, Czech Republic. Kelman, I. 2017. "Disaster diplomacy for Kashmir". Presentation at Increasing Resilience to Environmental Hazards in Border Conflict Zones, Leh, India but presented via pre-recorded video, 10-13 July 2017. Kelman, I. 2018. "Creating Causal Chains from Disaster-Related Activities to Disaster Diplomacy". Presentation at the XIX ISA World Congress of Sociology - RC39.687 - Can Disaster Risk be Useful?, Toronto, Canada, 15-21 July 2018. Kelman, I. 2018. "Global Health Diplomacy through a Disaster Diplomacy Lens". Presentation at the XIX ISA World Congress of Sociology - RC39.688 - Can Disaster Risk Reduction and Disaster Research Support Regional Cooperation and Reconciliation Globally?, Toronto, Canada, 15-21 July 2018. Kelman, I. 2019 (February 5). "Disaster Diplomacy". Ice People, p. 7. Kelman, I., J. Field, K. Suri, and G.M. Bhat. 2018. "Disaster diplomacy in Jammu and Kashmir". International Journal of Disaster Risk Reduction, vol. 31, pp. 1132-1140. Kelman, I. and JC Gaillard. 2007. "Disaster diplomacy in Aceh". Humanitarian Exchange, no. 37 (March 2007), pp. 37-39. Kelman, I. and JC Gaillard. 2007. "Disaster Diplomacy in the Asia-Pacific Region". UN/ISDR Informs: Disaster Reduction in Asia Pacific, issue 3, pp. 54-57, full text (610 kb in pdf). Kelman, I., C. Webersik, P.I. Duda, A.C. Auestad, A.K. Sydnes, D. FjÃ¦rtoft, E. Nikitina, and N. Poussenkova. 2019. "Does Special Territorial Status Affect Disaster Diplomacy? A Case Study of Svalbard". Presentation at Special Territorial Status and Extraterritoriality: Exceptional Sovereignties and Sovereign Exceptions, Longyearbyen, Svalbard, 20-24 January 2019. Kontar, Y.Y., T. Beer, P.A. Berkman, J.C. Eichelberger, A. Ismail-Zadeh, I. Kelman, J.L. LaBrecque, A.E. Sztein, and Y. Zaika. 2018. "Disaster-related Science Diplomacy: Advancing Global Resilience through International Scientific Collaborations". Science & Diplomacy, vol. 7, no. 2, http://www.sciencediplomacy.org/article/2018/disaster-related-science-diplomacy-advancing-global-resilience-through-international, full text. Kontar, Y.Y., P. Berkman, P. Duda, T. Gavrilyeva, A. Ismail-Zadeh, I. Kelman, E. Sztein, and Y. Zaika. 2018. "Disaster Diplomacy in the Arctic: Advancing Research and Bridging Boundaries". Presentation at Polar 2018, Davos, Switzerland, 15-26 June 2018. Koukis, T., I. Kelman, and N.E. Ganapati. 2016. "Greece-Turkey disaster diplomacy from disaster risk reduction". International Journal of Disaster Risk Reduction, vol. 17, pp. 24-32. Mavrogenis, S. and I. Kelman. 2013. "Perceptions of Greece-Turkey Disaster Diplomacy: Europeanization and the Underdog Culture". Balkanistica, vol. 26, pp.73-104, full text (136 kb in PDF). Mavrogenis, S. and I. Kelman. 2018. "Disaster diplomacy and disaster governance from a Balkan perspective: Post-earthquake rapprochement in Greece-Turkey". Chapter 12, pp. 206-220 in Forino, G., S. Bonati, and L.M. Calandra (eds. ), Governance of Risk, Hazards and Disasters: Trends in Theory and Practice, Routledge, Abingdon, U.K.
Orillos-Juan, M.F., JC Gaillard, and I. Kelman. 2016. "Disaster Diplomacy: A Case Study of the US-Philippines Military Relations in the aftermath of the Mt Pinatubo Eruption in 1991". Presentation at Back to the Bases: Subic, Clark, and PH-US Relations 25 Years after the 1991 Philippine Senate Vote, Quezon City, the Philippines, 16 September 2016. 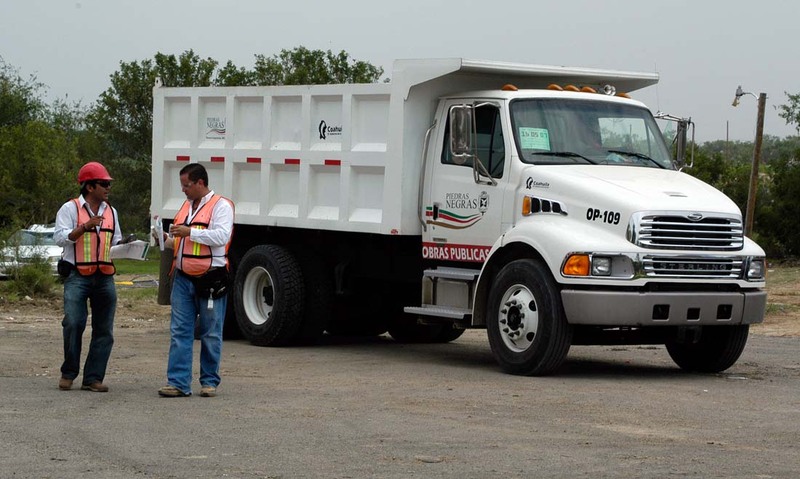 Mexican truck and workers helping clean up tornado damage in Rosita Valley, Texas despite the anti-immigrant feeling at the time, including building a wall along the Mexico-U.S.A. border. See the Mexico-U.S.A. case study. Akcinaroglu, S., I. Kelman, and E. Radziszewski. 2012. "Spillover Effects from Natural Disasters and State Repression". Presentation at the 2012 Peace Science Society Annual Conference, Savannah, Georgia, 26-27 October 2012. Kelman, I. 2003. "Beyond Disaster, Beyond Diplomacy". Chapter 7, pp. 110-123 in M. Pelling (ed. ), Natural Disasters and Development in a Globalizing World, Routledge, London, U.K.
Kelman, I. 2006. "Acting on Disaster Diplomacy". Journal of International Affairs, vol. 59, no. 2, pp. 215-240. Kelman, I. 2006. "Disaster Diplomacy: Hope Despite Evidence?" World Watch Institute Guest Essay, full text (as a webpage). Kelman, I. 2006. "Hope Despite Evidence: Is Disaster Diplomacy's Popularity Deserved?" Presentation at the Hazards and Disasters Researchers Meeting, Boulder, Colorado, U.S.A., 12-13 July 2006, abstract (61 kb in PDF). Kelman, I. 2006. "Island Security and Disaster Diplomacy in the Context of Climate Change". Les Cahiers de la SÃ©curitÃ©, vol. 63, pp. 61-94, full text in French (643 kb in PDF) and full text in English (89 kb in PDF). Kelman, I. 2007. "Disaster diplomacy: Can tragedy help build bridges among countries?" UCAR Quarterly, Fall 2007, p. 6, full text (15 kb in PDF). Kelman, I. 2007. "Weather-Related Disaster Diplomacy". Weather and Society Watch, vol. 1, no. 3, pp. 4,9 full text (618 kb in PDF). Kelman, I. 2008. "Disaster Diplomacy: Diplomats should not rely on disasters". Imprint, vol. 47, 12 April 2008, pp. 8-9, full text (2,581 kb in PDF). Kelman, I. 2010. "Climate Change Diplomacy for Islands". HazNet: Canadian Risk & Hazards Network (Knowledge and Practice), vol. 2, no. 1, pp. 19-23, full text (242 kb in PDF). Kelman, I. 2010. "Climate change diplomacy for islands: Analysing ethical and legal themes". Presentation at XVII World Congress of Sociology - RC39.06 - Conflict, Climate Change, and Crisis Communication, Gothenburg, Sweden, 11-17 July 2010. Kelman, I. 2010. "Klimakatastrofer og diplomati" / "Climate-Related Disaster Diplomacy" (translated by Jorunn Gran). Klima, no. 5, p. 21, full text in English (27 kb in PDF) and full text in Norwegian (1,006 kb in PDF). Kelman, I. 2010. "Tying Disaster Diplomacy in Knots". Chapter 3, pp. 59-73 in G.T. Overton (ed. ), Foreign Policy in an Interconnected World, Nova Publishers, Hauppauge, New York, U.S.A.
Kelman, I. 2011. "Aid as Outreach: Disaster Relief and Public Diplomacy". World Politics Review, 26 July 2011. Kelman, I. 2018. "Disaster Diplomacy". In G. Martel (ed. ), The Encyclopedia of Diplomacy, Wiley-Blackwell, John Wiley & Sons, New York. Kelman, I. 2012. Disaster Diplomacy: How Disasters Affect Peace and Conflict. Routledge, Abingdon, U.K., more information (as a webpage). Kelman, I. 2012. "Disaster Diplomacy: How Disasters Affect Peace and Conflict". Presentation at the Annual International Conference of the RGS-IBG (Royal Geographical Society - Institute of British Geographers), Edinburgh, Scotland, U.K., 3-5 July 2012. Kelman, I. 2012. "Disaster Diplomacy: How Disasters Affect Peace and Conflict". Presentation at Global Rifts: Dynamic Relationships Among States, Societies, and the World System, the 50th International Affairs Symposium, Lewis & Clark College, Portland, Oregon, U.S.A., 9-11 April 2012. Kelman, I. 2012. "Islands, Disaster Diplomacy, and Global Change". Presentation at The 3rd Conference of the International Society for Integrated Disaster Risk Management (IDRiM Society), Beijing, China, 7-9 September 2012. Kelman, I. 2012. "The Many Failures of Disaster Diplomacy". Natural Hazards Observer, vol. 37, no. 1, pp. 1, 12-15, full text (3,615 kb in PDF). Kelman, I. 2013. "Disaster Diplomacy". Pp. 158-159 in P.T. Bobrowsky (ed. ), Encyclopedia of Natural Hazards, Springer, London. Kelman, I. 2013. "Review of 'Disasters Without Borders' by John Hannigan, Polity Press, Cambridge". Disaster Prevention and Management, vol. 22, no. 2, pp. 182-184. Kelman, I. 2014. "Disaster diplomacy and climate change: Forging connections". Presentation at Climate Change, Conflict, and Instability, Royal Society of Medicine, London, U.K., 31 October 2014. Kelman, I. 2014 (November 4). "Does Disaster Diplomacy Improve Inter-State Relations?" E-international relations, full text (as a webpage). Kelman, I. 2015 (March). "A Diplomat's Guide to Disaster Diplomacy". Border Crossing, vol. 1, no. 2, pp. 16-18. Kelman, I. 2016. "Catastrophe and Conflict: Disaster Diplomacy and Its Foreign Policy Implications". Brill Research Perspectives in Diplomacy and Foreign Policy, vol. 1, no. 1, pp. 1-76. Kelman, I. 2016. "Disaster diplomacy: Can humanitarianism in conflict zones create peace?" Presentation at Symposium on Humanitarian Engineering, University of Warwick, Coventry, U.K. 4-5 July 2016. Kelman, I. 2016. "Disaster diplomacy: Why don't disasters cause peace?" Crisis Response Journal, vol. 12, no. 2, pp. 50-51. Kelman, I. 2016. "Disaster relief politics: Disaster diplomacy perspectives". Presentation at CEEISA-ISA 2016 Joint International Conference: The Politics of International Relations, Ljubljana, Slovenia, 23-25 June 2016. Kelman, I. 2016. "Science diplomacy, secrecy, and duty of care and for disaster risk reduction". Presentation at Science/Technology/Security: Challenges to global governance?, University College London, London, U.K., 20-21 June 2016. Kelman, I. 2016. "Volcano Disaster Diplomacy". Presentation at Cities on Volcanoes 9, Puerto Varas, Chile, 21-25 November 2016. Kelman, I. 2017. "Disaster politics: A disaster diplomacy lens". Presentation at the UK Alliance for Disaster Research First Annual Conference, London, U.K., 9-10 January 2017. Kelman, I. 2017. "Disease diplomacy for humanitarian aid and conflict reduction". Presentation at the World Congress Disaster and Emergency Medicine, Toronto, Ontario, 25-28 April 2017. Kelman, I. 2017. "Governmental duty of care for disaster-related science diplomacy". Disaster Prevention and Management, vol. 26, no. 4, pp. 412-423. Kelman, I. 2017. "Reflections on Disaster Diplomacy for Climate Change and Migration". Chapter 12, pp. 197-210 in K. Sudmeier-Rieux, M. FernÃ¡ndez, I.M. Penna, M. Jaboyedoff, and JC Gaillard (eds. ), Identifying Emerging Issues in Disaster Risk Reduction, Migration, Climate Change and Sustainable Development: Shaping Debates and Policies. Springer, Switzerland. Kelman, I. 2018. "Connecting theories of cascading disasters and disaster diplomacy". International Journal of Disaster Risk Reduction, vol. 30, part B, pp. 172-179. Kelman, I. 2018. "Duty of care for science diplomacy in humanitarian activities". Presentation at World Conference on Humanitarian Studies, The Hague, Netherlands, 27-29 August 2018. Kelman, I. and B. Conrich. 2013. "A Framework for Island Disaster Para-Diplomacy". Chapter 9 in 192-217 in S.R. Sensarma and A. Sarkar (eds. ), Disaster Management: Conflict and Cooperation, Concept Publishing Company, New Delhi, India. Kelman, I., J. Crump, B. Conrich, and JC Gaillard. 2013. "Migration impacts of island disaster para-diplomacy: Climate change and volcanoes". Presentation at Local Actions in a Global Context: Paradiplomacy by Subnational Jurisdictions, Longyearbyen, Svalbard, 15-17 January 2013. Kelman, I., M. Davies, T. Mitchell, I. Orr, and B. Conrich. 2006. "Island Disaster Para-Diplomacy in the Commonwealth". The Round Table: The Commonwealth Journal of International Affairs, vol. 95, no. 386, pp. 561-574, and reprinted as I. Kelman, M. Davies, T. Mitchell, I. Orr, and B. Conrich, 2009, "Island Disaster Para-Diplomacy in the Commonwealth", Chapter 6, pp. 73-86 in G. Baldacchino and D. Milne (eds. ), The Case for Non-Sovereignty: Lessons from Sub-National Island Jurisdictions, Taylor and Francis, London, U.K.
Kelman, I. and P.I. Duda. 2017. "Arctic Science Diplomacy for Disaster-related Activities". Presentation at the European Consortium for Political Research General Conference, University of Oslo, Oslo, Norway, 6-9 September 2017. Kelman, I. and JC Gaillard. 2007. "Inter-state vs Intra-state Disaster Diplomacy". Poster at the Annual Hazards Research and Applications Workshop, Boulder, Colorado, U.S.A., 11-12 July 2007, abstract (13 kb in PDF) and full text (399 kb in PDF) with supplementary references (15 kb in PDF). Kelman, I. and JC Gaillard. 2012. "The failure of disaster diplomacy". The Korea Times, full text (as a webpage). Kelman, I., JC Gaillard, and M. Klimesova. 2016 (June 16). "Disaster Diplomacy for Asia and the Middle East". Responding to Natural Disasters in the MENA Region and Asia: Rising to the Challenge?, Middle East Institute, Washington, D.C., U.S.A., full text (as a webpage). Republished as I. Kelman, JC Gaillard, and M. Klimesova. 2016 (June 24). "Disaster Diplomacy for Asia and the Middle East". The CSS Blog, ETH Zurich, Zurich, Switzerland, full text (as a webpage). Kelman, I., M. Glantz, and R. Paxton. 2008. "Learning Lessons from Disaster Management Diplomacy". Presentation at Climate Change Diplomacy, Malta, 7-8 February 2008, more information and full text (as a webpage). Kelman, I. and T. Koukis (eds.). 2000. "Disaster Diplomacy". Section in Cambridge Review of International Affairs, vol. 14, no. 1, pp. 214-294. 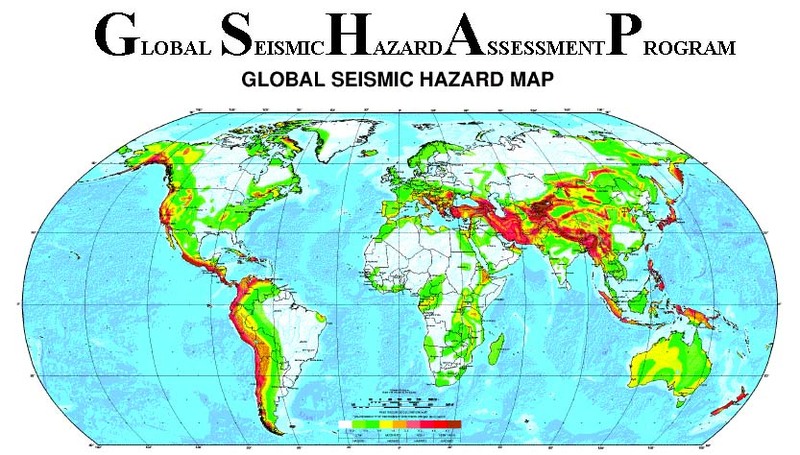 Global Seismic Hazard Assessment Program: A Disaster Diplomacy case study. General Discussion on Disaster Response and Humanitarian Aid. Ahmed, B., I. Kelman, M. Kamruzzaman, H. Mohiuddin, M.M. Rahman, A. Das, M. Fordham, and M. Shamsudduha. 2019. "Indigenous peopleâ€™s responses to drought in northwest Bangladesh". Environmental Development, vol. 29, pp. 55-66. Kelman, I. 2001. "RedR Cambridge Group". RedR Newsletter, no. 55 Autumn 2001, p. 5, full text (13 kb in PDF). Kelman, I. 2005. "Rights, Responsibilities, and Realities: A Societal View of Civil Care and Security". Chapter 1, pp. 9-36 in R. Gerber and J. Salter (eds. ), Civil Care and Security Studies, Kardoorair Press, Armidale, Australia. Kelman, I. 2008. "The Disaster Gypsies: Humanitarian Workers in the Worldâ€™s Deadliest Conflicts. By John Norris". Journal of Contingencies and Crisis Management, vol. 16, no. 4, pp. 221-222. Kelman, I. 2009. "A Billion Lives: An Eyewitness Report from the Frontlines of Humanity. By Jan Egeland". Disasters, vol. 33, no. 4, 822-824. Kelman, I. 2011. "Book Review: The Crisis Caravan: What's Wrong with Humanitarian Aid? 2010, Linda Polman. New York: Henry Holt and Company". International Journal of Mass Emergencies and Disasters, vol. 29, no. 1, pp. 83-86. Kelman, I. 2011. "Book Review: The Politics of Protection: The Limits of Humanitarian Action, 2011, Elizabeth G. Ferris, Washington DC: Brookings Institute". International Journal of Mass Emergencies and Disasters, vol. 29, no. 2, pp.171-173. Kelman, I. 2011. "Ethics of Charity Relief". Pp. 167-170 in K.B. Penuel and M. Statler (eds. ), Encyclopedia of Disaster Relief, Sage Publications, London, U.K.
Kelman, I. 2011. "How to train for disasters". The Foreigner, 18 October 2011, full text (as a webpage). Kelman, I. 2013. "Local response, independent solutions". The Foreigner, 25 August 2013, full text (as a webpage). Kelman, I. 2013. "Teaching teenagers to handle the First Aid". The Foreigner, 13 October 2013, full text (as a webpage). Kelman, I. 2015. "Dealing with crises". The Foreigner, 29 June 2015, full text (as a webpage). Kelman, I. 2015. "Remembering atrocity". The Foreigner, 4 December 2015, full text (as a webpage). Kelman, I. 2016. "Profiles of Norwegian science: Comrades for crises and emergencies". The Norwegian American, 30 November 2016, full text (as a webpage). Kelman, I. 2016. "Profiles of Norwegian science: How should we memorialize disasters?". The Norwegian American, 20 September 2016, full text (as a webpage). Kelman, I. 2018. "Profiles of Norwegian science: How best to train for a maritime crisis". The Norwegian American, 24 December 2018, full text (as a webpage). Kelman, I. and B. Cordonnier. 2009. "Community Disaster and Sustainability Teams for Civil Protection". Geophysical Research Abstracts, vol. 11, session NH10.15/EG7 "Improving coordination between European civil protection and the scientific community" at the EGU General Assembly 2009, Vienna, Austria, 19-24 April 2009. Kelman, I., JC Gaillard, and K. Sudmeier-Rieux. 2011. "Community Response". Pp. 79-82 in K.B. Penuel and M. Statler (eds. ), Encyclopedia of Disaster Relief, Sage Publications, London, U.K.
Kelman, I., N. GrÃ¦ger, and H. Leira. 2015. "Looking after Norwegian citizens". The Foreigner, 2 April 2015, full text (as a webpage). Kelman, I. 2012. "Review of 'Dual Disasters: Humanitarian Aid After the 2004 Tsunami' by Jennifer Hyndman, Kumarian Press, Sterling, Virginia". Disaster Prevention and Management, vol. 21, no. 5, pp. 640-642. Kelman, I. 2015. "Book review: Greening in the Red Zone: Disaster, Resilience and Community Greening. Edited by Keith G. Tidball and Marianne E. Krasny". Disaster Prevention and Management, vol. 24, no. 2, pp. 284-286. Kelman, I. 2016. "Is it normal to return to normal?". MAHB: Millennium Alliance for Humanity & the Biosphere, 14 July 2016, full text (as a webpage). Republished as Kelman, I. 2017 (June 28). "Is it normal to return to normal? ", DRR Voices, full text (as a webpage). Kelman, I. 2016. "Norway Crisis Centre helps Norwegians abroad". The Foreigner, 28 May 2016, full text (as a webpage). Kelman, I. 2018. "Profiles of Norwegian science: Caring for Norwegian terrorists abroad". The Norwegian American, 5 March 2018, full text (as a webpage). Pescaroli, G. and I. Kelman. 2016. "How critical infrastructure orients international relief in cascading disasters". Journal of Contingencies and Crisis Management, vol. 25, no. 2, pp. 56-67. Pescaroli, G. and I. Kelman. 2016. "How Critical Infrastructure Orients International Relief in Cascading Disasters". Presentation at 6th International Disaster and Risk Conference (IDRC) Davos Conference, Davos, Switzerland, 28 August - 1 September 2016. Rich, H. and I. Kelman. 2013. "School Emergency Response Training in Pueblo, Colorado (USA)". Chapter 3, pp. 58-84 in S.R. Sensarma and A. Sarkar (eds. ), Disaster Management: Conflict and Cooperation, Concept Publishing Company, New Delhi, India. Rich, H. and I. Kelman. 2007. "Teens Learn to Save Lives - and Do". Disaster and Social Crisis Research Network Electronic Newsletter, no. 32 (October-December), pp. 6-7, full text (11 kb in PDF) and RiskPost: The Newsletter of the New Zealand Society for Risk Management, issue 7, no. 4, January 2008, pp. 4-5, full text (16 kb in PDF). Risk RED. 2007. "Community-based Disaster Preparedness Worldwide". Poster at the Annual Hazards Research and Applications Workshop, Boulder, Colorado, U.S.A., 11-12 July 2007, abstract (12 kb in PDF) and full text (172 kb in PDF). 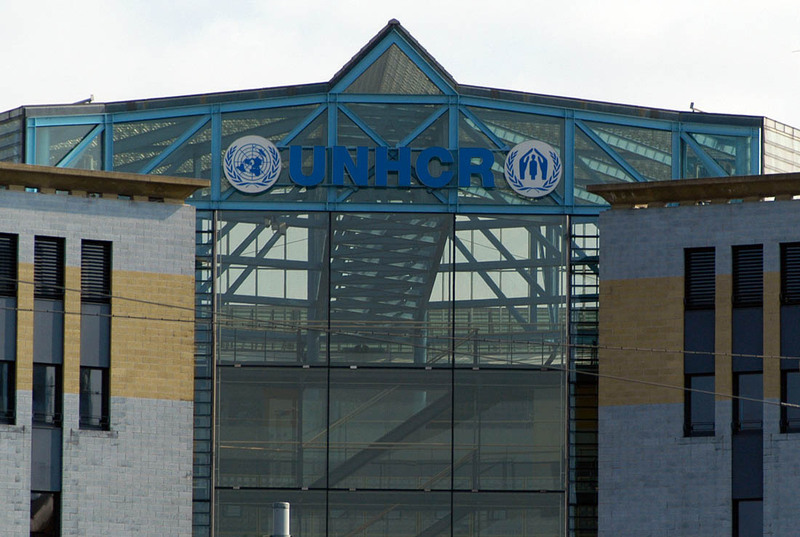 Headquarters of UNHCR, the United Nations Refugee Agency, in Geneva. Ashmore, J., E. Babister, T. Corsellis, J. Fowler, I. Kelman, P. Manfield, A. McRobie, R. Spence, A. Vitale, R. Battilana, and K. Crawford. 2003. "Diversity and Adaptation of Shelters in Transitional Settlements for IDPs in Afghanistan". Disasters, vol. 27, no. 4 (December), pp. 273-287, abstract (36 kb in PDF). Babister, E. and I. Kelman. 2002. "The Emergency Shelter Process with Application to Case Studies in Macedonia and Afghanistan". Journal of Humanitarian Assistance, January 2002, full text (2,514 kb in PDF). Kelman, I. 2015. "Review of Scott Leckie (Ed.) (2014). Land solutions for climate displacement. Abingdon: Routledge. 382pp. ISBN: 978-0-415-70373-4. US$168.00." Island Studies Journal, vol. 10, no. 2, pp. 265-266. Kelman, I., J. Ashmore, E. Leon, and S. D'Urzo. 2011. 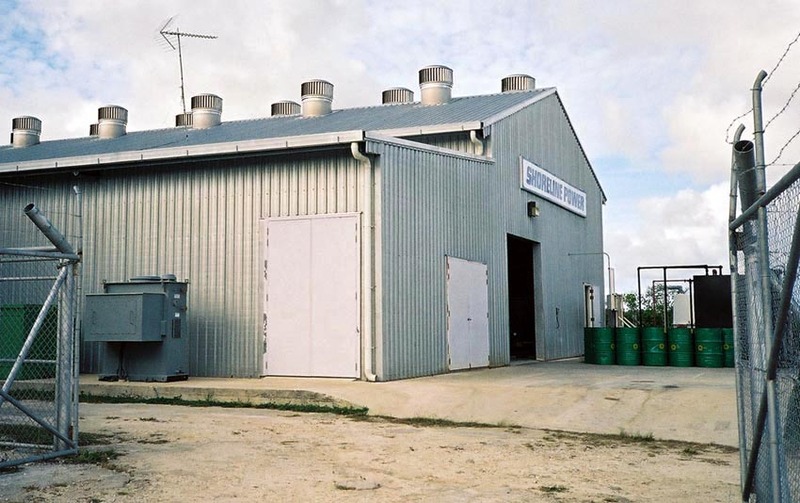 "From Research to Practice (and Vice Versa) for Post-disaster Settlement and Shelter". Environmental Hazards, vol. 10, no. 3, pp. 262-278, abstract (8 kb in PDF). Republished as Kelman, I., J. Ashmore, E. Leon, and S. Dâ€™Urzo. 2013. "From Research to Practice (and Vice Versa) for Post-disaster Settlement and Shelter". Chapter 10, pp. 127-143 in D. Sanderson and J. Burnell (eds. ), Beyond Shelter after Disaster: Practice, Process and Possibilities, Routledge, New York, New York, U.S.A.
Kennedy, J., J. Ashmore, E. Babister, and I. Kelman. 2007. "Post-tsunami transitional settlement and shelter: field experience from Aceh and Sri Lanka". Humanitarian Exchange, no. 37 (March 2007), pp. 28-31, full text (86 kb in PDF). Kennedy, J., J. Ashmore, E. Babister, and I. Kelman. 2008. "The Meaning of 'Build Back Better': Evidence from Post-tsunami Aceh and Sri Lanka". Journal of Contingencies and Crisis Management, vol. 16, no. 1, pp. 24-36, abstract (8 kb in PDF). Kennedy, J., J. Ashmore, E. Babister, I. Kelman, and J. Zarins. 2009. "Disaster Mitigation Lessons from 'Build Back Better' Following the 26 December 2004 Tsunamis", pp. 297-302 in J. Feyen, K. Shannon, and M. Neville (eds. ), Water and Urban Development Paradigms: Towards an integration of engineering, design and management approaches, (Proceedings of the International Urban Water Conference, Heverlee, Belgium, 15-19 September 2008), Taylor and Francis, London, U.K., abstract (8 kb in PDF). Leon, E., I. Kelman, J. Kennedy, and J. Ashmore. 2009. "Capacity Building Lessons From a Decade of Transitional Settlement and Shelter". International Journal of Strategic Property Management, vol. 13, no. 3, pp. 247-265, abstract (8 kb in PDF). Petal, M., R. Green, I. Kelman, R. Shaw, and A. Dixit. 2008. "Community-based construction for disaster risk reduction". Chapter 10, pp. 191-217 in L.L. Bosher (ed. ), Hazards and the Built Environment, Taylor and Francis, London, U.K.
Rand, E.C., S. Hirano, and I. Kelman. 2011. "Post-Tsunami Housing Resident Satisfaction in Aceh". International Development Planning Review, vol. 33, no. 2, pp. 187-211, abstract (8 kb in PDF). Shelterproject. 2002 (May). "The Proportion of Aid Spent on the Shelter Sector: A Scoping Paper on the Availability of Data". Shelterproject, Cambridge, U.K., full text (747 kb in PDF). Shelterproject. 2003. "Developing Humanitarian Guidelines for Transitional Settlement". Scroope, no. 15, pp. 33-35, full text (297 kb in PDF). Shelterproject. 2003. Report on the Transitional Settlement Sector. Shelterproject, Cambridge, U.K., full text (1,783 kb in PDF). Shelterproject. 2005. Transitional Settlement: Displaced Populations. Oxfam, Oxford, U.K.
Ahmed, B. and I. Kelman. 2018. "Measuring Community Vulnerability to Environmental Hazards: A Method for Combining Quantitative and Qualitative Data". Natural Hazards Review, vol. 19, no. 3, paper 04018008. Alexander, B., J. Bastide, C. Floors, JC Gaillard, R. Greaney, I. Kelman, M. Petal, and B. Towers. 2015. "All About the Case (Studies): Approaches to Music for Risk Reduction". Presentation at the TIFAC-IDRiM (International Society for Integrated Disaster Risk Management) Conference, New Delhi, India, 28-30 October 2015. Cosgrave, E.J. and I. Kelman. 2017. "Performing arts for disaster risk reduction including climate change adaptation". Chapter 21, pp. 214-226 in I. Kelman, J. Mercer, and JC Gaillard (eds. ), The Routledge Handbook of Disaster Risk Reduction Including Climate Change Adaptation, Routledge, Abingdon, U.K.
Duda, P. I. and I. Kelman. 2019. "Arctic Disaster Risk Reduction and Response as Triumph?" Chapter 9, pp. 147-162 in N. Sellheim, Y.V. Zaika, and I. Kelman (eds.). 2019. Arctic Triumph: Northern Innovation and Persistence. Springer, Basel, Switzerland. Etkin, D., I. Stefanovic, and I. Kelman. 2004. "Like a Splinter in your Mind: Myth, Reality, and [Un] Natural Disasters". Presentation at the 1st Annual Canadian Risk and Hazard Network (CRHNet) Symposium, Winnipeg, Canada, 18-20 November 2004. Etkin, D., M.T. VÃ¡zquez, and I. Kelman. 1998. "Natural Disasters and Human Activity". Written for the North American Commission on Environmental Cooperation (NACEC) under the North American Free Trade Agreement (NAFTA), full text (1,153 kb in PDF). Gaillard JC, M.H. Glantz, I. Kelman, B. Wisner, Z. Delica-Willison, and M. Keim. 2015. "æ°”å€™åŒ–çš„ç¤¾ä¼šå½±å“�". Shanghai Insurance Magazine, no. 5, pp. 50-51. Gaillard, JC, M.H. Glantz, I. Kelman, B. Wisner, Z. Delica-Willison, and M. Keim. 2014. "Taking the 'naturalness' out of natural disaster (again) ". Natural Hazards Observer, vol. 38, no. 3, pp. 1,14-16. Gaillard, JC and I. Kelman. 2013. "Disaster Research and Policy, History". Pp. 160-164 in P.T. Bobrowsky (ed. ), Encyclopedia of Natural Hazards, Springer, London. Gaillard, JC and I. Kelman (eds.). 2012. "Montagne, marginalitÃ© et catastrophe / Mountain, marginality and disaster". Revue de GÃ©ographie Alpine / Journal of Alpine Research, vol. 100, no. 1, full text (as a webpage). Gaillard, JC and I. Kelman. 2018. "Early warning for disaster risk reduction: who's sharing what with whom?" Presentation at the 12th Senior Disaster Management Official Forum of Asia Pacific Economic Cooperation, Kokopo, Papua New Guinea, 25-26 September 2018. Gaillard, JC and I. Kelman. 2018 (November 8). "The first mile of warning systems: who's sharing what with whom?" Humanitarian Practice Network, full text (as a webpage). Gaillard, JC, K. Sudmeier-Rieux, I. Kelman, and B. McAdoo. 2011. "Cross-Cultural Interactions". Pp. 91-94 in K.B. Penuel and M. Statler (eds. ), Encyclopedia of Disaster Relief, Sage Publications, London, U.K.
Gaillard, JC, B. Wisner, D. Benouar, T. Cannon, L. Creton-Cazanave, J. Dekens, M. Fordham, C. Gilbert, K. Hewitt, I. Kelman, A. Lavell, J. Morin, A. N'Diaye, P. O'Keefe, A. Oliver-Smith, C. Quesada, S. Revet, K. Sudmeier-Rieux, P. Texier, and C. Vallette. 2010. "Alternatives pour une reduction durable des risques de catastrophe (Alternatives for sustained disaster risk reduction)". Human Geography, vol. 3, no. 1, pp. 66-88. Glade, T., I. Kelman, K. Hollenstein, and H. Kienholz (eds.). 2006. "Vulnerability Assessment in Natural Hazard and Risk Analysis for Management and Civil Defence Application". Natural Hazards and Earth Systems Sciences, Special Issue 30, vol. 6. Kelman, I. 2002. "Reflections on Radix Year One: Small Thoughts From a Small Researcher". Radix, January 2002, full text (as a webpage). Kelman, I. 2003. "Ants, Lemmings, Ostriches, or Sheep?" Fragilecologies, 19 December 2003, full text (41 kb in PDF). Kelman, I. 2003. "Good Capitalists Stop Disasters". Radix, 2 September 2003, full text (32 kb in Word format). Kelman, I. 2003. "Radix Year Two". Radix, January 2003, full text (as a webpage). Kelman, I. 2004. "Linked Cultures: Breaking Out of the 'Disaster Management Rut'". UN Chronicle, vol. XLI, no. 3, pp. 42-43,48, full text (103 kb in PDF). Kelman, I. 2004. "Natural Hazards and Risk Management". RiskPost: The Newsletter of the New Zealand Society for Risk Management, issue 4, no. 3 (November), pp. 11-13, full text (18 kb in PDF). Kelman, I. 2005. "December 26th". Disaster and Social Crisis Research Network Electronic Newsletter, no. 24 (October-December), p. 9, full text (12 kb in PDF). Kelman, I. 2005. "Operational Ethics for Disaster Research". International Journal of Mass Emergencies and Disasters, vol. 23, no. 3 (November), pp. 141-158, abstract (7 kb in PDF). Kelman, I. 2005. "Thinking Ahead of Disaster". Tropical Coasts, vol. 12, no. 1 (July), pp. 4-9, full text (212 kb in PDF). Kelman, I. 2006. "The Myth of 9/11". Disaster and Social Crisis Research Network Electronic Newsletter, no. 28 (October-December), p. 4, full text (9 kb in PDF). Kelman, I. 2007. "Disaster Research". ASP Spotlight, September 2007, full text (125 kb in PDF). Kelman, I. 2007. "Natural hazards or human interpretation?" RiskPost: The Newsletter of the New Zealand Society for Risk Management, issue 7, no. 2 (July/August), pp. 5-6, full text (10 kb in PDF). Kelman, I. 2007. "Operational Ethics for Disaster Research". Philosophy of Risk Newsletter, vol. 8, no. 3, December, full text (9 kb in PDF). Kelman, I. 2007. "Public Policy From Disaster Anthropologists". Anthropology News, vol. 48, no. 9, p. 27. Kelman, I. 2007. "Report for Radix: Boulder, Colorado Hazards and Disasters Workshops 2007". Radix, July 2007, full text (40 kb in Word format). Kelman, I. 2008. "Addressing the Root Causes of Large-Scale Disasters". Chapter 4, pp. 94-119 in M. Gad-el-Hak (ed. ), Large-Scale Disasters: Prediction, Control, and Mitigation, Cambridge University Press, Cambridge, U.K.
Kelman, I. 2008. "Relocalising Disaster Risk Reduction for Urban Resilience". Urban Design and Planning, vol. 161, no. DP4, pp. 197-204, abstract (13 kb in PDF). The journal did not make three changes requested at the proof stage, so the journal's published version has errors. The full text with three corrections is available here (822 kb in PDF). Kelman, I. 2009. "Don't Forget the People". Weather and Society Watch, vol. 3, no. 2 (January), pp. 7,14, full text (18 kb in PDF). Kelman, I. 2009. "No ecosystem is an island". IUCN Opinion Columns, 18 June 2009, full text (as a webpage). Kelman, I. 2010. "Hybrid Disasters or Usual Disasters?" Disaster and Social Crisis Research Network Electronic Newsletter, no. 41 (September-November), pp. 9, full text (10 kb in PDF). Kelman, I. 2010. "Learning from the history of vulnerability and resilience discourse and practice". Presentation and paper at Rethinking Crises: Vulnerability, Community and State in Development, the Norwegian Association for Development Research (NOFU) Conference 2010, Oslo, Norway, 25-26 November 2010. Kelman, I. 2010. "Profile of Ilan Kelman". Jeggle's Journeys, 24 August 2010, London, U.K.
Kelman, I. 2010. "Why do Bad Ideas Stick?" Disaster and Social Crisis Research Network Electronic Newsletter, no. 42 (September-November), pp. 9, full text (59 kb in PDF), reprinted in HazNet: Canadian Risk & Hazards Network (Knowledge and Practice), vol. 3, no. 2, pp. 13-14, full text (87 kb in PDF). Kelman, I. 2010. "Why is cure preferred to prevention? The politics of promoting disasters". Presentation at the 2nd International Conference: Climate, Sustainability and Development in Semi-arid Regions, Fortaleza, Brazil, 16-20 August 2010, but text read out in presenterâ€™s absence. Kelman, I. 2011. "Schools". Pp. 630-633 in K.B. Penuel and M. Statler (eds. ), Encyclopedia of Disaster Relief, Sage Publications, London, U.K.
Kelman, I. 2011. "Understanding Vulnerability to Understand Disasters". Chapter 7 in B.L. Murphy and D. Etkin (eds. ), Canadian Disaster Management Textbook, Canadian Risk and Hazards Network, Canada, online full text (258 kb in PDF). Kelman, I. 2012. "Communicating Our Disaster Advice". Disaster, Conflict, and Social Crisis Research Network Newsletter, vol. 13, no. 47, p. 9, full text (124 kb in PDF). Kelman, I. 2012. "Disaster prevention: A shared responsibility". The Foreigner, 19 October 2012, full text (as a webpage). Kelman, I. 2012. "In ourselves we trust". The Foreigner, 4 February 2012, full text (as a webpage). Kelman, I. 2012. "Measuring Vulnerability in Developing Countries: New Analytical Approaches, 2012, by Wim NaudÃ©, Amelia U. Santos-Paulino, and Mark McGillivray, London: Routledge". International Journal of Mass Emergencies and Disasters, vol. 30, no. 2, pp. 245-247. Kelman, I. 2012. "Vaer beredt - uansett" (translated by Eilif Ursin Reed). Klima, no. 5, p. 21, full text in Norwegian (647 kb in PDF). Kelman, I. 2013. "Convergence". Pp. 118-119 in P.T. Bobrowsky (ed. ), Encyclopedia of Natural Hazards, Springer, London. Kelman, I. 2013. "Resilient cities, Norwegian links". The Foreigner, 3 November 2013, full text (as a webpage). Kelman, I. 2013. "Review of 'Negotiating Disasters: Politics, Representation, Meanings' edited by Ute Luig, Peter Lang, Frankfurt". Disaster Prevention and Management, vol. 22, no. 4, pp. 378-380. Kelman, I. 2013. "The Damir ÄŒemerin Award: An acceptance speech amongst climate issues". The Foreigner, 23 September 2013, full text (as a webpage). Kelman, I. 2014. "Disaster mitigation is cost-effective". Background note for the World Development Report, World Bank, Washington, D.C., U.S.A.
Kelman, I. 2014. "Megabytes of doom: Exploring 'disaster' through island photography". Presentation at Reframing Disaster, Leeds, U.K., 28-29 November 2014. Kelman, I. (ed.) 2014-2019. Routledge Studies in Hazards, Disaster Risk and Climate Change. Routledge, Abingdon, U.K.
Kelman, I. 2015. "Avoiding disaster". The Foreigner, 2 May 2015, full text (as a webpage). Kelman, I. 2015. "Book Review: Mega-Crises: Understanding the Prospects, Nature, Characteristics and the Effects of Cataclysmic Events". International Journal of Mass Emergencies and Disasters, vol. 33, no. 1, pp. 148-150. Kelman, I. 2015. "Ethics of disaster research". Chapter 4, pp. 37-47 in M. Wyss and S. Peppoloni (eds. ), Geoethics: Ethical Challenges and Case Studies in Earth Sciences, Elsevier, Philadelphia, Pennsylvania, U.S.A.
Kelman, I. 2015 (April 29). "How earthquake safety measures could have saved thousands of lives in Nepal". The Conversation, full text (as a webpage). Kelman, I. 2015. "Keep resilience language simple". MAHB: Millennium Alliance for Humanity & the Biosphere, 8 September 2015, full text (as a webpage). Kelman, I. 2015. "The Squirrel Factor". MAHB: Millennium Alliance for Humanity & the Biosphere, 2 June 2015, full text (as a webpage). Kelman, I. 2016 (October 12). "Are we ever resilient? Are we ever normal?" #ResilienceStartsHere, London First, London, U.K., full text (as a webpage). Kelman, I. 2016. "Critiques of Resilience". Box 1.2, pp. 16-18 in IFRC, World Disasters Report 2016. Resilience: Saving lives today, investing for tomorrow, IFRC (International Federation of Red Cross and Red Crescent Societies), Geneva, Switzerland. Kelman, I. (ed.). 2016. Disaster Prevention (Routledge Recommends). Routledge, Abingdon, U.K.
Kelman, I. 2016. "How resilient is resilience?". Urban Resilience Research Network, 20 April 2016, full text (89 kb in PDF). Kelman, I. 2017. "Inclusivity for Resilience". Presentation at Resilience Conference: Responding to Complex Threats: Floods, Blackouts, and Hybrid Attacks, Loughborough University London Campus, London, U.K., 20-21 September 2017. Kelman, I. 2017. "Linking disaster risk reduction, climate change, and the sustainable development goals". Disaster Prevention and Management, vol. 26, no. 3, pp. 254-258. Kelman, I. 2018. "Bringing together disasters, climate change, and sustainable development". Presentation at the 2018 International Research Committee on Disasters Researchers Meeting, Broomfield, Colorado, U.S.A., 11-12 July 2018. Kelman, I. 2018. "Lost for Words amongst Disaster Risk Science Vocabulary?" International Journal of Disaster Risk Science, vol. 9, no. 3, pp 281-291. Kelman, I. 2019. "Pacific island regional preparedness for El NiÃ±o". Environment, Development and Sustainability, vol. 21, no. 1, pp. 405-428. Kelman, I. 2018. "Profiles of Norwegian science: We need more disaster research". The Norwegian American, 18 April 2018, full text (as a webpage). Kelman, I. 2019. "Axioms and Actions for Preventing Disasters". Progress in Disaster Science, in press. Kelman, I., B. Ahmed, H. Fehr, and M. Saha. 2016. "A disaster that does not happen saves lives and money". Alertnet, 13 October 2016, full text (as a webpage). Kelman, I. and JC Gaillard. 2009. "Challenges and Opportunities of Disaster-Related Public Anthropology". Asian Journal of Environment and Disaster Management, vol. 1, no. 2, pp. 119-139, abstract (8 kb in PDF). Kelman, I., JC Gaillard, J. Lewis, and J. Mercer. 2016. "Learning from the history of disaster vulnerability and resilience research and practice for climate change". Natural Hazards, vol. 82, no. S1, pp. S129-S143. Kelman, I., JC Gaillard, and B. Wisner. 2018. "Human Vulnerability and Resilience to Environmental Hazards". Chapter 10, pp. 172-193, in T. Marsden (ed. ), The SAGE Handbook of Nature, Sage, London, U.K.
Kelman, I. and A. Garland. 2018. "Linking Disaster Risk Reduction, Climate Change Action, and Cultural Resource Management for Development". Presentation at Society for Historical Archaeology 2018 Conference on Historical and Underwater Archaeology, New Orleans, Louisiana, 3-7 January 2018. Kelman, I. and M.H. Glantz (eds.). 2015. "Analyzing the Sendai Framework for Disaster Risk Reduction". International Journal of Disaster Risk Science, vol. 6, no. 2. Kelman, I. and M.H. Glantz. 2014. "Early Warning Systems Defined". Chapter 5, pp. 89-108 in Z. Zommers and A. Singh (eds. ), Reducing Disaster: Early Warning Systems for Climate Change, Springer, London, U.K.
Kelman, I. and E. Karnes. 2007. "Relocalising Disaster Risk Reduction in Boulder, Colorado". Australian Journal of Emergency Management, vol. 22, no. 1, pp. 18-25. Kelman, I. and E. Karnes. 2007. "Tackling disasters in an energy-restricted Boulder". UCAR Staff Notes Monthly, , vol. 42, no. 9, pp. 4-5. Kelman, I., E. Karnes, M. Brownlee, and L.M. Hanthorn. 2006. "Relocalising Disaster Risk Reduction". Disaster and Social Crisis Research Network Electronic Newsletter, no. 26 (April-June), p. 11, full text (10 kb in PDF). Kelman, I. and C. Lawson. 2008. "Extreme event warning systems as social processes". Presentation at the Association of American Geographers Annual Meeting, Boston, Massachusetts, U.S.A., 15-19 April 2008, abstract (7 kb in PDF). Kelman, I. J. Mercer, and JC Gaillard. 2012. "Indigenous knowledge and disaster risk reduction". Geography, vol. 97, no. 1, pp. 12-21. Kelman, I. J. Mercer, and JC Gaillard (eds.). 2017. Routledge Handbook of Disaster Risk Reduction Including Climate Change Adaptation. Routledge, Abingdon, U.K.
Kelman, I., M. Petal, and M.H. Glantz. 2015. "Using a Spare-Time University for Disaster Risk Reduction Education". Chapter 8, pp. 125-142 in H. Egner, M. Schorch, and M. Voss (eds. ), Learning and Calamities: Practices, Interpretations, Patterns, Routledge, London, U.K.
Kelman, I. and L.M. Stough (eds.). 2015. Disability and Disaster: Explorations and Exchanges. Palgrave Macmillan, New York, U.S.A.
Kelman, I. and L.M. Stough. 2015. "(Dis)ability and (Dis)aster". Chapter 1, pp. 3-14 in I. Kelman and L.M. Stough (eds. ), Disability and Disaster: Explorations and Exchanges, Palgrave Macmillan, New York, U.S.A.
Khan, S. and I. Kelman. 2012. "Short Communication: Progressive climate change and disasters: communicating uncertainty". Natural Hazards, vol. 61, no. 2, pp. 873-877. Khan, S. and I. Kelman. 2012. "Short Communication: Progressive climate change and disasters: connections and metrics". Natural Hazards, vol. 61, no. 3, pp. 1477-1481. Lewis, J. and I. Kelman. 2013. "Creating disasters". Natural Hazards Observer, vol. 37, no. 6, pp. 1, 10-13, full text (2,975 kb in PDF). Lewis, J. and I. Kelman. 2010. "Places, people and perpetuity: Community capacities in ecologies of catastrophe". 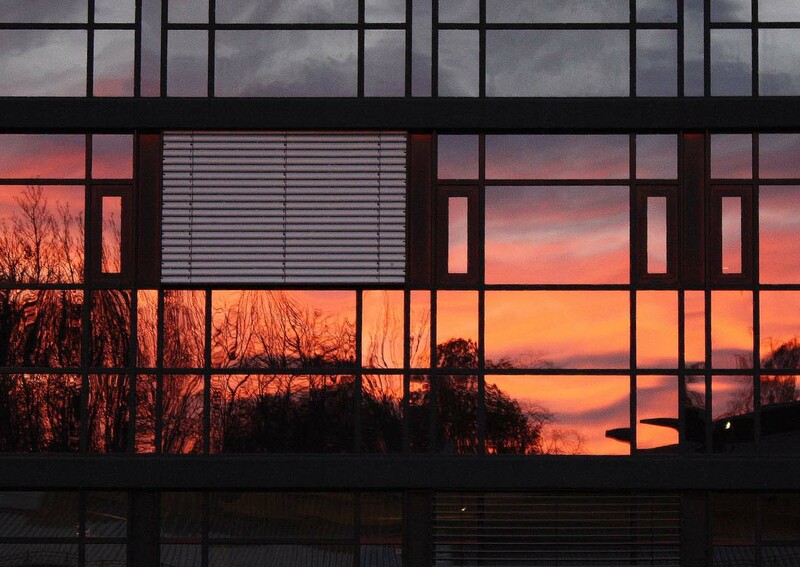 ACME: An International E-Journal for Critical Geographies, vol. 9, no. 2, pp. 191-220. Lewis, J. and I. Kelman, and S.A.V. Lewis. 2011. "Is 'fear itself' the only thing we have to fear? Explorations of psychology in perceptions of the vulnerability of others". The Australasian Journal of Disaster and Trauma Studies, vol. 2011-3, pp. 89-104. Lewis, J. and I. Kelman. 2012. "The Good, The Bad and The Ugly: Disaster Risk Reduction (DRR) Versus Disaster Risk Creation (DRC)". PLoS Currents Disasters, 21 June 2012, full text (as a webpage). LÃ³pez-Carresi, A., M. Fordham, B. Wisner, I. Kelman, and JC Gaillard (eds.). 2014. Disaster Management: International Lessons in Risk Reduction, Response and Recovery. Routledge, Abingdon, U.K.
LÃ³pez-Carresi, A., M. Fordham, B. Wisner, I. Kelman, JC Gaillard, and Members of the Practitioner Advisory Panel. 2014. "Conclusion: addressing all vulnerabilities". Chapter 19, pp. 300-309 in A. LÃ³pez-Carresi, M. Fordham, B. Wisner, I. Kelman, and JC Gaillard (eds. ), Disaster Management: International Lessons in Risk Reduction, Response and Recovery, Routledge, Abingdon, U.K.
Mercer, J., I. Kelman, and J. Dekens. 2009. "Integrating Indigenous and Scientific Knowledge for Disaster Risk Reduction". Chapter 9, pp. 115-131 in R. Shaw, A. Sharma, and Y. Takeuchi (eds. ), Indigenous Knowledge and Disaster Risk Reduction: From Practice to Policy, Nova Publishers, Hauppauge, New York, U.S.A.
Risk RED. 2007. "Risk Reduction Education for Disasters". Poster at the Annual Hazards Research and Applications Workshop, Boulder, Colorado, U.S.A., 11-12 July 2007, abstract (12 kb in PDF) and full text (116 kb in PDF). Sagramola, S., D. Alexander, and I. Kelman. 2015. Major Hazards and People with Disabilities: A toolkit for good practice. Council of Europe, Strasbourg, France. Sanz, K., I. Kelman, A. Adebola, J. Chacon, R. Sanchez, and Gender and Disaster Network Members. 2009. 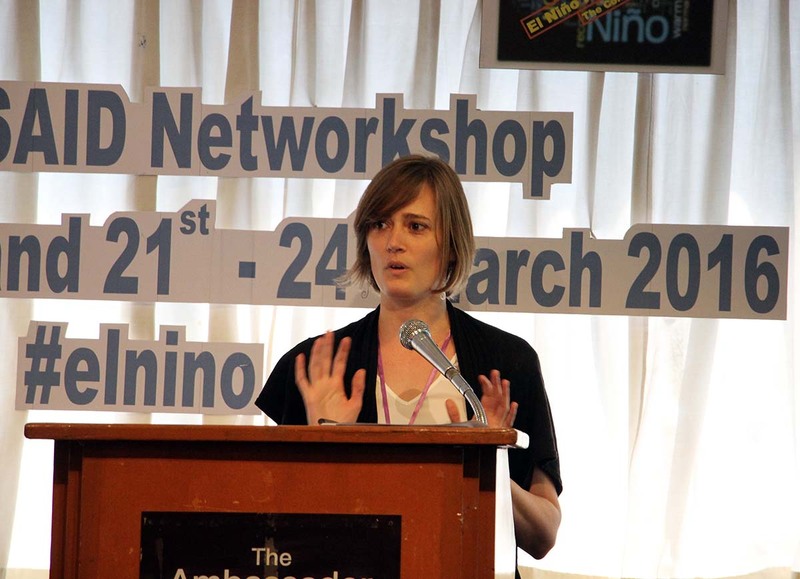 "From the Inside Out: Reflections on Gendering Disaster Risk Reduction". Regional Development Dialogue, vol. 30, no. 1, pp. 14-21. Sharpe, J. and I. Kelman. 2011. "Improving the disaster-related component of secondary school geography education in England". International Research in Geographical and Environmental Education, vol. 20, no. 4, pp. 327-343, abstract (8 kb in PDF). Shreve, C.M. and I. Kelman. 2014. "Does mitigation save? Reviewing cost-benefit analyses of disaster risk reduction". International Journal of Disaster Risk Reduction, vol. 10, part A, pp. 213-235. Spence, R. and I. Kelman (guest eds.). 2004. "Managing the Risks from Natural Hazards". Building Research and Information, vol. 32, no. 5, pp. 362-448, more information (as a webpage). Staupe-Delgado, R. and I. Kelman. 2016. "Ready for El NiÃ±o's arrival". The Foreigner, 29 March 2016, full text (as a webpage). Stough, L.M. and I. Kelman. 2015. "Exploring and Exchanging for (Dis)ability and (Dis)aster". Chapter 25, pp. 175-185 in I. Kelman and L.M. Stough (eds. ), Disability and Disaster: Explorations and Exchanges, Palgrave Macmillan, New York, U.S.A.
Stough, L.M. and I. Kelman. 2018. "People with Disabilities and Disasters". Chapter 12, pp. 225-242 in H. RodrÃ­guez, W. Donner, and J.E. Trainor (eds. ), Handbook of Disaster Research, 2nd ed., Springer, Cham, Switzerland. Sudmeier-Rieux, K., I. Kelman, and N. Ash. 2009. "Keeping Safe in Perilous Times". Chapter 6, pp. 101-111 in J.A. McNeely, R.A. Mittermeier, T.M. Brooks, F. Boltz, and N. Ash (eds. ), The Wealth of Nature: Ecosystem Services, Biodiversity, and Human Well-Being, CEMEX Conservation Book Series. CEMEX. Arlington, Virginia, U.S.A.
UCL and GFDRR. 2016. Reviewing the Impact of Capacity Building in GFDRR. GFDRR (Global Facility for Disaster Reduction and Recovery), Washington, D.C., U.S.A.
Weichselgartner, J. and I. Kelman. 2014. "Challenges and opportunities for building urban resilience". A|Z ITU Journal of the Faculty of Architecture, vol. 11, no. 1, pp. 20-35. Weichselgartner, J. and I. Kelman. 2015. "Geographies of resilience: Challenges and opportunities of a descriptive concept". Progress in Human Geography, vol. 39, no. 3, pp. 249-267. Wilkinson, E. and I. Kelman. 2017. "From Policy to Action and Back Again for Disaster Risk Reduction Including Climate Change Adaptation". Chapter 35, pp. 377-387, in I. Kelman, J. Mercer, and JC Gaillard (eds. ), The Routledge Handbook of Disaster Risk Reduction Including Climate Change Adaptation, Routledge, Abingdon, U.K.
Wisner, B., I. Kelman, and JC Gaillard. 2010. "Natural Hazards And Risk Analysis". Pp. 1984-1989 in B. Warf (ed. )., Encyclopedia of Geography, Sage Publications, Thousand Oaks, California, U.S.A.
Wisner, B., JC Gaillard, and I. Kelman. 2012. 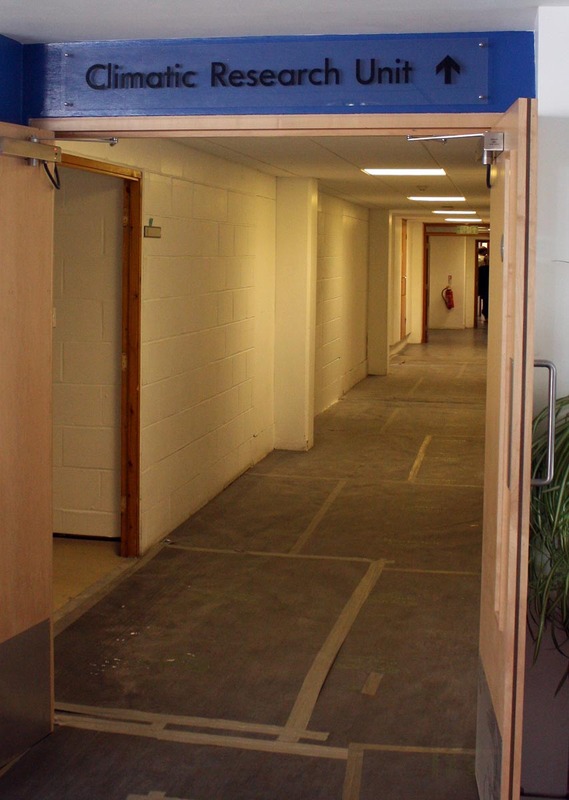 "Challenging risk â€“ has the left foot stepped forward?" Chapter 65, pp. 789-793 in B. Wisner, JC Gaillard, and I. Kelman (eds. ), Handbook of Hazards and Disaster Risk Reduction, Routledge, Abingdon, U.K.
Wisner, B., JC Gaillard, and I. Kelman. 2012. "Framing disaster: theories and stories seeking to understand hazards, vulnerability and risk". Chapter 3, pp. 18-33 in B. Wisner, JC Gaillard, and I. Kelman (eds. ), Handbook of Hazards and Disaster Risk Reduction, Routledge, Abingdon, U.K.
Wisner, B., JC Gaillard, and I. Kelman (eds.). 2012. Handbook of Hazards and Disaster Risk Reduction. Routledge, Abingdon, U.K.
Wisner, B., JC Gaillard, and I. Kelman. 2014. "Hazard, vulnerability, capacity, risk and participation". Chapter 2, pp. 13-22 in A. LÃ³pez-Carresi, M. Fordham, B. Wisner, I. Kelman, and JC Gaillard (eds. ), Disaster Management: International Lessons in Risk Reduction, Response and Recovery, Routledge, Abingdon, U.K.
Wisner, B., JC Gaillard, and I. Kelman (eds.). 2015. Routledge Major Works Series: Disaster Risk. Routledge, Abingdon, U.K.
Wisner, B., G. Kent, J. Carmalt, B. Cook, JC Gaillard, A. Lavell, M. Oxley, T. Gibson, I. Kelman, D. van Niekerk, J. Lassa, Z. Delica Willison, M. Bhatt, O.-D. Cardona, D. Benouar, and L. Narvaez. 2011. Political Will for Disaster Reduction: What Incentives Build It, And Why Is It So Hard To Achieve? Radix, 31 January 2011, full text (475 kb in PDF). Wisner, B. and I. Kelman. 2015. "Community Resilience to Disasters". In J.D. Wright (ed. ), International Encyclopedia of the Social & Behavioral Sciences (2nd ed. ), pp. 354-360. Floods and Storms (Including Cyclones). Kelman, I. 2017. "Environmental Hazards". Entry in D. Richardson, N. Castree, M.F. Goodchild, A. Kobayashi, W. Liu, and R.A. Marston (eds. ), The International Encyclopedia of Geography: People, the Earth, Environment and Technology. Wiley, London, U.K.
Kelman, I. 2017. "Profiles of Norwegian science: Preparing for El NiÃ±o around the world". The Norwegian American, 9 March 2017, full text (as a webpage). A meeting in Bangkok, Thailand on being ready for El NiÃ±o and the other ENSO phases. Focus on Small Island Developing States (SIDS) and Climate Change (117 kb in PDF). Arnall, A., U. Kothari, and I. Kelman (eds.). 2014. "Politics of climate change", special issue in The Geographical Journal, vol. 180, no. 2, pp. 98-160. Bird, D., R. McLeman, G. GÃ­sladÃ³ttir, I. Kelman, M.W. NÃ¦ss, G. JÃ³hannesdÃ³ttir, and G. PÃ©tursdÃ³ttir. 2016. "Climate change and settlement level impacts". Chapter 13, pp. 293-319 in A. Taylor, D.B. Carson, P.C Ensign, L. Huskey, R.O. Rasmussen, and G. Saxinger (eds. ), Settlements at the Edge: Remote Human Settlements in Developed Nations, Edward Elgar, Cheltenham, U.K.
Crowley, K. and I. Kelman. 2012. "Water in the Desert: Applying Disaster Risk Reduction (DRR) Lessons for Climate Change in Arid Lands". Chapter 12, pp. 237-259 in L. Mol and T. Sternberg (eds. ), Changing Deserts: Integrating People and their Environment, White Horse Press, Cambridge, U.K.
Glantz, M.H. and I. Kelman. 2010. "Using a Spare Time University for Climate Change Education". Chapter 16, pp. 193-204 in W. Leal Filho (ed. ), Universities and Climate Change: Introducing Climate Change to University Programmes, Springer-Verlag, Berlin and Heidelberg, Germany. Glantz, M.H. and I. Kelman. 2013. "Thoughts on Dealing with Climate Change...As if the Future Matters". International Journal of Disaster Risk Science, vol. 4, no. 1, pp. 1-8. Harwood, N., A. Tucker, I. Kelman, A. Russell, and R. Hall. 2017. "Using Bayesian Networks to investigate the role of Arctic change in the rise of extreme weather at mid-latitudes". Poster at GOTHAM International Summer School, Potsdam, Germany, 18-22 September 2017 and the UCL IRDR (Institute for Risk and Disaster Reduction) Annual Conference, London, 21 June 2017. Hore, K., I. Kelman, J. Mercer, and JC Gaillard. 2018. "Climate Change and Disasters". Chapter 8, pp. 145-159 in H. RodrÃ­guez, W. Donner, and J.E. Trainor (eds. ), Handbook of Disaster Research, 2nd ed., Springer, Cham, Switzerland. Kelman, I. 2002. "Climate Change Or Not? Is That the Question?" Fragilecologies, 1 April 2002, full text (55 kb in PDF). Kelman, I. 2007. "The Value of Climate Change". Disaster and Social Crisis Research Network Electronic Newsletter, no. 31 (July-September), p. 7, full text (10 kb in PDF). Kelman, I. 2009. "Beyond Copenhagen: Questions for the future". AlertNet, 15 December 2009, full text (11 kb in PDF). Kelman, I. 2009. "Review of The Fire Dogs of Climate Change: An Inspirational Call to Action by Sally Andrew, Findhorn Press, 2009, http://sallyandrew.findhornpress.com". Emergencies Bulletin, no. 2-3 (May-December), pp. 23-24 (English) and p. 12 (Greek summary), full text in English (167 kb in PDF) and full text in Greek (196 kb in PDF). A similar version published as: Kelman, I. 2010. "Review of 'The Fire Dogs of Climate Change: An Inspirational Call to Action'". Weather and Society Watch, vol. 4, no. 2, pp. 8-9, full text (12 kb in PDF). Kelman, I. (ed.). 2010. "Policy Arena: Climate, Disasters and International Development". Section in Journal of International Development, vol. 22, no. 2, pp. 208-281. Kelman, I. 2010. "The difference between climate hazards and climate disasters". AlertNet, 9 July 2010, full text (as a webpage). Kelman, I. 2010-2011. "Small Island Developing States (SIDS) and Climate Change". Disaster and Social Crisis Research Network Electronic Newsletter, no. 43 (December-March), pp. 14-15, at the time of publication, the same text as in Small Island Developing States (SIDS) and Climate Change (117 kb in PDF, but this document has been updated since). Kelman, I. 2011. "Another year, same gas". The Foreigner, 16 December 2011, full text (as a webpage). Kelman, I. 2011. "Climate change: A storm in societyâ€™s teacup?" The Foreigner, 2 December 2011, full text (as a webpage). Kelman, I. (ed.). 2011. Municipalities Addressing Climate Change: A Case Study of Norway. Nova Publishers, Hauppauge, New York, U.S.A.
Kelman, I. (ed.). 2011. "Municipalities addressing climate change: A case study of Norway". International Journal of Climate Change Strategies and Management, vol. 3, no. 4, pp. 338-430. Kelman, I. 2011. "Norway, islands in the sun, and climate change education". The Foreigner, 5 October 2011, full text (as a webpage). Kelman, I. (ed.). 2011. Tilpasning til ekstremvÃ¦r under klimaendringer i norske kommune. CIENS-rapport 4-2011. CIENS. Oslo, Norway. Kelman, I. 2012. "Filmanmeldelse - UnÃ¸yaktig om klima og flyktninger" (translated by Jorunn Gran). Klima, no. 1, p. 38, full text in Norwegian (1,265 kb in PDF). Kelman, I. 2012. "Vulkanutbrudd, jordskjelv og klimaendringer" (translated by Jorunn Gran). Klima, no. 1, p. 39, full text in Norwegian (1,257 kb in PDF). Kelman, I. 2013. "A local solution to global warming". The Foreigner, 1 June 2013, full text (as a webpage). Kelman, I. 2013. "Conflicts and the climate". The Foreigner, 30 June 2013, full text (as a webpage). Kelman, I. 2013. "Helping climate measures along". The Foreigner, 30 November 2013, full text (as a webpage). Kelman, I. 2013. "'In fair weather, prepare for foul'". The Foreigner, 30 March 2013, full text (as a webpage). Kelman, I. 2013. "Linking disasters and climate change in the context of security". Presentation at Climate Change and Security at the Crossroads - Pathways to Conflict or Cooperation?, University of Agder, Kristiansand, 20-21 June 2013. Kelman, I. 2013. "Reaping the fruits of our disfavours?" The Foreigner, 6 April 2013, full text (as a webpage). Kelman, I. 2013. "Strong voices in the battle for climate unity". The Foreigner, 23 February 2013, full text (as a webpage). Kelman, I. 2013. "Will Norway be overrun by climate refugees?" The Foreigner, 20 May 2013, full text (as a webpage). Kelman, I. 2014. "Climate Change Repetition â‰ Perfection". Disaster, Conflict and Social Crisis Research Network Newsletter, vol. 15, no. 52 (December 2013 - March 2014), p. 9, full text (743 kb in PDF), reprinted in HazNet: Canadian Risk & Hazards Network (Knowledge and Practice), vol. 5, no. 2, pp. 72-73, full text (116 kb in PDF). Kelman, I. 2014. "Dangerous climate change and rhetoric: Where are we headed from now on?" The Foreigner, 31 March 2014, full text (as a webpage). Kelman, I. 2014. "Norway's climate refugees dilemma". The Foreigner, 2 February 2014, full text (as a webpage). Kelman, I. 2015. "Climate Change and the Sendai Framework for Disaster Risk Reduction". International Journal of Disaster Risk Science, vol. 6, no. 2, pp. 117-127. Kelman, I. 2015 (February 5). "Climate change squabbles are inevitable in science - and life". RTCC and Climate Change News, full text (as a webpage). Kelman, I. 2015. "'When is a drought a drought?'". MAHB: Millennium Alliance for Humanity & the Biosphere, 21 April 2015, full text (as a webpage). Republished as Kelman, I. 2017 (May 20). "'When is a drought a drought? '", DRR Voices, full text (as a webpage). Kelman, I. 2015 (September 3). "Living above the Arctic Circle: The impact of Climate Change in remote regions". Angle, full text (as a webpage). Kelman, I. 2015 (October 15). "The climate is changing: So what?" Kewo, no longer online. Kelman, I. 2015 (October 14). "Joint action on climate change: Facts and figures", scidev.net, full text (as a webpage). Kelman, I. 2015. "ON IN London Now: Climate Change". OnIn London, 18 August 2015, full text (as a webpage). Kelman, I. 2016. "Climate mitigation measures are not all freewheeling". The Foreigner, 2 September 2016, full text (as a webpage). Kelman, I. 2016. "Does climate change cause disasters?" Presentation at Emergency preparedness and disaster management, Kristiansand, Norway, 25-26 February 2016. Kelman, I. 2016. "Profiles of Norwegian science: The climate change-conflict connection". The Norwegian American, 19 October 2016, full text (as a webpage). Kelman, I. 2016 (April). "The COP21 Paris Agreement: Reducing or Creating Vulnerability?". southasiadisasters.net, no. 145, pp. 11-12. Kelman, I. 2017. "Climate change in context". Presentation at the UK Alliance for Disaster Research First Annual Conference, London, U.K., 9-10 January 2017. Kelman, I. 2017 (June 1). "Climate change and vulnerability", DRR Voices, full text (as a webpage). Kelman, I. 2017 (December 6). "Climate Change in the Pacific Islands: Historical, Physical and Social". IAPS Dialogue: The Online Magazine of the Institute of Asia & Pacific Studies, full text (as a webpage). Kelman, I. 2017 (August 29). "Don't blame climate change for the Hurricane Harvey disaster - blame society". The Conversation, full text (as a webpage) and republished multiple times including by The Independent, Vox, Yahoo, and Yes Magazine as well as being translated into Italian. Kelman, I. 2018. "Placing climate change within humanitarianism". Presentation at World Conference on Humanitarian Studies, The Hague, Netherlands, 27-29 August 2018. Kelman, I., T. Colbourn, A. Costello, L. Georgeson, S. Kovats, M. Maslin, A. Newsham, P. Sammonds, F. Urban, J. Waage, and P. Wilkinson. 2015. "Climate and climate change". Pp. 11-17 in J. Waage and C. Yap (eds. ), Thinking Beyond Sectors for Sustainable Development. Ubiquity Press, London, U.K.
Kelman, I. and JC Gaillard. 2008. "Placing Climate Change within Disaster Risk Reduction". Disaster Advances, vol. 1, no. 3 (July), pp. 3-5, full text (816 kb in PDF). Kelman, I. and JC Gaillard. 2010. "Embedding Climate Change Adaptation Within Disaster Risk Reduction". Chapter 2, pp. 23-46, in R. Shaw, J.M. Pulhin, and J.J. Pereira (eds. ), Climate Change Adaptation and Disaster Risk Reduction: Issues and Challenges. Community, Environment and Disaster Risk Management, Emerald Group Publishing Limited, Bingley, U.K.
Kelman, I. and JC Gaillard. 2011. "Climate change adaptation as part of disaster risk reduction". Pp. 117-119 in Asia-Pacific Human Development Network (ed. ), E-discussion on Climate Change and Human Development, Human Development Report Unit, UNDP Asia-Pacific Regional Centre, Bangkok, full text of discussion (2,996 kb in PDF). Kelman, I. and JC Gaillard. 2015. "Using reconstruction to place climate change adaptation within disaster risk reduction". Presentation at the 7th i-Rec Conference 2015: Reconstruction and Recovery in Urban Contexts, London, U.K., 6-8 July 2015. Kelman, I. and JC Gaillard. 2016. "Linking theory and practice regarding the role of climate change in humanitarian disasters". Presentation at Emergency preparedness and disaster management, Kristiansand, Norway, 25-26 February 2016. Kelman, I., JC Gaillard, and J. Mercer. 2015 (June). "Climate change within disaster risk reduction". southasiadisasters.net, no. 132, p. 14. Kelman, I. with K. van Dam. 2008 (October). Vulnerability and Adaptation to Climate Change in the Arctic (VACCA): An analysis of the scoping study data. A report prepared for the Sustainable Development Working Group of the Arctic Council. CICERO (Center for International Climate and Environmental Research), Oslo, Norway, full text (213 kb in PDF). Kelman, I., JC Gaillard, and J. Mercer. 2015. "Climate Change's Role in Disaster Risk Reduction's Future: Beyond Vulnerability and Resilience". International Journal of Disaster Risk Science, vol. 6, no. 1, pp. 21-27. Kelman, I. and S. Mavrogenis. 2014. "Theory, Policy, and Practice for Climate Change Adaptation". Chapter 2, pp. 12-20 in B. DuÅ¾Ã­ (ed. ), Environmental Change â€“ Adaptation Challenges. Global Change Research Centre, The Academy of Sciences of the Czech Republic, Brno, Czech Republic. Kelman, I. and J. Mercer. 2014. "A knowledge integration tool for disaster risk reduction including climate change". Chapter 18, pp. 287-299 in A. LÃ³pez-Carresi, M. Fordham, B. Wisner, I. Kelman, and JC Gaillard (eds. ), Disaster Management: International Lessons in Risk Reduction, Response and Recovery, Routledge, Abingdon, U.K.
Koh, K.L., I. Kelman, R. Kibugi, and R.-L.E. Osorio (eds.). 2015. Adaptation to Climate Change: ASEAN and Comparative Experiences. World Scientific, Singapore. Lamadrid, A. and I. Kelman (eds.). 2012. Climate Change Modeling for Local Adaptation in the Hindu Kush-Himalayan Region. Volume 11 of Community, Environment and Disaster Risk Management. Emerald Group Publishing Limited, Bingley, U.K.
Loe, J.S.P. and I. Kelman. 2011. Vulnerability and Adaptation to Climate Change in the Arctic (VACCA): Implementing Recommendations. Econ Report no. R-2011-059. PÃ¶yry. Oslo, Norway, full text (659 kb in PDF). Loe, J.S.P. and I. Kelman. 2012. "Vulnerability and Adaptation to Climate Change in the Arctic (VACCA): Implementing recommendations". Presentation at Arctic Frontiers, TromsÃ¸, Norway, 26 January 2012. Luthe, T., R. Lawrence, I. Kelman, Y. Evers, M. Curran, S.H. TÃ¸rnblad, R. Wyss, and E.L. Berlow. 2013. ArcAlpNet. Resilienz sozialer Netzwerke zu Klimwandel â€“ Resilience of social networks to climate change. Ein arktisch-alpiner Vergleich der Gouvernanz touristisch geprÃ¤gter Gemeinden. An arctic-alpine comparison of governance in tourism dependent communities. Report Nr. 0091213 of the ITF Forschungsberichte/ITF Working Papers, Chur, Switzerland. NjÃ¥stad, B., I. Kelman, and S. Rosenberg (eds.). 2009. Vulnerability and Adaptation to Climate Change in the Arctic. For the Sustainable Development Working Group of the Arctic Council. Kortrapport/Brief Report Series no 12, Norwegian Polar Institute, TromsÃ¸, Norway, full text (977 kb in PDF). Shreve C.M., M. MÃ¡Ã±ez Costa, and I. Kelman. 2014. Consideration of scale and scaling for vulnerability and adaptation studies in the water sector: Case studies in four geographies. Report 21, Climate Services Center, Hamburg, Germany. Wallace, B. and I. Kelman. 2018. "Climate change adaptation in New York City: An analysis of recent actions". Chapter 7, pp. 117-131 in Forino, G., S. Bonati, and L.M. Calandra (eds. ), Governance of Risk, Hazards and Disasters: Trends in Theory and Practice, Routledge, Abingdon, U.K.
Webersik, C., J.K. RÃ¸d, I. Kelman, and H. Upadhyay. 2015. "'We like it here': Explaining the gap between local perceptions and science of climate change impacts". Presentation at NEEDS - The First Northern European Conference on Emergency and Disaster Studies, Copenhagen, Denmark, 9-11 December 2015. Wisner, B., M. Fordham, I. Kelman, B.R. Johnston, D. Simon, A. Lavell, H.G. Brauch, U. Oswald Spring, G. Wilches-Chaux, M. Moench, and D. Weiner. 2007. Climate Change and Human Security. Radix, April 2007, full text (as a webpage). The Climatic Research Unit at the University of East Anglia, Norwich, U.K. where climate change research is conducted. Alexander, D., S. Bhatia, D. Benouar, J.K. Bothara, O.D. Cardona, A.M. Dixit, R. Green, M. Gupta, R.C. Kandel, I. Kelman, T. Monk, B. Pandey, M. Petal, Z.R. SanduvaÃ§, R. Shaw, and B. Wisner. 2015. "School Seismic Safety: Case Studies". In M. Beer, I.A. Kougioumtzoglou, E. Patelli, I.S.-K. Au (eds. ), Encyclopedia of Earthquake Engineering, Springer-Verlag Berlin Heidelberg. Kelman, I. 2004. "One Post-Disaster Mission Too Many?" EMSE 232 Disaster Newsletter, vol. 6, no. 2 (March), no longer online. Kelman, I. 2006. "Resilience of Earthquake History". RiskPost: The Newsletter of the New Zealand Society for Risk Management, issue 5, no. 5 (May), pp. 7-8, full text (9 kb in PDF). Kelman, I. (ed.). 2007. "Earthquake Safety of Schoolchildren". Regional Development Dialogue, vol. 28, no. 2, pp. 1-148, download the table of contents (124 kb in PDF). Kelman, I. 2009. "Earthquake early warning", pp. 175-176 in M.H. Glantz (ed. ), Heads Up! Early Warning Systems for Climate-, Water- and Weather-Related Hazards, United Nations University, Tokyo, Japan. Kelman, I. 2011. "Climate Conversations - Is climate change increasing earthquakes?" AlertNet, 15 March 2011, full text (46 kb in PDF). Kelman, I. 2012. "Earthquakes in Norway: Why worry?" The Foreigner, 20 January 2012, full text (as a webpage). Kelman, I. 2017. "Saving lives in earthquakes". Mendeley Blog, 11 May 2017, full text (as a webpage). Republished as Kelman, I. 2017 (May 16). "Saving lives in earthquakes", DRR Voices, full text (as a webpage). Petal, M. and I. Kelman. 2009. "Schools Practice, What to Do When the Earth Moves Under Your Feet: Case Study - A Community-wide Earthquake Drill in California". Pp. 108-109 in Community-Based Disaster Risk Reduction, Making Schools Safer, Course Material. The Training and Learning Circle, All India Disaster Mitigation Institute. Ahmedabad, India, full text (220 kb in PDF). Petal, M., B. Wisner, I. Kelman, D. Alexander, O.D. Cardona, D. Benouar, S. Bhatia, J.K. Bothara, A.M. Dixit, R. Green, R.C. Kandel, T. Monk, B. Pandey, J. Rodgers, Z.T. SanduvaÃ§, and R. Shaw. 2015. "School Seismic Safety and Risk Mitigation". In M. Beer, I.A. Kougioumtzoglou, E. Patelli, I.S.-K. Au (eds. ), Encyclopedia of Earthquake Engineering, Springer-Verlag Berlin Heidelberg. Wisner, B., I. Kelman, T. Monk, J.K. Bothara, D. Alexander, A.M. Dixit, D. Benouar, O.D. Cardona, R.C. Kandel, and M. Petal. 2004. School Seismic Safety: Falling Between the Cracks? Radix, August 2004, full text (902 kb in PDF). Ahmed, B., I. Kelman, H.K. Fehr, and M. Saha. 2016. "Community Resilience to Cyclone Disasters in Coastal Bangladesh". Sustainability, vol. 8, no. 8, article 805, full text (as a webpage). Becker, J., M. Coomer, G.S. Leonard, and I. Kelman. 2006. February 2004 Flooding Impacts: Tabulated Results of a Survey of Residents from the Manawatu-Wanganui Region, GNS Science Report 2006/14. GNS Science, Lower Hutt, New Zealand. Begg, C., I. Callsen, C. Kuhlicke, and I. Kelman. 2018. "The Role of Local Stakeholder Participation in Flood Defence Decisions in the UK and Germany". Journal of Flood Risk Management, vol. 11, no. 2, pp. 180-190. Brown, J., F. Thomalla, I. Kelman, I. MÃ¶ller, R. Spence, and T. Spencer. 2002. "Towards Long-term Flood Management on Canvey Island, United Kingdom". Abstracts of the 98th Annual Meeting of the Association of American Geographers, Los Angeles, California, 19-23 March 2002, abstract (38 kb in PDF). DuÅ¾Ã­, B., D. Vikhrov, R. Stojanov, and I. Kelman. 2014. "The Role Of Perception In Adaptation To Floods: The Case Study Of BeÄ�va River". Chapter 4, pp. 36-52 in B. DuÅ¾Ã­ (ed. ), Environmental Change â€“ Adaptation Challenges. Global Change Research Centre, The Academy of Sciences of the Czech Republic, Brno, Czech Republic. DuÅ¾Ã­, B., D. Vikhrov, I. Kelman, R. Stojanov, and J. JakubÃ­nskÃ½. 2015. "Household flood risk reduction in the Czech Republic". Mitigation and Adaptation Strategies for Global Change, vol. 20, no. 4, pp. 499-504. DuÅ¾Ã­, B., D. Vikhrov, I. Kelman, R. Stojanov, and D. JuÅ™iÄ�ka. 2017. "Household Measures for River Flood Risk Reduction in the Czech Republic". Journal of Flood Risk Management, vol. 10, no. 2, pp. 253-266. DuÅ¾Ã­, B., D. Vikhrov, R. Stojanov, I. Kelman, and D. JuÅ™iÄ�ka. 2013. "Household Coping with and Adapting to River Flood Risk: Case Study of BeÄ�va River Basin". Pp. 58-68 in the Proceedings of the 5th Annual International Scientific Conference, Region in the Development of Society, Mendel University in Brno, Brno, Czech Republic, 10 October 2013. Foley, A. and I. Kelman. 2017. "Extreme precipitation statistics in regional climate models: Evaluation for the islands of Scotland". Poster at the American Association of Geographers Annual Meeting, Boston, U.S.A., 5-9 April 2017. Johnston, D., G. Leonard, M. Walton, D. Paton, K. Ronan, W. Gray, R. Bell, and I. Kelman. 2004. "Socio-economic impacts of the June 2002 'Weather Bomb' and the February 2004 storms in New Zealand: Challenges in developing an integrated assessment methodology". Presentation at the International Conference on Storms, Brisbane, Australia, 5-9 July 2004, abstract (897 kb in PDF). Kamal, A.S.M.M., M. Shamsudduha, B. Ahmed, S.M.K. Hassan, M.S. Islam, I. Kelman, and M. Fordham. 2018. "Resilience to Flash Floods in Wetland Communities of Northeastern Bangladesh". International Journal of Disaster Risk Reduction, vol. 31, pp. 478-488. Kelman, I. 2001. "The Autumn 2000 Floods in England and Flood Management". Weather, vol. 56, no. 10 (October), pp 346-348,353-360. Kelman, I. 2002. Physical Flood Vulnerability of Residential Properties in Coastal, Eastern England. PhD dissertation, University of Cambridge, U.K., full text (as a webpage). Kelman, I. 2002. "The Autumn 2000 Floods in England". CFS Press, December 2002, full text (470 kb in PDF). Kelman, I. 2003. "To seal or not to seal: Do human and physical geographies conflict in flood management for individual properties?" Research paper presentation in the session "Geographical Solutions to Flooding Problems in the U.K." (convener Andrew Black) at Geography, Serving Society and the Environment, International Annual Conference 2003 of the RGS-IBG (Royal Geographical Society and The Institute of British Geographers), London, U.K., 3-5 September 2003, abstract (37 kb in PDF). Kelman, I. 2005. "Floods Should Not Mean Disasters". Building Research and Information, vol. 33, no. 3, pp. 287-292. Kelman, I. 2006. "Living with Boulder Floods". Boulder Creek Watershed Initiative Newsletter, vol. 6, issue 1 (June), p. 4, full text (402 kb in PDF). Kelman, I. 2006. "Review of Marshall Frech's The Water's Edge". Weather and Society Watch, vol. 1, no. 2, p. 9, full text (9 kb in PDF). Kelman, I. 2008. "Guest Editorial: Lessons Relearned from Katrina?" American Journal of Disaster Medicine, vol. 3, no. 2, pp. 61-62. Kelman, I. 2008. "Myths of Hurricane Katrina". Disaster Advances, vol. 1, no. 1, pp. 40-46, abstract (12 kb in PDF). Kelman, I. 2011. "Floods and the Norwegians". The Foreigner, 7 September 2011, full text (as a webpage). Kelman, I. 2012. "Floods should not mean disasters". Geography Directions, full text (as a webpage). Kelman, I. 2013. "Saffir-Simpson Hurricane Intensity Scale". Pp. 882-883 in P.T. Bobrowsky (ed. ), Encyclopedia of Natural Hazards, Springer, London. Kelman, I. 2017 (September 1). "Urban design caused the Hurricane Harvey disaster". Dezeen, full text (as a webpage) and republished across many blogs. Kelman, I. 2018. "Why let snow be a disaster". MAHB: Millennium Alliance for Humanity & the Biosphere, 2 March 2018, full text (as a webpage). Kelman, I., B. Ahmed, M. Esraz-Ul-Zannat, M.M. Saroar, M. Fordham, and M. Shamsudduha. 2018. "Warning systems as social processes for Bangladesh cyclones". Disaster Prevention and Management, vol. 27, no. 4, pp. 370-379. Kelman, I., H. Lazrus, O. Wilhelmi, R. Pulwarty, and JC Gaillard. 2008. "Applying improved vulnerability theory for reducing the risk and cost of weather disasters". Poster at the Third Symposium on Policy and Socio-Economic Research at the 88th American Meteorological Society Annual Meeting, New Orleans, Louisiana, 20-24 January 2008, abstract (8 kb in PDF), full text (103 kb in PDF). Kelman, I. and T. Rauken. 2009. "Climate change or not? Policy lessons for flooding". Presentation at the Society for Risk Analysis - Europe Conference, From the Everyday to the Extraordinary, Karlstad, Sweden, 28 June to 1 July 2009, abstract (8 kb in PDF). Kelman, I. and T. Rauken. 2012. "The paradigm of structural engineering approaches for river flood risk reduction in Norway". Area, vol. 44, no. 2, pp. 144-151. Kelman, I. and R. Spence. 2002. 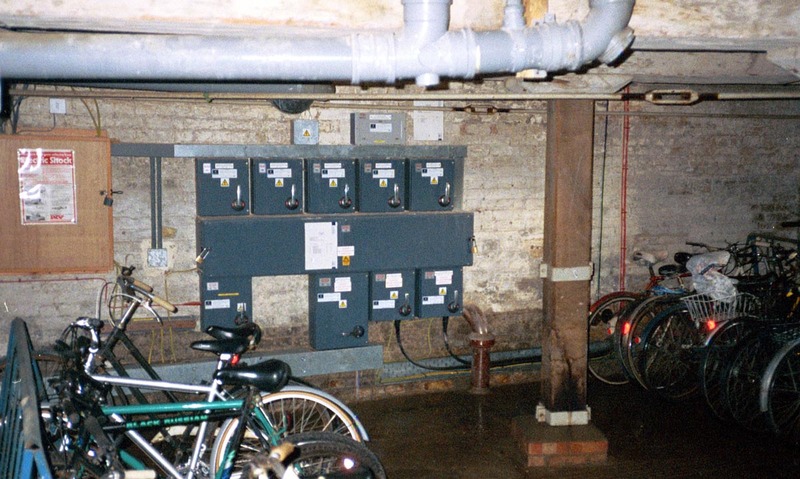 "Vulnerabilities of Residential Buildings in England to the Physical Forces Imposed by Floods". Geophysical Research Abstracts, vol. 4, session NH5 "Natural Hazards Impact on Urban Areas and Infrastructure" at the 27th General Assembly of the European Geophysical Society, Nice, France, 21-26 April 2002. Kelman, I. and R. Spence. 2003. "A Flood Failure Flowchart for Buildings". Proceedings of the Institution of Civil Engineers--Municipal Engineer, vol. 156, issue ME3, pp. 207-214, abstract (35 kb in PDF). Kelman, I. and R. Spence. 2004. "An Overview of Flood Actions on Buildings". Engineering Geology, vol. 73, issues 3-4 (June) pp. 297-309, abstract (37 kb in PDF). Kelman, I., F. Thomalla, J. Brown, I. MÃ¶ller, R. Spence, and T. Spencer. 2002. "Coastal Flood Risk Assessment in England". Poster 20 in Philosophical Transactions of the Royal Society of London, vol. A360, no. 1796, pp. 1553-1554, abstract (8 kb in PDF) and full text (431 kb in PDF). Leonard, G., D. Johnston, M. Walton, I. Kelman, W. Gray, and R. Bell. 2004. "Damage assessments for varying flood depths: Analysis from the 2002 'Weather Bomb' event, Coromandel, New Zealand". Poster at the International Conference on Storms, Brisbane, Australia, 5-9 July 2004, abstract (63 kb in PDF). Leonard, G., I. Kelman, and D. Johnston. 2004. Residential Impacts, Perceptions and Preparedness Related to the Lower Hutt City February 2004 Flooding: Preliminary Results, IGNS Science Report 2004/38. IGNS (Institute of Geological and Nuclear Sciences), Lower Hutt, New Zealand. Lewis, J. and I. Kelman. 2009. "Housing, Flooding and Risk-Ecology: Thames Estuary South-Shoreland and North Kent". Journal of Architectural and Planning Research, vol. 26, no. 1, pp. 14-29, abstract (8 kb in PDF). The journal did not make some changes requested at the proof stage, so the journal's published version has errors. The full text with corrections is available here (497 kb in PDF) along with some supplemental images (176 kb in PDF). Rauken, T. and I. Kelman. 2010. "River Flood Vulnerability in Norway through the Pressure and Release Model". Journal of Flood Risk Management, vol. 3, no. 4, pp. 314-322, abstract (7 kb in PDF). Subrath-Ali, C., D. Villarroel-Lamb, and I. Kelman. 2012. â€œTowards a Probabilistic Flood Base Model for Caribbean Coastsâ€�. Presentation at the International Conference on Coastal Engineering, Santander, Spain, 1-6 July 2012. Thomalla, F., J. Brown, I. Kelman, I. MÃ¶ller, R. Spence, and T. Spencer. 2000. "Coastal Settlements at Risk: A Study of England's East Coast". Poster at Natural Hazards and the No-Risk Society, London, U.K., 7 July 2000, abstract (41 kb in PDF) and full text (100 kb in PDF). Thomalla, F., J. Brown, I. Kelman, I. MÃ¶ller, R. Spence, and T. Spencer. 2000. "Coastal Settlements at Risk: A Study of England's East Coast". Poster at TSUNAMI: What Science can do for Insurance, The Royal Society, London, U.K., 10-11 April 2000, abstract (41 kb in PDF) and full text (100 kb in PDF). Thomalla, F., J. Brown, I. Kelman, I. MÃ¶ller, R. Spence, and T. Spencer. 2000. "Coastal Settlements at Risk: A Study of England's East Coast", pp. F-263 to F-273 in Volume 1 of F. Toensmann and M. Koch (eds. ), River Flood Defence (Proceedings of the International Symposium on River Flood Defence), Kassel, Germany, 20-23 September 2000, Kassel Reports of Hydraulic Engineering No. 9/2000, Herkules Verlag, Kassel, Germany, abstract (93 kb in PDF). Thomalla, F., J. Brown, I. Kelman, I. MÃ¶ller, R. Spence, and T. Spencer. 2002. "Towards An Integrated Approach for Coastal Flood Impact Assessment", pp. 142-158 in Proceedings of the Solutions to Coastal Disasters Conference, American Society for Civil Engineers (ASCE), San Diego, California, 24-27 February 2002, abstract (38 kb in PDF). Thomalla, F., J. Brown, I. Kelman, and R. Spence. 2002. "Storm Surge Flooding on Canvey Island, UK: An Integration of Urban Flood Modelling and Assessments of Residential Building Vulnerability." Presentation abstract in Journal of Coastal Research, SI 36, Proceedings from the International Coastal Symposium, Templepatrick, Northern Ireland, 25-29 March 2002, abstract (39 kb in PDF). Walton, M., I. Kelman, D. Johnston, and G. Leonard. 2004. Economic impacts on New Zealand of climate change-related extreme events: Focus on freshwater floods. Report to the New Zealand Climate Change Office from the New Zealand Institute of Economic Research, Wellington, New Zealand. Wilhelmi, O. and I. Kelman. 2008. "Elements of a flood disaster: The role of vulnerability in disaster risk reduction". Presentation at the Third Symposium on Policy and Socio-Economic Research at the 88th American Meteorological Society Annual Meeting, New Orleans, Louisiana, 20-24 January 2008, abstract (8 kb in PDF). 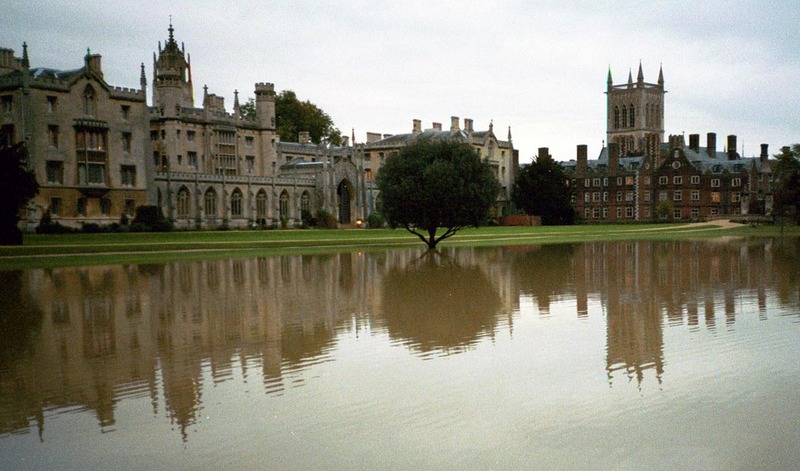 The flooded backs of St. John's College, Cambridge, U.K.
Kelman, I. 1999. "Beware the Slides of March". Ye Gesta Asnacorum, Department of Anglo-Saxon, Norse, and Celtic, University of Cambridge, full text (11 kb in PDF). Kelman, I. 2012. "How Oslo can plan for fires". The Foreigner, 29 June 2012, full text (as a webpage). Kelman, I. 2016. 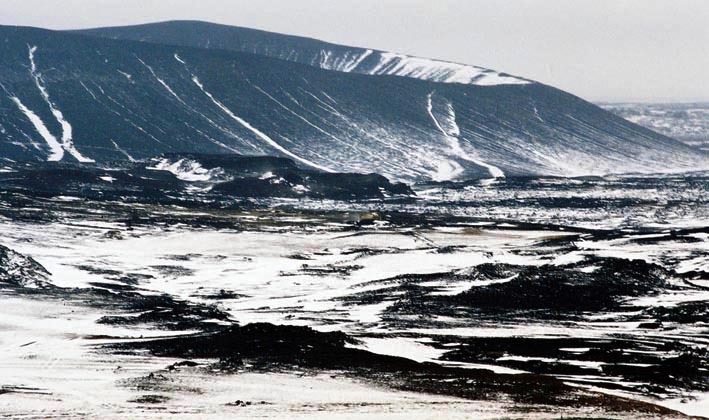 "Longyearbyen avalanche death prevention work must continue". The Foreigner, 6 January 2016, full text (as a webpage). Kelman, I., B. Romstad, and H. SÃ¦len. 2009. "Slip Slidin' Away: GIS-Based Risk Analysis for Landslides and Avalanches in Norway". EarthZine, 27 January 2009, full text (as a webpage). A slope failure on SÃ£o Miguel, the Azores. Kelman, I. 2013. "Turning up the heat against climate inaction". The Foreigner, 12 August 2013, full text (as a webpage). Kelman, I. 2013. "The heat wave spectre haunting Europe: Basking in ignorance". The Foreigner, 26 July 2013, full text (as a webpage). 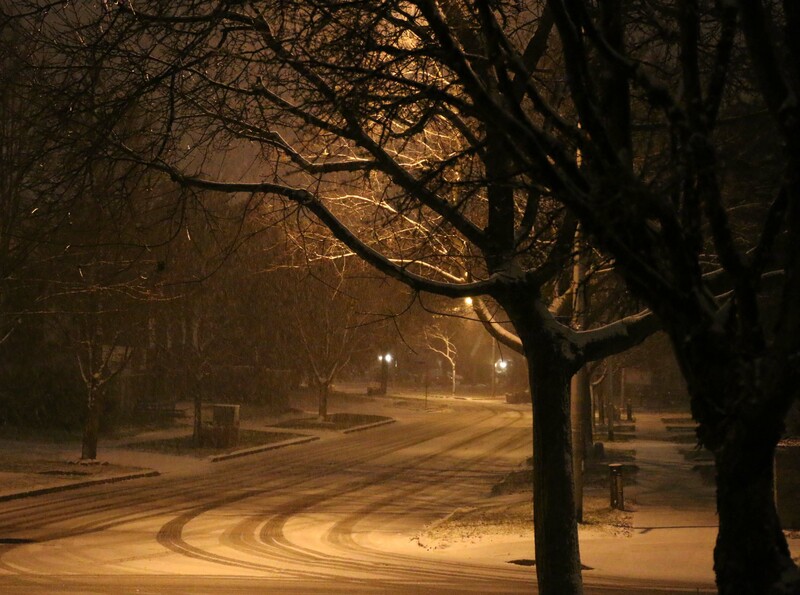 Snow and cold in Toronto, Ontario. Kelman, I. 2012. "Tsunamis can happen along any coastline, including in Norway". The Foreigner, 26 July 2012, full text (as a webpage). Kelman, I. 2017. "Profiles of Norwegian science: Supporting tsunami survivors". The Norwegian American, 30 May 2017, full text (as a webpage). Kelman, I. 2006. "Warning for the 26 December 2004 Tsunamis". Disaster Prevention and Management, vol. 15, issue 1, pp. 178-189, full text (78 kb in PDF, with kind permission of the publisher) and reprinted as I. Kelman, 2006, "Warning for the 26 December 2004 Tsunamis", Chapter 13, pp. 119-135 in S. Ghosh (ed. ), Technology Application for Earthquake Disaster Management, ICFAI University Press, Hyderabad, India. Kelman, I. and S.H.M. Fakhruddin (eds.). 2007. "Tsunamis", pp. 146-150 in M.H. Glantz (ed. ), Heads Up! Early Warning Systems for Climate, Water and Weather, Tsinghua University Press, Beijing and Climate Affairs LLC, Boulder, Colorado, U.S.A. Republished as Kelman, I. and S.H.M. Fakhruddin (eds.). 2009. "Tsunamis", pp. 165-170 in M.H. Glantz (ed. ), Heads Up! Early Warning Systems for Climate-, Water- and Weather-Related Hazards, United Nations University, Tokyo, Japan. Romstad, B. and I. Kelman. 2012. "Just when you thought it was safe to go back into the fjord". The Foreigner, 11 September 2012, full text (as a webpage). Spence, R., J. Palmer, M. Petal, I. Kelman, and K. Saito. 2007. "Analysing eyewitness reports of the 2004 Asian tsunami". Proceedings of the Institution of Civil Engineers--Maritime Engineering, vol. 160, issue ME2, pp. 75-85, abstract (8 kb in PDF). 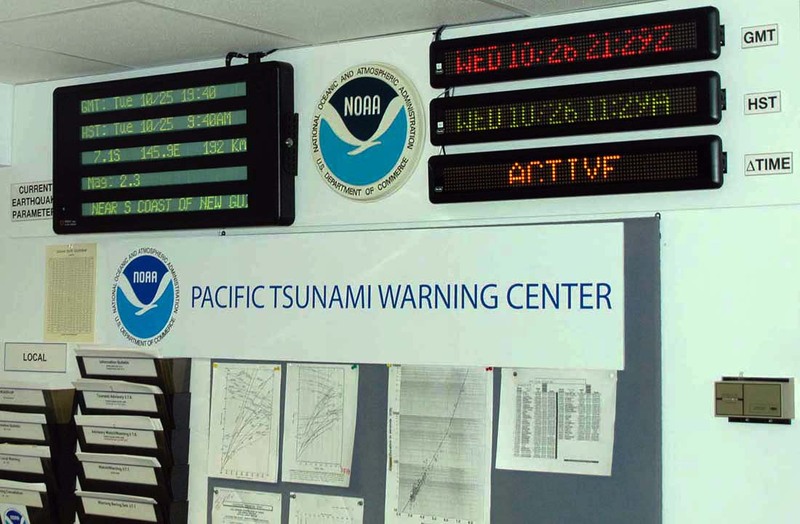 Pacific Tsunami Warning Center, Oahu, Hawai'i. Barclay, J., K. Haynes, T. Mitchell, C. Solana, R. Teeuw, A. Darnell, H.S. Crosweller, P. Cole, D. Pyle, C. Lowe, C. Fearnley, and I. Kelman. 2008. "Framing volcanic risk communication within disaster risk reduction: finding ways for the social and physical sciences to work together". Chapter 14, pp. 163-177, D.G.E. Liverman, C.P.G. Pereira, and B. Marker (eds. ), Communicating Environmental Geoscience, Geological Society of London Special Publications, Geological Society of London, London, U.K., abstract (8 kb in PDF). Barclay, J., K. Haynes, T. Mitchell, R. Teeuw, P. Cole, I. Kelman, S. Crosweller, and the U.K. SPIDER Network Team. 2008. "Framing volcanic risk communication within disaster risk reduction: finding ways for the social and physical sciences to work together". Presentation at IAVCEI 2008 (International Association of Volcanology and Chemistry of the Earthâ€™s Interior General Assembly), ReykjavÃ­k, Iceland, 17-22 August 2008, abstract (9 kb in PDF). Calogero, E., R. Spence, A. Brown, and I. Kelman. 2004. "Surveying Residential Building Stock Vulnerability to Volcanic Hazards". Poster at Mitigating Volcanic Crises: Practical Solutions for the 21st Century, London, U.K., 31 August to 2 September 2004, abstract (61 kb in PDF). Calogero, E., R. Spence, A. Brown, and I. Kelman. 2005. "Surveying Building Vulnerability to Explosive Volcanic Eruptions and Applying the Results for Mitigation and Civil Defence". Geophysical Research Abstracts, vol. 7, session NH9.07 "Vulnerability Assessment in Natural Hazard and Risk Analysis for Management and Civil Defence Application" at the European Geosciences Union's General Assembly, Vienna, Austria, 24-29 April 2005. Gaillard, JC, C. Dibben, I. Kelman, and J. Morin. 2008. "Alternatives pour une rÃ©duction durable des risques et des catastrophes en milieu micro-insulaire volcanique". Colloque International Karthala 2008, Moroni, Comoros, 19-21 November 2008. Kelman, I. 1998. Role of Technology in Managing Vulnerability to Natural Disasters, With Case Studies of Volcanic Disasters on Non-Industrialized Island. Master of Applied Science dissertation, University of Toronto, Canada, full text (as a webpage). Kelman, I. 2005. "Volcanologists Serving Society". Cities and Volcanoes Commission Newsletter, September 2005, p. 1, full text (336 kb in PDF). Kelman, I. 2005. "Volcanology Ethics". Cities and Volcanoes Commission Newsletter, December 2005, p. 2, full text (9 kb in PDF). Kelman, I. 2006. "Interdisciplinary Cities on Volcanoes". Disaster and Social Crisis Research Network Electronic Newsletter, no. 25 (January-March), pp. 11-12, full text (9 kb in PDF). Kelman, I. 2006. "Traditional Volcanic Knowledge". Cities and Volcanoes Commission Newsletter, April 2006, p. 2, full text (9 kb in PDF). Kelman, I. 2006. "Volcano-safer Schools". Cities and Volcanoes Commission Newsletter, December 2006, p. 1, full text (9 kb in PDF). Kelman, I. (ed.). 2007. "Volcano Early Warning Systems", pp. 151-154 in M.H. Glantz (ed. ), Heads Up! Early Warning Systems for Climate, Water and Weather, Tsinghua University Press, Beijing and Climate Affairs LLC, Boulder, Colorado, U.S.A. Republished as Kelman, I. (ed.). 2009. "Volcano early warning systems", pp. 170-175 in M.H. Glantz (ed. ), Heads Up! Early Warning Systems for Climate-, Water- and Weather-Related Hazards, United Nations University, Tokyo, Japan. Kelman, I. 2007. "Where are the People?" Cities and Volcanoes Commission Newsletter, September 2007, p. 2, full text (9 kb in PDF). Kelman, I. and B. Karney. 1998. "Technology, Volcanoes, and Us". Presentation at the 23rd Annual Hazards Research and Applications Workshop, Boulder, Colorado, 12-15 July 1998, abstract (57 kb in PDF). Kelman, I. and B. Karney. 1998. "The Role of Technology in Managing Vulnerability to Natural Disasters". An abstract for the 7th International Conference on Natural and Man-made Hazards (HAZARDS '98), Chania, Crete, 17-22 May 1998, abstract (67 kb in PDF). Kelman, I., H. Lazrus, JC Gaillard, O. Wilhelmi, R. Pulwarty, and C. Dibben. 2008. "Applying vulnerability theory for volcano disaster risk reduction". Poster at IAVCEI 2008 (International Association of Volcanology and Chemistry of the Earthâ€™s Interior General Assembly), ReykjavÃ­k, Iceland, 17-22 August 2008, abstract (8 kb in PDF) and full text (96 kb in PDF). Kelman, I. and T.A. Mather. 2006. "Living with volcanoes: A framework for analysing volcano-related opportunities". Presentation in Symposium V "Risk Management" at Cities on Volcanoes 4, Quito, Ecuador, 23-27 January 2006, abstract (8 kb in PDF). Kelman, I. and T.A. Mather. 2008. "Living with volcanoes: The sustainable livelihoods approach for volcano-related opportunities". Journal of Volcanology and Geothermal Research, vol. 172, no. 3-4, pp. 189-198, abstract (8 kb in PDF). Kelman, I., R. Spence, A. Brown, D. Purser, P. Baxter, and E. Calogero. 2005. "Towards Standards and Ratings for Shelters Protecting Against Explosive Volcanic Eruptions". Geophysical Research Abstracts, vol. 7, session NH9.04 "Multidisciplinary Approaches in Volcanic Hazard Forecasting and Risk Mitigation" at the European Geosciences Union's General Assembly, Vienna, Austria, 24-29 April 2005. Komorowski, J.-C., J. Morin, S. Jenkins, and I. Kelman. 2017. "Challenges of Volcanic Crises on Small Islands States". Chapter, pp. 353-371 in C. Fearnley, D. Bird, G. Jolly, K. Haynes, and B. McGuire (eds. ), Observing the Volcano World: Volcano Crisis Communication, Springer, Berlin, Germany. Leonard, G., D. Johnston, D. Paton, and I. Kelman. 2004. "Towards Achieving Community Sustainability in the Face of Natural Hazards: Integrated Lahar Warning System Design on Mt. Ruapehu, New Zealand". Presentation at the IAVCEI (International Association of Volcanology and Chemistry of the Earth's Interior) General Assembly 2004: Volcanism and its Impact on Society, PucÃ³n, Chile, 14-19 November 2004 and poster at the Volcanic Impacts Study Group Inaugural Annual Seminar 2004, Auckland, New Zealand, 7 October 2004 abstract (66 kb in PDF). Michnowicz, S.A.K. and I. Kelman. 2009. "News is the opiate of the masses? Science-media interaction during volcanic eruptions". Presentation at the International Conference on Science in Society, University of Cambridge, Cambridge, U.K., 5-7 August 2009, abstract (8 kb in PDF). Michnowicz, S.A.K. and I. Kelman. 2010. "Roles For Geologists In Volcanic Crisis Communication". Poster at Session 2.5 "Communication strategies for reducing volcanic risk", Cities on Volcanoes 6, Tenerife, Canary Islands, Spain, 31 May to 4 June 2010. Spence, R., A. Brown, I. Kelman, G. Zuccaro, P. Baxter, D. Purser, and E. Calogero. 2005. "Pyroclastic Flow Vulnerability Assessment and Mitigation Around European Volcanoes". Geophysical Research Abstracts, vol. 7, session NH9.07 "Vulnerability Assessment in Natural Hazard and Risk Analysis for Management and Civil Defence Application" at the European Geosciences Union's General Assembly, Vienna, Austria, 24-29 April 2005. Spence, R., I. Kelman, P. Baxter, G. Zuccaro, and S. Petrazzuoli. 2005. "Residential Building and Occupant Vulnerability to Tephra Fall", Natural Hazards and Earth Systems Sciences, vol. 5, no. 4, pp. 477-494. Spence, R., I. Kelman, A. Brown, G. Toyos, D. Purser, and P. Baxter. 2007. "Residential Building and Occupant Vulnerability to Pyroclastic Density Currents in Explosive Eruptions". Natural Hazards and Earth Systems Sciences, vol. 7, no. 2, pp. 219-230. Spence, R., I. Kelman, E. Calogero, G. Toyos, P. Baxter, and J.C. Komorowski. 2005. "Modelling Expected Physical Impacts and Human Casualties from Explosive Volcanic Eruption", Natural Hazards and Earth Systems Sciences, vol. 5, no. 6, pp. 1003-1015. Spence, R., I. Kelman, and G. Zuccaro. 2004. 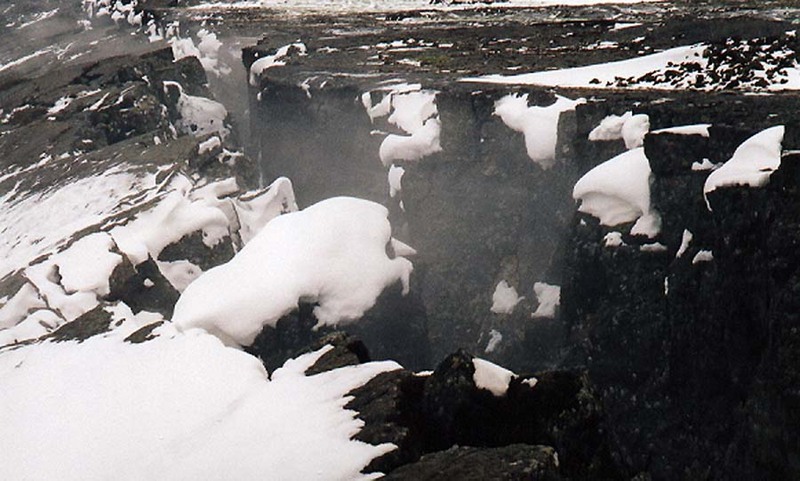 "The Vulnerability of Buildings to Tephra Falls Associated With Volcanic Eruptions". Geophysical Research Abstracts, vol. 6, session NH9.04 "Multidisciplinary Approaches in Volcanic Risk Assessment and Management" at the European Geoscience Union's 1st General Assembly, Nice, France, 25-30 April 2004. Spence, R., I. Kelman, G. Zuccaro, E. Calogero, P. Baxter, and D. Purser. 2005. "Modelling, Applying, and Communicating Potential Human Impacts from Explosive Volcanic Eruptions". Geophysical Research Abstracts, vol. 7, session NH9.05 "Human Impacts and Multidisciplinary Approaches in Natural Hazard and Risk Assessment" at the European Geosciences Union's General Assembly, Vienna, Austria, 24-29 April 2005. Zuccaro, G., S. Petrazzuoli, R. Spence, and I. Kelman. 2005. "Resistance of Roofs to Tephra Fall: Full Scale Tests on Obsolete Technologies". Geophysical Research Abstracts, vol. 7, session NH9.04 "Multidisciplinary Approaches in Volcanic Hazard Forecasting and Risk Mitigation" at the European Geosciences Unionâ€™s General Assembly, Vienna, Austria, 24-29 April 2005. Zuccaro, G., S. Petrazzuoli, R. Spence, I. Kelman, and E. Calogero. 2005. "Combining the Effects of Volcanic Hazards on Buildings: A Modelling Approach to Synthesising the Impact Under Different Eruption Scenarios". Geophysical Research Abstracts, vol. 7, session NH9.04 "Multidisciplinary Approaches in Volcanic Hazard Forecasting and Risk Mitigation" at the European Geosciences Unionâ€™s General Assembly, Vienna, Austria, 24-29 April 2005. Near MÃ½vatn in the north of Iceland's volcanoscape. Abubakar, I., R.W. Aldridge, D. Devakumar, M. Orcutt, R. Burns, M.L. Barreto, P. Dhavan, F.M. Fouad, N. Groce, Y. Guo, S. Hargreaves, M. Knipper, J.J. Miranda, N. Madise, B. Kumar, D. Mosca, T. McGovern, L. Rubenstein, P. Sammonds, S.M. Sawyer, K. Sheikh, S. Tollman, P. Spiegel, and C. Zimmerman, on behalf of the UCLâ€“Lancet Commission on Migration and Health (contributing authors include M. Abbas, E. Acer, A. Ahmad, B. Ahmed, S. Abimbola, J.D. BeltrÃ¡n, K. Blanchet, P. Bocquier, F. Samuels, O. Byrne, S. Haerizadeh, R. Issa, M. Collinson, C. Ginsburg, I. Kelman, A. McAlpine, N. Pocock, B. Olshansky, D. Ramos, K. Stavrianaki, M. White, and S. Zhou). 2018. "The UCL-Lancet Commission on Migration and Health: the health of a world on the move". The Lancet, vol. 392, no. 10164, pp. 2606-2654. Belesova, K., I. Kelman, and R. Boyd. 2016. "Governance Through Economic Paradigms: Addressing Climate Change by Accounting for Health". Politics and Governance, vol. 4, no. 4, pp. 87-96. Belesova, K., I. Kelman, and R. Boyd. 2017. "Governance through Economic Paradigms: Addressing Climate Change by Accounting for Health". Presentation at the Ninth International Conference on Climate Change: Impacts and Responses, Anglia Ruskin University, Cambridge, U.K., 21-22 April 2017. Boret, S.P. and I. Kelman. 2015. "Supporting Mental Health through Managing Bodies and Memorialization in Emergencies". Presentation at the UK-Japan Collaborative Seminar on Disaster Risk Reduction, London, U.K., 23 October 2015. Colbourn, T, J. Gideon, N. Groce, M. Heinrich, I. Kelman, M. Kett, R. Kock, S.H. Mayhew, and J. Waage. 2015. "Human health". Pp. 29-36 in J. Waage and C. Yap (eds. ), Thinking Beyond Sectors for Sustainable Development, Ubiquity Press, London, U.K.
Kelman, I. 2015 (June 23). "Tackling climate change improves health and saves money". UCL Lancet Commission blogs, full text (as a webpage). Kelman, I. 2016. "Gendered impacts of climate change on health: Reducing flood disaster casualties". Presentation at Environment and Human Health - Social Perspectives, London, U.K., 19 February 2016. Kelman, I. 2016. "Profiles of Norwegian science: Norway's health and climate change role". The Norwegian American, 27 December 2016, full text (as a webpage). Kelman, I. 2016. "Urban Island Health: Vulnerability and Resilience at the Land-Sea Interface". Presentation at Island Cities and Urban Archipelagos 2016, Hong Kong, 7-12 March 2016. Kelman, I. and T. Colbourn. 2017. "Climate Hazards and Health in Asia". Chapter 4 in T. Sternberg (ed. ), Climate Hazard Crises in Asian Societies and Environments, Routledge, Abingdon, U.K., pp. 56-72. Kobayashi, N., H. Nemoto, S. Satoh, S. Kikuchi, N. Honda, K. Sato, J. Sugawara, K. Ito, R. Kayano, C. Beadling, I. Kelman, F. Imamura, H. Matsuoka, and H. Tomita. 2016. "Maternal psychological health after the Great East Japan Earthquake and Tsunami". Presentation at Facing Disasters: International disaster Management and Humanitarian Responses, London, U.K., 28 July 2016. Shultz, J.M., J.P. Kossin, J.M. Shepherd, J.M. Ransdell, R. Walshe, I. Kelman, and S. Galea. 2018. "Hurricane Risks, Health Consequences and Response Challenges for Small Island Based Populations: Observations from the 2017 Atlantic Hurricane Season". Disaster Medicine and Public Health Preparedness, vol. 13, special issue 1, pp. 5-17. Shultz, J.M., J.M. Shepherd, I. Kelman, A. Rechkemmer, and S. Galea. 2018. "Mitigating tropical cyclone risks and health consequences: urgencies and innovations". The Lancet Planetary Health, vol. 2, pp. e103-e104. Spence, R., I. Kelman, A. Brown, G. Toyos, P. Baxter, and E. Calogero. 2006. "The influence of building type on human survivability of explosive volcanic eruptions". Poster at Symposium VII "Human Health Impacts of Volcanism" at Cities on Volcanoes 4, Quito, Ecuador, 23-27 January 2006, abstract (8 kb in PDF). Spence, R., I. Kelman, E. Calogero, G. Toyos, P. Baxter, and J.C. Komorowski. 2006. "Human casualties in pyroclastic flows: An impact model based on European case studies". Presentation in Symposium VII "Human Health Impacts of Volcanism" at Cities on Volcanoes 4, Quito, Ecuador, 23-27 January 2006, abstract (8 kb in PDF). Watts, N., W.N. Adger, P. Agnolucci, J. Blackstock, P. Byass, W. Cai, S. Chaytor, T. Colbourn, M. Collins, A. Cooper, P.M. Cox, J. Depledge, P. Drummond, P. Ekins, V. Galaz, D. Grace, H. Graham, M. Grubb, A. Haines, I. Hamilton, A. Hunter, X. Jiang, M. Li, I. Kelman, L. Liang, M. Lott, R. Lowe, Y. Luo, G. Mace, M. Maslin, M. Nilsson, T. Oreszczyn, S. Pye, T. Quinn, M. Svensdotter, S. Venevsky, K. Warner, B. Xu, J. Yang, Y. Yin, C. Yu, Q. Zhang, P. Gong, H. Montgomery, and A. Costello. 2015. "Health and climate change: policy responses to protect public health". The Lancet, vol. 386, no. 10006, pp. 1861-1914. Watts, N., W.N. Adger, S. Ayeb-Karlsson, Y. Bai, P. Byass, D. Campbell-Lendrum, T. Colbourn, P. Cox, M. Davies, M. Depledge, A. Depoux, P. Dominguez-Salas, P. Drummond, P. Ekins, A. Flahault, D. Grace, H. Graham, A. Haines, I. Hamilton, A. Johnson, I. Kelman, S. Kovats, L. Liang, M. Lott, R. Lowe, Y. Luo, G. Mace, M. Maslin, K. Morrissey, K. Murray, T. Neville, M. Nilsson, T. Oreszczyn, C. Parthemore, D. Pencheon, E. Robinson, S. SchuÌˆtte, J. Shumake-Guillemot, P. Vineis, P. Wilkinson, N. Wheeler, B. Xu, J. Yang, Y. Yin, C. Yu, P. Gong, H. Montgomery, and A. Costello. 2017. "The Lancet Countdown: tracking progress on health and climate change". The Lancet, vol. 389, no. 10074, pp. 1151-1164. Watts, N., M. Amann, N. Arnell, S. Ayeb-Karlsson, K. Belesova, H. Berry, T. Bouley, M. Boykoff, P. Byass, W. Cai, D. Campbell-Lendrum, J. Chambers, M. Daly, N. Dasandi, M. Davies, A. Depoux, P. Dominguez-Salas, P. Drummond, K.L. Ebi, P. Ekins, L.F. Montoya, H. Fischer, L. Georgeson, D. Grace, H. Graham, I. Hamilton, S. Hartinger, J. Hess, I. Kelman, G. Kiesewetter, T. Kjellstrom, D. Kniveton, B. Lemke, L. Liang, M. Lott, R. Lowe, M.O. Sewe, J. Martinez-Urtaza, M. Maslin, L. McAllister, S.J. Mikhaylov, J. Milner, M. Moradi-Lakeh, K. Morrissey, K. Murray, M. Nilsson, T. Neville, T. Oreszczyn, F. Owfi, O. Pearman, D. Pencheon, S. Pye, M. Rabbaniha, E. Robinson, J. RocklÃ¶v, O. Saxer, S. SchuÌˆtte, J.C Semenza, J. Shumake-Guillemot, R. Steinbach, M. Tabatabaei, J. Tomei, J. Trinanes, N. Wheeler, P. Wilkinson, P. Gong, H. Montgomery, and A. Costello. 2018. "The 2018 report of the Lancet Countdown on health and climate change: shaping the health of nations for centuries to come". The Lancet, vol. 392, no. 10163, pp. 2479-2514. Watts, N., M. Amann, S. Ayeb-Karlsson, K. Belesova, T. Bouley, M. Boykoff, P. Byass, W. Cai, D. Campbell-Lendrum, J. Chambers, P.M. Cox, M. Daly, N. Dasandi, M. Davies, M. Depledge, A. Depoux, P. Dominguez-Salas, P. Drummond, P. Ekins, A. Flahault, H. Frumkin, L. Georgeson, M. Ghanei, D. Grace, H. Graham, R. Grojsman, A. Haines, I. Hamilton, S. Hartinger, A. Johnson, I. Kelman, G. Kiesewetter, D. Kniveton, L. Liang, M. Lott, R. Lowe, G. Mace, M.O. Sewe, M. Maslin, S. Mikhaylov, J. Milner, A.M. Latifi, M. Moradi-Lakeh, K. Morrissey, K. Murray, T. Neville, M. Nilsson, T. Oreszczyn, F. Owfi, D. Pencheon, S. Pye, M. Rabbaniha, E. Robinson, J. RocklÃ¶v, S. SchÃ¼tte, J. Shumake-Guillemot, R. Steinbach, M. Tabatabaei, N. Wheeler, P. Wilkinson, P. Gong, H. Montgomery, A. Costello. 2018. "The Lancet Countdown on health and climate change: from 25 years of inaction to a global transformation for public health". The Lancet, vol. 391, no. 10120, pp. 581-630. Zangerl, K. and I. Kelman. 2015. "Climate change and child health - a review of 'National Adaptation Programmes of Action (NAPAs)'". Poster at the 33rd Jahrestagung der Arbeitsgemeinschaft TropenpÃ¤diatrie, Mainz, Germany, 6-8 February 2015. Zangerl, K. and I. Kelman. 2017. "Assessment of Child Health in National Adaptation Programmes of Action for Climate Change". Presentation at the World Congress Disaster and Emergency Medicine, Toronto, Ontario, 25-28 April 2017. 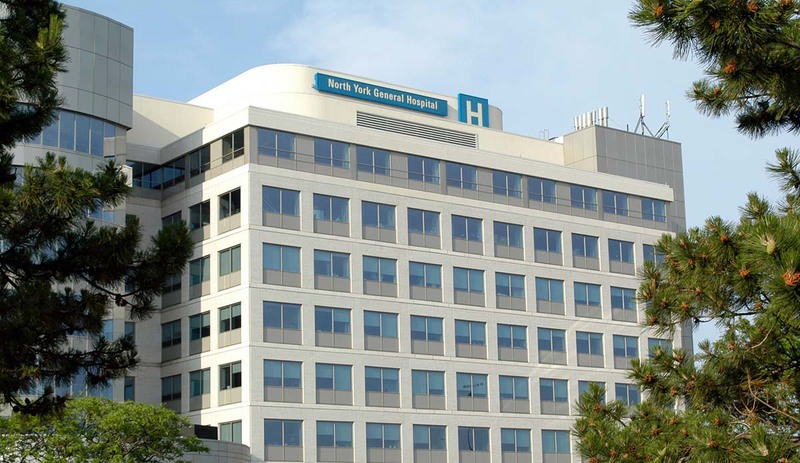 North York General Hospital, Toronto, Ontario Canada. See also the Island Vulnerability website. Island Vulnerability, Resilience, Risk, and Disasters. Abrahams, S. and I. Kelman. 2005. "Island Heritage, Vulnerability, and Resilience", p. 240 in Know Risk, Tudor Rose and the United Nations Secretariat for the International Strategy for Disaster Reduction. Baarsch, F. and I. Kelman. 2016. "Insurance mechanisms for tropical cyclones and droughts in Pacific Small Island Developing States (SIDS)". JÃ mbÃ¡: Journal of Disaster Risk Studies, vol. 8, no. 1, article 288. CICERO and UNEP/GRID-Arendal. 2008. Many Strong Voices: Outline for an assessment project design. CICERO Report 2008:05. CICERO (Center for International Climate and Environmental Research, Oslo), Oslo, Norway, full text (453 kb in PDF). Crump, J., G.K. Hovelsrud, J. Eamer, I. Kelman, and J. West. 2008. "Many Strong Voices: Arctic and Island Action on Climate Change". Poster at Arctic Change, QuÃ©bec City, Canada, 9-12 December 2008, abstract (13 kb in PDF) and full text (171 kb in PDF). Crump, J. and I. Kelman. 2009. "Many Strong Voices from Arctic and Island Peoples". Pp. 284-295 in UNESCO (ed. ), Climate Change and Arctic Sustainable Development, UNESCO, Paris, France. Crump, J. and I. Kelman. 2010. "Global Connections: Responding to Climate Change Challenges in the Arctic and Small Island Developing States". Presentation at International Polar Year Oslo Science Conference, Theme 4. Human dimensions of change: Health, society and resources, Oslo, Norway, 8-12 June 2010. Crump, J. and I. Kelman. 2012. "Many Strong Voices: Climate change and resilience in the Arctic and Small Island Developing States". Presentation at XXXII SCAR (Scientific Committee on Antarctic Research) and Open Science Conference, Portland, Oregon, U.S.A., 19 July 2012. Crump, J. and I. Kelman. 2013. "Many Strong Voices: Charismatic Megafauna, Climate Change and Resilience in the Arctic and Small Island Developing States". Presentation at the 19th Annual Environmental Sciences Symposium: Traditional Knowledge and Cultural Perspectives on the Environment, University of Guelph, Guelph, Ontario, Canada, 2 February 2013. Crump, J. and I. Kelman, A. Johl, and R. Bronen. 2012. "Many Strong Voices: Climate Change and Resilience in the Arctic and Small Island Developing States". Presentation at Environmental Studies Association of Canada Annual Conference, Waterloo, Ontario, Canada, 30 May - 1 June 2012. Curran, M.M., Y. Evers, R. Lawrence, I. Kelman, and T. Luthe. 2013. â€œClimate change and Arctic tourism in Svalbardâ€�. Presentation at the 33rd Annual Conference of the International Association For Impact Assessment, Calgary, Alberta, Canada, 13-16 May 2013. Dodds, R., K. Wright, and I. Kelman. 2019. "Islands and disaster capitalism: Is the focus on island vulnerabilities comprehensive enough?" Presentation at the 1st International Conference on Small Island States and Subnational Island Jurisdictions, Oranjestad, Aruba, 26-29 March 2019. Evers, Y., M.M. Curran, R. Lawrence, I. Kelman, T. Luthe, and S. TÃ¸rnblad. 2013. â€œAssessing cooperation in Arctic tourism on Svalbardâ€�. Presentation at the 33rd Annual Conference of the International Association For Impact Assessment, Calgary, Alberta, Canada, 13-16 May 2013. Foley, A. and I. Kelman. 2018. "EURO-CORDEX regional climate model simulation of precipitation on Scottish islands (1971-2000): Model performance and implications for decision-making in topographically complex regions". International Journal of Climatology, vol. 38, no. 2, pp. 1087-1095. Gaillard, JC, I. Kelman, and J. Mercer. 2013. "Climate Change in Oceania: New Attention, Old Ideas!" Presentation at Sustainable Development In Oceania, Towards A New Ethic? International Conference, Northern Province, New Caledonia, 24-26 April 2013. Germano, C., J. Crump, E. Wensing, and I. Kelman. 2014. "Portraits of Resilience: Our Common Humanity and Shared Futures". Presentation at the International Congress of Arctic Social Sciences (ICASS) VIII, University of Northern British Columbia, Prince George, British Columbia, Canada, 22-26 May 2014. Haynes, K., I. Kelman, and T. Mitchell. 2005. "Early Participatory Intervention for Catastrophe to Reduce Island Vulnerability (EPIC)". International Journal of Island Affairs, vol. 14, no. 2, pp. 56-59, full text (711 kb in PDF). Haynes, K., I. Kelman, and T. Mitchell. 2006. "Early Participatory Intervention for Catastrophe to Reduce Island Vulnerability". Poster at Symposium V "Risk Management" at Cities on Volcanoes 4, Quito, Ecuador, 23-27 January 2006, abstract (9 kb in PDF). Kaly, U., I. Kelman, R. Howorth, and C. Pratt. 2004. "The Intrigue of Vulnerability and the Psychology of Resilience". Wise Coastal Practices for Sustainable Human Development Forum, 29 January 2004. Karlsson, M. and I. Kelman. 2010. "Island Challenges: Participatory Processes for Dealing with Climate Change". LinQ, vol. 37, pp. 104-116. Kelman, I. 2004. "Responsibility to Pacific Island Risk Management?" RiskPost: The Newsletter of the New Zealand Society for Risk Management, issue 4, no. 2 (August), pp. 8-9, full text (10 kb in PDF). Kelman, I. 2005. "Some Outlying Effects of Cyclone Zoe", p. 237 in Know Risk, Tudor Rose and the United Nations Secretariat for the International Strategy for Disaster Reduction. Kelman, I. 2005. "The Most Remote Island in the World: But Not Without Risks", p. 239 in Know Risk, Tudor Rose and the United Nations Secretariat for the International Strategy for Disaster Reduction. Kelman, I. 2005. "Vulnerability, Heritage, and Sustainability for the Faroe Islands". Presentation at Learning Lessons from Cultural Heritage for Sustainable Island Development, London, U.K., 18 February 2005, abstract (37 kb in PDF). Kelman, I. 2006. "Climate Change and Islands: Scientists Serving Society?" ISISA Newsletter (International Small Islands Studies Association), vol. 6, no. 2, pp. 5-6, full text (9 kb in PDF). Kelman, I. 2007. "Climate Change and Islands: Are Scientists Serving Society?" UCAR Staff Notes Monthly, vol. 42, no. 2, pp. 4-5. Kelman, I. 2007. "Kiwi Conundrum? 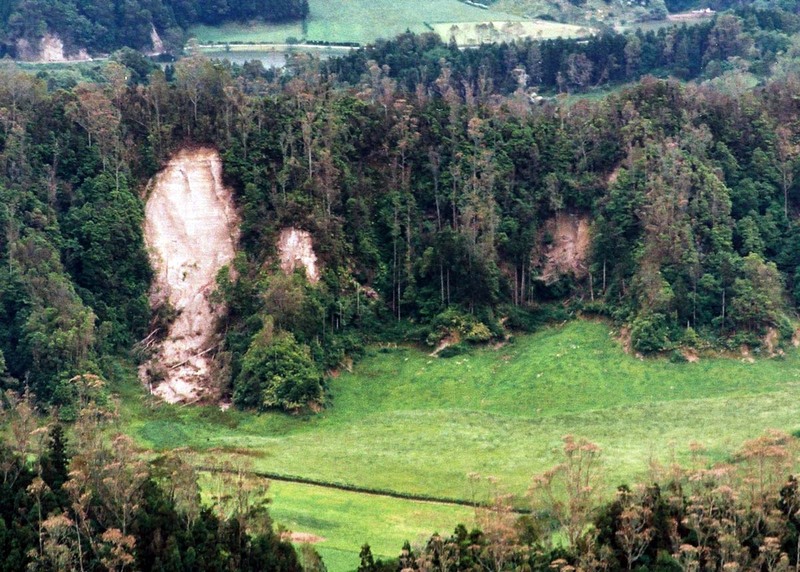 Nature and Natural Hazards in New Zealand". New Zealand Vacation, full text (12 kb in PDF). Kelman, I. 2007. "My Island Pathway to Disaster Research". Disaster and Social Crisis Research Network Electronic Newsletter, nos. 29-30 (January-June), p. 4, full text (9 kb in PDF). Kelman, I. 2008. "Island Identity and Global Change: Affecting the Meaning of 'Vulnerability' and 'Adaptation'?" Presentation at the 4th International Conference on Small Island Cultures, Nagu/Nauvo, Finland, 17-20 June 2008. Kelman, I. (translated by Silje Pileberg). 2008. "SmÃ¥ verdener i endring". Klima, no. 2, pp. 4-6, full text in Norwegian (507 kb in PDF). Kelman, I. 2009. "Innovation for ethical island livelihoods in Norway". 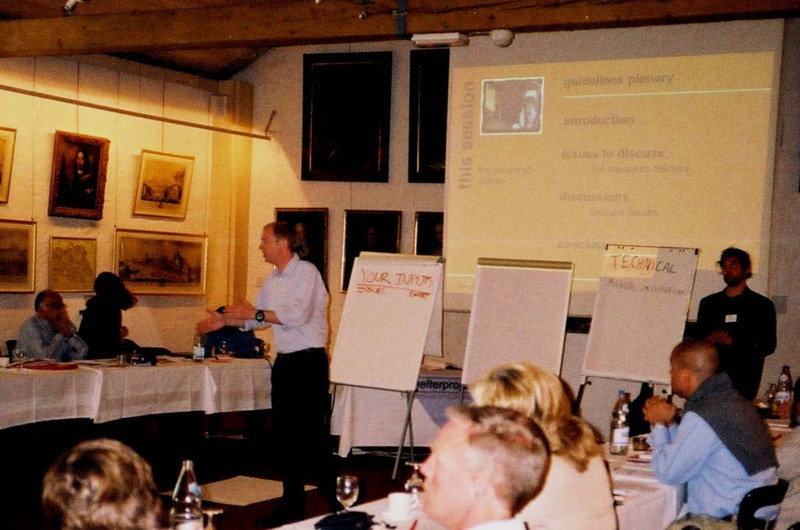 Presentation at the North Atlantic Forum, Bornholm, Denmark, 23-25 September 2009. Kelman, I. 2009. "Overcoming Island Vulnerability". Emergencies Bulletin, no. 1 (January-April), pp. 14-17, full text (173 kb in PDF). Kelman, I. 2010. "Book Review: Stormy Weather: The Challenge of Climate Change and Displacement, by David Corlett". Pacific Affairs, vol. 83, no. 2, pp. 427-428. Kelman, I. 2010. "Hearing local voices from Small Island Developing States for climate change". Local Environment, vol. 15, no. 7, pp. 605-619, abstract (8 kb in PDF). Kelman, I. 2010. "Review of Jon Barnett & John Campbell (2010) Climate Change and Small Island States: Power, Knowledge and the South Pacific". Island Studies Journal, vol. 5, no. 2, pp. 261-263. Kelman, I. 2010. "Review of Orrin H. Pilkey & Rob Young (2009) The Rising Sea". Island Studies Journal, vol. 5, no. 1, pp. 117-119. Kelman, I. 2011. "Bokanmeldelse: Viktig tema, men begrenset analyse". Klima, no. 4, p. 38, full text in Norwegian (1,089 kb in PDF). Kelman, I. 2011. "Dealing with Climate Change on Small Island Developing States". Practicing Anthropology, vol. 33, no. 1, pp. 28-32. Kelman, I. 2011. "Journal Review: Reducing Disaster Risks - Progress and Challenges in the Caribbean Region, 2011, Special issue of Environmental Hazards: Human and Policy Dimensions, vol. 10, no. 1, pp. 3-98". International Journal of Mass Emergencies and Disasters, vol. 29, no. 3, pp. 247-249. Kelman, I. 2011. 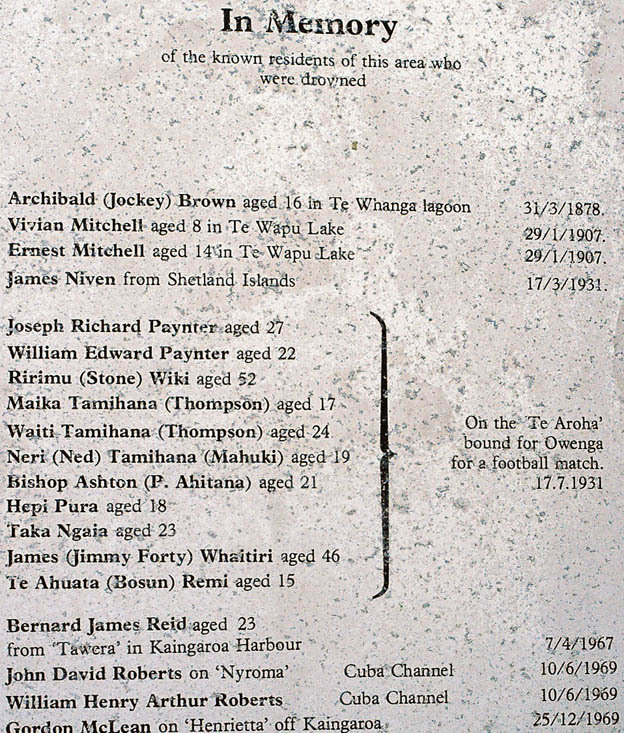 "Review of There Once was an Island: Te Henua e Nnoho, (2010) Movie directed by Briar March, On The Level Productions, New Zealand, 1 hour 20 minutes, www.thereoncewasanisland.com". Island Studies Journal, vol. 6, no. 1, pp. 108-110. Kelman, I. 2012. "How islands can help solve climate change". The Foreigner, 15 June 2012, full text (as a webpage). Kelman, I. 2012. "Norway islands in the sun". The Foreigner, 5 June 2012, full text (as a webpage). Kelman, I. 2012. "Review of Mark Schuller and Pablo Morales (Eds.) (2012) Tectonic Shifts: Haiti Since the Earthquake, Sterling VA, Kumarian Press, 271pp. ISBN: 978-1-56549-512-8. US$75 hbk, US$24.95 pbk, US$20.99 e-book". Island Studies Journal, vol 7, no. 2, pp. 273-275. Kelman, I. 2012. "Review: Extreme heritage management: The practices and policies of densely populated islands". Journal of Heritage Tourism, vol. 7, no. 3, pp. 279-280. Kelman, I. 2012. "SIDS and ICTs: Applications for Disaster Risk Reduction, Including Climate Change Adaptation". Presentation at ICTD: International conference on information and communication technologies and development, Atlanta, Georgia, U.S.A., but presented via Webinar from Oslo, Norway, 12 March 2012, session summary (184 kb in PDF). Kelman, I. 2013. "Bokanmeldelse: Grunnleggende om Ã¸yer". Klima, vol. 2013, no. 4, p. 38, full text in Norwegian (723 kb in PDF). Kelman, I. 2013. "No change from climate change: island vulnerability". Geography Directions, full text (as a webpage). Kelman, I. 2013. "Review of Lawrence R. Walker and Peter Bellingham (2011). Island environments in a changing world. Cambridge: Cambridge University Press, 324pp. ISBN: 978-0-521-73247-5. Â£31.99stg". Island Studies Journal, vol. 8, no. 1, pp. 205-206. Kelman, I. 2013. "Review of Michael B. Gerrard and Gregory E. Wannier (eds). (2013). Threatened island nations: Legal implications of rising seas and a changing climate. Cambridge, UK: Cambridge University Press, 639pp. ISBN: 978-1-107-02576-9. US$140". Island Studies Journal, vol. 8, no. 2, pp. 321-323. Kelman, I. 2014. "Asia-Pacific Islander Responses to Climate Change". Presentation at Closed-door Workshop on Adaptation to Climate Change: ASEAN and Comparative Experiences, National University of Singapore, Singapore, 17-18 July 2014. Kelman, I. 2014. "Invited comment on P. Rudiak-Gould 'Climate Change and Accusation: Global Warming and Local Blame in a Small Island State'", Current Anthropology, Vol. 55, No. 4 (August 2014), pp. 365-386. Kelman, I. 2014. "No change from climate change: vulnerability and small island developing states". The Geographical Journal, vol. 180, no. 2, pp. 120-129. Kelman, I. 2014. "Review of Lilian Yamamoto & Miguel Esteban (2014). Atoll island states and international law: Climate change displacement and sovereignty. New York: Springer. 307pp. ISBN: 978-3-642-38185-0. Â£72.". Island Studies Journal, vol. 9, no. 2, pp. 385-386. Kelman, I. 2014. "Review of Peter Rudiak-Gould (2013). Climate change and tradition in a small island state: The rising tide. Abingdon: Routledge. 226pp. ISBN: 978-0-415-83249-6. Â£80.00". Island Studies Journal, vol. 9, no. 1, pp. 167-169. Kelman, I. 2015. "Asia-Pacific Islander Responses to Climate Change". Chapter 1, pp. 3-28 in K.L. Koh, I. Kelman, R. Kibugi, and R.-L. Eisma Osorio (eds. ), Adaptation to Climate Change: ASEAN and Comparative Experiences, World Scientific, Singapore. Kelman, I. 2015. "Disaster Risk Governance for Pacific Island Communities". The Asia-Pacific Journal, vol. 13, no. 48, article 1 (December 14, 2015), pp. 1-19, full text (as a webpage). Kelman, I. 2015. "Insula does not mean insular". ISISA Newsletter (International Small Islands Studies Association), vol. 15, no. 3, p. 26-27, full text (545 kb in PDF). Kelman, I. 2015. "Our Islands of the Seas? Climate Change Rhetoric and Reality". ISISA Newsletter (International Small Islands Studies Association), vol. 14, no. 2, pp. 12-13, full text (415 kb in PDF); and a variation published as I. Kelman. 2015. "Islands and Climate Change: Rhetoric and Reality". MAHB: Millennium Alliance for Humanity & the Biosphere, 29 September 2015, full text (as a webpage). Republished as Kelman, I. 2017 (May 22). "Islands and climate change: rhetoric and reality", DRR Voices, full text (as a webpage)..
Kelman, I. 2015 (October 14). "Small islands caught between development and disaster", scidev.net, full text (as a webpage). Kelman, I. 2015. "Vulnerability of Small Islands to Climate Change". In Exploring Extremes, Willis Group, London. Pp. 78-79 and edited by Willis Resilience, full text (as a webpage). Kelman, I. 2015. "Why islands and disasters? Peripheries and centres for vulnerability and resilience". Presentation at the 1st Insula-CIERL International Colloquium, Funchal, Madeira, Portugal, 19-21 November 2015. Kelman, I. 2016. "Disaster risk governance for the Small Island Developing States (SIDS)". Presentation at Symposium on Disaster Risk Governance: Live to Tell the Good Practices and Challenges, Hong Kong Polytechnic University, Hong Kong, 14 October 2016. Kelman, I. 2016. "Governance of climate change adaptation on Small Island Developing States (SIDS) ". Chapter 20, pp. 355-370 in J. Knieling (ed. ), Climate Adaptation Governance in Cities and Regions: Theoretical Fundamentals and Practical Evidence. John Wiley & Sons, Chichester, U.K.
Kelman, I. 2016. "Many Strong Voices for the Arctic & tropics". The Norwegian American, 29 July 2016, full text (as a webpage). Kelman, I. 2016 (November). "Pacific Island Region". Pp. 32-35 in M.H. Glantz, A Stepping Stone Toward ENSO-Related DRR Lessons Learning: Lessons Learned Portal Project for ENRNs (El NiÃ±o Ready Nations). Executive Summary. Consortium for Capacity Building, University of Colorado, Boulder, Colorado, U.S.A.
Kelman, I. 2016. "Tempophilia for the future? Understanding temporal perspectives for displacement-related decision-making under climate change in low-lying island communities". Presentation at Anthropology, Weather and Climate Change, London, U.K., 27-29 May 2016. Kelman, I. 2017. "How can island communities deal with environmental hazards and hazard drivers, including climate change?" Environmental Conservation, vol. 44, no. 3, pp. 244-253. Kelman, I. 2017. "Remembering the Islands: Some responses to Shimaâ€™s special issue on Submergence". Shima, vol. 11, no. 1, pp. 1-5. Kelman, I. 2017. "Science shows climate change impact in the Pacific". Australian Journal of Emergency Management, vol. 32, no. 1, pp. 15-16. Kelman, I. 2018. "Islandness within climate change narratives of small island developing states (SIDS)". Island Studies Journal, vol. 13, no. 1, pp. 149-166. Kelman, I. 2018. "How can island communities deal with environmental hazards and hazard drivers, including climate change?" Presentation at the 7th International Conference on Environmental Future (ICEF7): Humans and Island Environments, Honolulu, Hawai'i, 16-20 April 2018. Kelman, I. 2019. "Islands of vulnerability and resilience: Manufactured stereotypes?" Area, in press. Kelman, I. 2018. "Megabytes of doom: Exploring disaster through island photography". Presentation at the 16th ISISA Islands of the World Conference 2018: The Changing Futures of Islands, Leeuwarden and Terschelling, The Netherlands, 10-14 June 2018. Kelman, I. and J. Crump. 2010. "Connecting research and practice for islanders dealing with climate change". Presentation at Islands of the World XI conference (International Small Islands Studies Association), Bornholm, Denmark, 23-26 August 2010. Kelman, I. and J. Crump. 2016. "Many Strong Voices for the Arctic and Tropical Islands". The Polar Connection, 16 June 2016, full text (as a webpage). Kelman, I., J. Crump, P. Haugneland, M. Karlsson, T. Kurvits, and E.U. Reed. 2011. "Many Strong Voices: Dealing with Change in the Arctic and on Small Island Developing States (SIDS)". NORGLOBAL dissemination seminar, 25 October 2011, VoksenÃ¥sen Hotel, Oslo, full text (474 kb in PDF). Kelman, I., J. Crump, T. Kurvits, and S. Mavrogenis. 2014 and 2015. "Many Strong Voices: Dealing with Change in the Arctic and on Small Island Developing States (SIDS)". Poster at the UCL IRDR (Institute for Risk and Disaster Reduction) Annual Conference, London, 18 June 2014 and 25 June 2015. Kelman, I. and JC Gaillard (eds.). 2009. "Islands of Risk, Islands of Hope". Shima: The International Journal of Research into Island Cultures, vol. 3, no. 1, pp. 1-99. Kelman, I., JC Gaillard, J. Mercer, and J. Lewis. 2013. â€œLearning from island histories and narratives to improve our disaster futureâ€�. Presentation at Cultures of Disasters, Oslo, Norway, 6-8 November 2013. Kelman, I., JC Gaillard, and J. Mercer. 2012. "Combining knowledge types to address climate change and other disaster risk reduction concerns". Presentation at Imperialism, Narrative and the Environment, Munich, Germany, 11-13 October 2012. Kelman, I., JC Gaillard, J. Mercer, K. Crowley, S. Marsh, and J. Morin. 2015. "Cultureâ€™s role in disaster risk reduction: combining knowledge systems on small island developing states (SIDS) ". Chapter 12, pp. 208-221 in F. KrÃ¼ger, G. Bankoff, T. Cannon, B. Orlowski, and E.L. Schipper (eds. ), Cultures and Disasters: Understanding Cultural Framings in Disaster Risk Reduction, Routledge, Abingdon, U.K.
Kelman, I., JC Gaillard, J. Mercer, J. Lewis, and A. Carrigan. 2015. "Island Vulnerability and Resilience: Combining Knowledges for Disaster Risk Reduction Including Climate Change Adaptation". Chapter 7, pp. 162-185 in E. Deloughrey, J. Didur, and A. Carrigan (eds. ), Global Ecologies and the Environmental Humanities: Postcolonial Approaches. Routledge, Abingdon, U.K.
Kelman, I. and S. Khan. 2013. "Progressive climate change and disasters: island perspectives". Natural Hazards, vol. 69, no. 1, pp. 1131-1136. Kelman, I. and H. Lazrus. 2007. "Vulnerability and Resilience: All Politics is Local". Presentation at the Annual Hazards Research and Applications Workshop, Boulder, Colorado, U.S.A., 8-11 July 2007, abstract (10 kb in PDF). Kelman, I. and J. Lewis. 2005. "Ecology and Vulnerability: Islands and Sustainable Risk Management". International Journal of Island Affairs, vol. 14, no. 2, pp. 4-12, full text (1,947 kb in PDF). Kelman, I., J. Lewis, JC Gaillard, and J. Mercer. 2010. "Participatory action research for dealing with disasters on Small Island Developing States". Presentation at IGU Commission on Islands â€“ 2010 Conference, Finding Their Place: Islands in Social Theory, Ven, Sweden, 27-30 August 2010. Kelman, I., J. Lewis, JC Gaillard, and J. Mercer. 2011. "Participatory action research for dealing with disasters on islands". Island Studies Journal, vol. 6, no. 1, pp. 59-86. Kelman, I., J. Lewis, JC Gaillard, and J. Mercer. 2012. "Island contributions to disaster research". Presentation at Shrinking, Sinking, Resurfacing: Small Islands and Natural Hazards in Historical and Current Perspective, Munich, Germany, 22-24 November 2012. Kelman, I., S. McNeeley, and H. Lazrus. 2007. "Climate Change and Islands: The Media Serving Society?" ISISA Newsletter (International Small Islands Studies Association), vol. 7, no. 1, p. 4, full text (11 kb in PDF). Kelman, I., J. Mercer, and M. Karlsson. 2014. "Many Strong Voices for climate change education: examples from Belize and Timor-Leste". Chapter 7, pp. 97-106 in A. LÃ³pez-Carresi, M. Fordham, B. Wisner, I. Kelman, and JC Gaillard (eds. ), Disaster Management: International Lessons in Risk Reduction, Response and Recovery, Routledge, Abingdon, U.K.
Kelman, I., J. Mercer, and J. West. 2009. "Combining different knowledges: community-based climate change adaptation in small island developing states". Participatory Learning and Action Notes, no. 60, pp. 41-53, full text (211 kb in PDF). Kelman, I., and J.E. Randall. 2018. "Resilience and sustainability". Chapter 17, pp. 353-367 in G. Baldacchino (ed. ), The International Handbook of Island Studies: A World of Islands, Routledge, Abingdon, U.K.
Kelman, I., J. Lewis, JC Gaillard, and J. Mercer. 2015. "Island contributions to disaster research". Global Environment, vol. 8, pp. 16-37. Kelman, I. and J. West. 2009. "Climate Change and Small Island Developing States: A Critical Review". Ecological and Environmental Anthropology, vol. 5, no. 1, pp. 1-16, full text (162 kb in PDF). Kelman, I., J. West, L.O. NÃ¦ss, and G.K. Hovelsrud. 2008. "Many Strong Voices against the climate change crisis". Disaster and Social Crisis Research Network Electronic Newsletter, no. 33 (January-March), pp. 4-5, full text (15 kb in PDF). Kelman, I., J. West, L.O. NÃ¦ss, and G.K. Hovelsrud. 2008. "Pacific Islanders join 'Many Strong Voices' against climate change". Oceanic Waves (Quarterly newsletter published by START-Oceania Secretariat), vol. 10, no. 1, pp. 7, full text (142 kb in PDF). Le Masson, V. and I. Kelman. 2010. "Entendre les prÃ©occupations des populations des petits Ã©tats insulaires en dÃ©veloppement dans l'adaptation au changement climatique". VertigO, vol. 10, no. 3, full text (as a webpage). Le Masson, V. and I. Kelman. 2011. â€œDisaster risk reduction on non-sovereign islands: La RÃ©union and Mayotte, Franceâ€�. Natural Hazards, vol. 56, no. 1, pp. 251-273, abstract (8 kb in PDF). Luthe, T., E.L. Berlow, Y. Evers, and I. Kelman. 2010. "Scenario Building in Spitsbergen, Arctic". Presentation at the International Association for Impact Assessment, Climate Change and Impact Assessment Special Symposium, Aalborg, Denmark, 25-26 October 2010. Luthe, T., I. Kelman, E.L. Berlow, R. Lawrence, Y. Evers, M.M. Curran, R. Wyss, and S. TÃ¸rnblad. 2013. "Identifying intervention hubs with systemic impact for sustainable development of Arctic systems". Presentation at the Arctic Science Summit Week 2013, KrakÃ³w, Poland, 13-19 April 2013. Luthe, T., I. Kelman, M.M. Curran, Y. Evers, R. Lawrence, E.L. Berlow, R. Wyss, and S. TÃ¸rnblad. 2013. "Resilience of the Longyearbyen community to climate change and implications for other Arctic societies". Presentation at the Arctic Science Summit Week 2013, KrakÃ³w, Poland, 13-19 April 2013. Many Strong Voices Team. 2008 and 2009. "Many Strong Voices for Tackling Climate Change" (or variation of that title). ISISA Newsletter (International Small Islands Studies Association), vol. 8, no. 1, pp. 4-5, full text (126 kb in PDF); The Sandwatcher, vol. 3, no. 2, December 2008, p. 14, full text (125 kb in PDF); Ogmius, no. 24, Winter/Spring 2009, p. 9, full text (231 kb in PDF); Research Update: Joint Centre for Disaster Research, GNS Science - Massey University, School of Psychology, March 2009, p. 5, full text (85 kb in PDF); Northern Notes, issue 30, Spring/Summer 2009, pp. 36-37, full text (345 kb in PDF); and HazNet: Canadian Risk & Hazards Network (Knowledge and Practice), vol. 1, no. 1, pp. 19-20, full text (46 kb in PDF). Mavrogenis, S. and I. Kelman. 2012. "Community-based Adaptation tools in SIDS: Field work experience from Tonga". Poster at Planet Under Pressure, London, U.K., 26-29 March 2012, full text (1,516 kb in PDF). Mavrogenis, S. and I. Kelman. 2013. "Lessons from local initiatives on ecosystem-based climate change work in Tonga". Chapter 8, pp. 191-218 in F.G. Renaud, K. Sudmeier-Rieux, and M. Estrella (eds. ), The Role of Ecosystems in Disaster Risk Reduction, United Nations University Press, Tokyo, Japan. Mavrogenis, S., I. Kelman, J. Mercer, and T. Kurvits. 2014. "Comparing tools and methodologies for climate change adaptation in Small Island Developing States [SIDS]". Presentation at ADAPTtoCLIMATE, Nicosia, Cyprus, 27-28 March 2014. Mercer, J., D. Dominey-Howes, I. Kelman, and K. Lloyd. 2007. "The Potential for Combining Indigenous and Western Knowledge in Reducing Vulnerability to Environmental Hazards in Small Island Developing States". Environmental Hazards, vol. 7, no. 4, pp. 245-256, abstract (9 kb in PDF). Mercer, J. and I. Kelman. 2007. "Combining indigenous and scientific knowledge for PNG disaster risk reduction". ISISA Newsletter (International Small Islands Studies Association), vol. 7, no. 2, p. 6, full text (9 kb in PDF). Mercer, J. and I. Kelman. 2008. "Living with Floods in Singas, Papua New Guinea". Chapter on Papua New Guinea, pp. 46-51 in R. Shaw, N. Uy, and J. Baumwoll (eds. ), Indigenous Knowledge for Disaster Risk Reduction: Good Practices and Lessons Learned from Experiences in the Asia-Pacific Region, United Nations International Strategy for Disaster Risk Reduction, Bangkok, Thailand, full text (614 kb in PDF). Mercer, J. and I. Kelman. 2009. "Disaster Risk Reduction in Papua New Guinea: Integrating Indigenous and Scientific Knowledge". Chapter 21, pp. 293-311 in R. Shaw, A. Sharma, and Y. Takeuchi (eds. ), Indigenous Knowledge and Disaster Risk Reduction: From Practice to Policy, Nova Publishers, Hauppauge, New York, U.S.A.
Mercer, J. and I. Kelman. 2010. "Living alongside a volcano in Baliau, Papua New Guinea". Disaster Prevention and Management, vol. 9, no. 4, pp. 412-422, full text (166 kb in PDF, with kind permission of the publisher). Mercer, J., I. Kelman, F. do Rosario, A. de Deus de Jesus Lima, A. da Silva, A.M. Beloff, and A. McClean. 2014. "Nation-building policies in Timor-Leste: Disaster Risk Reduction Including Climate Change Adaptation". Disasters, vol. 38, no. 4, pp. 690-718. Mercer, J., I. Kelman, K. Lloyd, and S. Suchet. 2008. "Reflections on Use of Participatory Research for Disaster Risk Reduction". Area, vol. 40, no. 2, pp. 172-183, abstract (7 kb in PDF). Mercer, J., I. Kelman, S. Suchet-Pearson, and K. Lloyd. 2009. "Integrating indigenous and scientific knowledge bases for disaster risk reduction in Papua New Guinea". Geografiska Annaler: Series B, Human Geography, vol. 91, no. 2, pp. 157-183, abstract (7 kb in PDF). Mercer, J., I. Kelman, L. Taranis, and S. Suchet. 2010. "Framework for Integrating Indigenous and Scientific Knowledge for Disaster Risk Reduction". Disasters, vol. 34, no. 1, pp. 214-239, abstract (8 kb in PDF). Mercer, J., T. Kurvits, I. Kelman, and S. Mavrogenis. 2014. "Ecosystem-Based Adaptation for Food Security in the AIMS SIDS: Integrating External and Local Knowledge". Sustainability, vol. 6, no. 9, pp. 5566-5597. Moncada, S., L.P. Briguglio, H. Bambrick, and I. Kelman. 2018. "Climate Change and Development in Small Island Developing States". International Journal of Climate Change Strategies and Management, vol. 10, no. 2, pp. 214-339. Rauken, T. and I. Kelman. 2010. "The Svalbard Response to a Changing Climate". Presentation at the Association of American Geographers Annual Meeting, Washington, D.C., U.S.A., 14-18 April 2010. The sea builds islander resilience, but is also involved in many island disasters. Chatham Islands, New Zealand. Baker, M., I. Kelman, and L. Stanbury. 2004. "Cultural and creative industries". Wise Coastal Practices for Sustainable Human Development Forum, 24 November 2004. Baldacchino, G. and I. Kelman. 2014. "Critiquing the pursuit of island sustainability: Blue and Green, with hardly a colour in between". Shima: The International Journal on Research into Island Cultures, vol. 8, no. 2, pp. 1-21. GrydehÃ¸j, A. and I. Kelman. 2017. "The Eco-Island Trap: Climate Change Mitigation and Conspicuous Sustainability". Area, vol. 49, no. 1, pp. 106-113. GrydehÃ¸j, A. and I. Kelman. 2016. "Island smart eco-cities: Innovation, secessionary enclaves, and the selling of sustainability". Urban Island Studies, vol. 2, pp. 1-24. GrydehÃ¸j, A., X.B. Pinya, G. Cooke, N. DoratlÄ±, A. Elewa, I. Kelman, J. Pugh, L. Schick, and R. Swaminathan. 2015. "Returning from the horizon: introducing Urban Island Studies". Urban Island Studies, vol. 1, no. 1, pp. 1-19. James, A., I. Kelman, T. Tebano, and M. Skinner. 2004. "Principles for Island Development: Ownership, Identity and Honesty". Small Islands Voice Global Forum, 17 February 2004. Kelman, I. 2003. "The Intrigue of Islands - What are They?" Views (U.K. National Trust), issue 38, Summer, pp. 70-72, full text (353 kb in PDF). Kelman, I. 2004. "Island Affairs". Network Newsletter and ENSO Signal, vol. 19, no. 1, 1 January to 31 March 2004, p. 4 and Fragilecologies, 4 February 2004, full text (as a webpage). Kelman, I. 2005. "Unique Island Livelihoods". Poster at An Overview of Canadian Rural Research, Twillingate, Newfoundland, Canada, 12 October 2005, abstract (9 kb in PDF) and updates (as a webpage). Kelman, I. 2006. "Island Affairs: Integrating Vulnerability into Sustainability for Isolated Locations". Poster at the Annual Hazards Research and Applications Workshop, Boulder, Colorado, U.S.A., 9-12 July 2006, abstract (59 kb in PDF), full text (293 kb in PDF), and updates (as a webpage). Kelman, I. 2006. "Letter to the Editor". International Journal of Mass Emergencies and Disasters, vol. 24, no. 1, pp. 175-177, full text (223 kb in PDF). Kelman, I. 2007. "Island Affairs". A Glantz @ Climate, Water, and Weather Affairs, April, p. 12, full text (97 kb in PDF) and updates (as a webpage). Kelman, I. 2007. "Sustainable Livelihoods from Natural Heritage on Islands". Island Studies Journal, vol. 2, no. 1, pp. 101-114, with updates (as a webpage). Kelman, I. (ed.). 2007. "The island advantage: Practices for prospering in isolation". id21 insights, no. 70 (November), pp. 1-6, full text (466 kb in PDF). Includes I. Kelman's editorial and box on "Island power: Pooling technical and political resources". Kelman, I. 2011. "Book Review: Peter Rudiak-Gould (2009) Surviving Paradise: One Year on a Disappearing Island, New York, Union Square Press". Island Studies Journal, vol. 6, no. 2, pp. 263-265. Kelman, I. 2011. "Sustainable Livelihoods on SIDS". Zwazo: Seychelles conservation magazine, no. 23, p. 29, full text (783 kb in PDF). Kelman, I. 2012. "Islands of the World XII Conference 2012". ISISA Newsletter (International Small Islands Studies Association), vol. 10, no. 1, pp. 3-4, full text (352 kb in PDF). Kelman, I. 2012. "To the Islands!" ISISA Newsletter (International Small Islands Studies Association), vol. 10, no. 2, pp. 7-8, full text (472 kb in PDF). Kelman, I. 2013. "A Dynamic Island for an Island Dynamics Conference". ISISA Newsletter (International Small Islands Studies Association), vol. 11, no. 1, pp. 13-14, full text (325 kb in PDF). Kelman, I. 2013. "A Taiwanese heart for island studies". ISISA Newsletter (International Small Islands Studies Association), vol. 12, no. 2, pp. 4-5, full text (344 kb in PDF). Kelman, I. 2013. "Islander Action: Local Responses to Global Issues". Presentation at the IGU Commission on Islands - 2013 Conference, Island Development Local Economy, Culture, Innovation and Sustainability, Penghu, Taiwan, 1-5 October 2013. Kelman, I. 2013. "Norway's Svalbard and climate change solutions". The Foreigner, 1 February 2013, full text (as a webpage). Kelman, I. 2014. "Island Cities and Urban Archipelagos". ISISA Newsletter (International Small Islands Studies Association), vol. 13, no. 2, pp. 9-10, full text (605 kb in PDF). Kelman, I. 2014. "Norway and Brazil face similar challenges". The Foreigner, 13 July 2014, full text (as a webpage). Kelman, I. 2014. "The UK: An island of the mind?" ISISA Newsletter (International Small Islands Studies Association), vol. 13, no. 1, pp. 9-11, full text (417 kb in PDF). Kelman, I. 2014. "Thinking of Norway's islands". The Foreigner, 27 October 2014, full text (as a webpage). Kelman, I. 2014. "Wasting islands? The throwaway island society." Presentation at the International Workshop on Island Challenges 2014 (IWIC '14): Trash into Treasure Islands, Samos, Greece, but presented via skype from Dorset, Ontario, 1 October 2014. Kelman, I. 2016. "Island Cities and Urban Archipelagos 2016: Hong Kong". ISISA Newsletter (International Small Islands Studies Association), vol. 16, no. 1, pp. 11-13, full text (563 kb in PDF). Kelman, I. 2017. "Lost for words? Island lessons on sustainable development terminology". Presentation at the 15th Islands of the World conference (International Small Islands Studies Association), Kangaroo Island, Australia, 2-7 July 2017. Kelman, I. 2017. "Profiles of Norwegian science: What connects TromsÃ¸ and Belize?" The Norwegian American, 27 January 2017, full text (as a webpage). Kelman, I. 2018. "Profiles of Norwegian science: Studying the economy of the island life". The Norwegian American, 19 February 2018, full text (as a webpage). Kelman, I. 2017. "Rooby, Rooby Roo" ISISA Newsletter (International Small Islands Studies Association), vol. 18, no. 1, p. 10, full text (852 kb in PDF). Kelman, I. 2017. "Tempophilia forever: sustainable island futures under climate change". Presentation at the 15th Islands of the World conference (International Small Islands Studies Association), Kangaroo Island, Australia, 2-7 July 2017. Kelman, I. 2018. "Challenging the Island Icon Culture in Sustainable Development". Presentation at the 14th International Conference on Small Island Cultures: New Directions in Island Studies, Caen and Tatihou, France, 15-18 June 2018. Kelman, I. 2019. "Island Genres, Genre Islands: conceptualisation and representation in popular fiction, by Ralph Crane and Lisa Fletcher, London and New York, Rowman and Littlefield, 2017, 224 pp., $126.00 (hardback), ISBN 978-1-78348-205-4, $32.95 (ebook), ISBN 978-1-78348-207-8". Social & Cultural Geography, vol. 20, no. 1, pp. 133-134. Kelman, I. 2018. "The Islands Of". ISISA Newsletter (International Small Islands Studies Association), vol. 20, no. 1, p. 23, full text (142 kb in PDF). Kelman, I. 2018. "Unique island livelihoods". Presentation at Economics and Development in Microstates, Islands, and the Arctic, Nuuk, Greenland, 30 November to 1 December 2018. Kelman, I. 2018. "Profiles of Norwegian science: What makes somewhere an island?" The Norwegian American, 1 November 2018, full text (as a webpage). Kelman, I. and G. Baldacchino (eds.). 2016. Routledge Major Works Series: Island Studies. Routledge, Abingdon, U.K.
Kelman, I., T.R. Burns, and N. Machado des Johansson. 2015. "Islander innovation: A research and action agenda on local responses to global issues". Journal of Marine and Island Cultures, vol. 4, no. 1, pp. 34-41, full text (as a webpage). Kelman, I. JC Gaillard, and J. Mercer. 2012. "Learning from islands' disaster history for a better development future under climate change". Presentation at Travelling in Time: Islands of the Past, Islands of the Future: International Small Islands Cultures Conference, Sydney, Nova Scotia, Canada, 7-9 June 2012. Kelman, I., A. GrydehÃ¸j, and C. Barrow. 2015. "Island Urbanism in the Anthropocene: Do Island Cities Undermine Island Studies?" Presentation at Geographies of the Anthropocene: RGS-IBG Annual International Conference 2015, Exeter, U.K., 1-4 September 2015. Kelman, I., M. Karlsson, and E. Mclean. 2012. "Food security in Belize and the Dominican Republic under globalisation and climate change". Presentation at Islands of the World XII Conference, Tortola, British Virgin Islands, 29 May - 1 June 2012. Kelman, I., J.D. Linnell, J. Thomassen, A. Follestad, and T. Risan. 2017. "Tourism livelihoods in SmÃ¸la, Norway". Journal of Marine and Island Cultures, vol. 6, no. 1, pp. 1-18. Kelman, I., T. Rauken, and J.K.S. Jacobsen. 2009. "Branding islandness for tourism: Perspectives from northern Norwegian islands". Presentation at the 18th Nordic Symposium in Tourism and Hospitality Research: Tourism and Hospitality - the Nordic Ways, 22-25 October 2009, University of Southern Denmark, Esbjerg, Denmark, abstract (11 kb in PDF). Kelman, I. and C.M. Shreve. 2015. "Dark Entrepreneurship in Small Island States and Territories". Chapter 2, pp. 31-47, in G. Baldacchino (ed. ), Entrepreneurship in Small Island States and Territories, Edward Elgar, Cheltenham, U.K.
Kelman, I. and H. Upadhyay. 2012. "Comparing Lakshadweep and the Maldives". ISISA Newsletter (International Small Islands Studies Association), vol. 10, no. 2, pp. 9-10, full text (472 kb in PDF). Mezzana, D., A. Lorenz, and I. Kelman. 2012. "Islands and Islandness in Rock Music Lyrics". Island Studies Journal, vol. 7, no. 1, pp. 69-98. Mitchell, D., R. Conrich, and I. Kelman. 2015. "A Corrupting Independence â€“ Short-term and Long-term Political Ambitions in Anguilla". Presentation at Indigenous Resources: Decolonization and Development, Nuuk, Greenland, 30 September - 4 October 2015. Thomassen, J., J. Linnell, A. Follestad, P.A. Aarrestad, C. NÃ¦ss, B. Skar, K. Larsen, K. Harvold, and I. Kelman. 2009. FrÃ¸yas framtid formes nÃ¥: Rapport fra scenarioutviklingsseminar. NINA Rapport 482, Norwegian Institute for Nature Research, Trondheim, Norway. Thomassen, J., J. Linnell, B. Skar, T. Risan, A. Follestad, P.A. Aarrestad, G. JerpÃ¥sen, K. Harvold, C. Naess, K. Larsen, I. Kelman, I.E. Bruteig, and K. Fageraas. 2011. Ã˜yfolkets fortellinger: 2025 - scenarioer fra SmÃ¸la, FrÃ¸ya og Vega. NINA Rapport 653, Norwegian Institute for Nature Research, Trondheim, Norway. 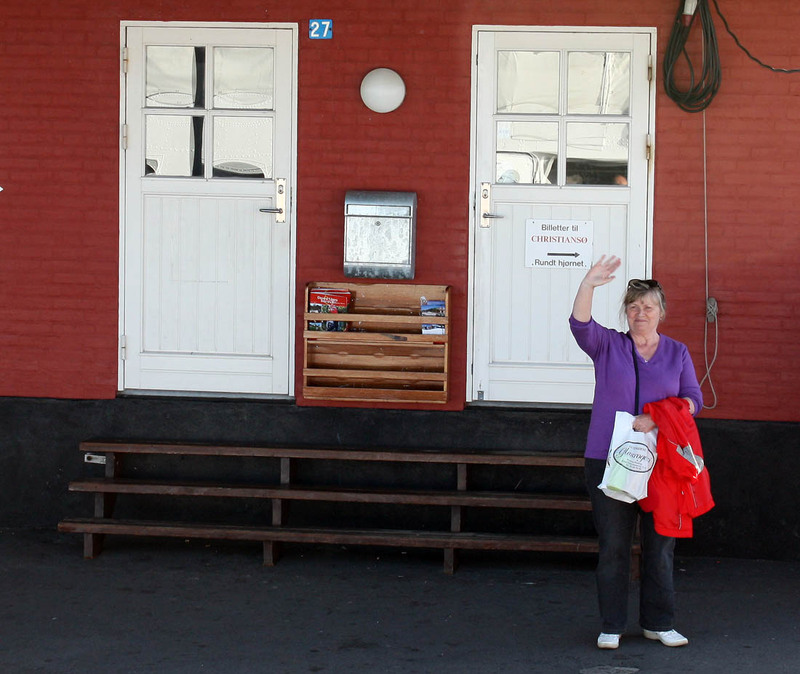 Greeting the ChristiansÃ¸ ferry at Gudhjem, Bornholm. Ferries, meeting them, and waving goodbye are a part of island people and islandness. Crump, J., A. Johl, and I. Kelman. 2011. "Moving the Most Vulnerable: Climate Change, Human Rights and Forced Relocation in the Arctic and Small Island Developing States". The Seventh International Congress of Arctic Social Sciences: Circumpolar Perspectives in Global Dialogue: Social Sciences beyond the International Polar Year, Akureyri, Iceland, 22-26 June 2011. Kelman, I. 2008. "Island Evacuation". Forced Migration Review, issue 31 (October 2008), pp. 20-21. Kelman, I. 2013. "Climate induced migration from Small Island Developing States: Decision-making actions and conflict reduction". Presentation at the Hamburg Conference: Actions for Climate-Induced Migration, Hamburg, Germany, 16-18 July 2013. Kelman, I. 2013. "Contributions from SIDS for researching climate change, migration, and urbanism". Presentation at Climate Change, Migration and the Urban Environment: Policy, Governance, Theory, Athens, Greece, 26 April 2013. Kelman, I. 2015. "Difficult decisions: Migration from Small Island Developing States under climate change". Earth's Future, vol. 3, no. 4, pp. 133-142. Kelman, I. 2015. "Migration is not all about climate change". The Foreigner, 14 July 2015, full text (as a webpage). Kelman, I. 2015. "Reflection: Ilan Kelman on the Human Migration and the Environment: Futures, Politics, Invention conference". UKCCMC (United Kingdom Climate Change and Migration Coalition) Blog, full text (as a webpage). Kelman, I. 2016. "Climate change and migration from low-lying islands". Presentation at Conceptualising Islands in History: An Early Career and Postgraduate Workshop, Leicester, U.K., 23 February 2016. Kelman, I. 2016. "Islanders, climate change and migration: Rhetoric and reality". Presentation at 5th Anatomy of Islands: From an Island Manifesto towards an International Centre for Island Life and Culture, Vis, Croatia, 15-18 September 2016. Kelman, I. 2016. "Voices from small island developing states (SIDS) on decision-making processes for migration linked to climate change". Presentation at Anthropology, Weather and Climate Change, London, U.K., 27-29 May 2016. Kelman, I. 2017. "How do islanders think about becoming climate migrants?" AlertNet, 18 August 2017, full text (as a webpage) and republished by Zilient, full text (as a webpage). Kelman, I. 2018. "Migration and climate change: A humanitarian concern?". Presentation at World Conference on Humanitarian Studies, The Hague, Netherlands, 27-29 August 2018. Kelman, I. 2018. "Rhetoric and reality of islander migration linked to climate change". Presentation at the 16th ISISA Islands of the World Conference 2018: The Changing Futures of Islands, Leeuwarden and Terschelling, The Netherlands, 10-14 June 2018. Kelman, I. and C. Barrow. 2014. "Climate change and migration: A SIDS city perspective". Presentation at Island Cities and Urban Archipelagos, Copenhagen, Denmark, 20-25 October 2014. Kelman, I. and JC Gaillard. 2016. "Socially constructing migration risk: Comparing volcanoes and climate change". Presentation at Cities on Volcanoes 9, Puerto Varas, Chile, 21-25 November 2016. Kelman, I., JC Gaillard, J. Lewis, and J. Mercer. 2013. "Combining Knowledge Types on SIDS for Acting on Climate-Induced Migration". Presentation at Knowledge-Creation and Capacity-Building for Actions on Climate-Induced Migration, Hamburg, Germany, 15-16 July 2013. Kelman, I. and S. Khan. 2012. "Tracking a moving target of migration: island perspectives". Disaster Prevention and Management, vol. 21, no. 5, pp. 634-639. Kelman, I. and M.W. NÃ¦ss. 2013. Climate Change and Displacement for Indigenous Communities in Arctic Scandinavia. Brookings Institution, Washington, D.C.
Kelman, I. and M.W. NÃ¦ss. 2013. â€œMigration Implications of Resource Extraction for Indigenous Scandinaviansâ€�. Presentation at Arctic Indigenous Peoples, Displacement, and Climate Change: Tracing the Connections, Washington, D.C., U.S.A., 30 January 2013, but given by pre-recorded PowerPoint. Kelman, I. and M.W. NÃ¦ss. 2019. "Climate Change and Migration for Scandinavian Saami: A Review of Possible Impacts". Climate, vol. 7, no. 4, article 47. Kelman, I, J. Orlowska, H. Upadhyay, R. Stojanov, C. Webersik, A.C. Simonelli, D. ProchÃ¡zka, and D. NÄ›mec. 2019. "Does climate change influence peopleâ€™s migration decisions in Maldives?" Climatic Change, vol. 153, no. 1, pp. 285-299. Kelman, I., R. Stojanov, S. Khan, O.A. Gila, B. DuÅ¾Ã­, and D. Vikhrov. 2015. "Viewpoint paper. Islander mobilities: any change from climate change?" International Journal of Global Warming, vol. 8, no. 4, pp. 584-602. Kelman, I. and H. Upadhyay. 2013. "Project Announcement: Disasters and Migration: Comparing Lakshadweep and The Maldives (2012-2015)". Disaster, Conflict, and Social Crisis Research Network Newsletter, vol. 14, no. 49, pp. 5-6, full text (449 kb in PDF). Kelman, I. and H. Upadhyay. 2015. "Conceptualising and Contextualising Climate Change and Migration for Low-lying Islands". Presentation at Human Migration and the Environment: Futures, Politics, Invention, Durham University, Durham, U.K., 28 June - 1 July 2015. Kelman, I. and H. Upadhyay. 2015. "Perceptions and understandings of climate change and migration: Conceptualising and contextualising for Lakshadweep and the Maldives". Presentation at the 12th International Conference on Information Systems for Crisis Response and Management: EU Project Symposium Proceedings, Kristiansand, Norway, 24-27 May 2015. Kelman, I. H. Upadhyay, A.C. Simonelli, A. Arnall, D. Mohan, Lingaraj G J, S. Nair, and C. Webersik. 2017. "Here and Now: Perceptions of Indian Ocean Islanders on the Climate Change and Migration Nexus". Geografiska Annaler: Series B, Human Geography, vol. 99, no. 3, pp. 284-303. Kelman, I., H. Upadhyay, A.C. Simonelli, GJ Lingaraj, U. Kothari, A. Arnall, K.S. Nair, and D. Mohan. 2014. "Islands, mobilities, and identities: Comparing Lakshadweep and the Maldives". Presentation at the International Small Islands Conference, Fernando de Noronha Archipelago, Brazil, 4-8 June 2014. Lawson, C. and I. Kelman. 2008. "Slow Migration Due to Environmental Contamination: The Making of an Oklahoma Ghost Town". Presentation at the Society for Applied Anthropology, 68th Annual Meeting, Memphis, Tennessee, 25-29 March 2008, abstract (7 kb in PDF). Stojanov, R., B. DuÅ¾Ã­, and I. Kelman. 2015. "Local Experts' Perceptions of Climate Change and Migration in Bangladesh". Chapter 12, pp. 213-229 in B. Mallick and B. Etzold (eds. ), Environment, Migration and Adaptation â€“ Evidence and Politics of Climate Change in Bangladesh, AHDPH (AH Development Publishing House), Dhaka, Bangladesh. Stojanov, R., B. DuÅ¾Ã­, I. Kelman, D. NÄ›mec, and D. ProchÃ¡zka. 2016. "Household Adaptation Strategies to Climate Extremes Impacts and Population Dynamics: Case Study from the Czech Republic". Chapter 5, pp. 87-103 in A. Milan, B. Schraven, K. Warner, and N. Cascone (eds. ), Migration, Risk Management and Climate Change: Evidence and Policy Responses, Springer, Switzerland. Stojanov, R., B. DuÅ¾Ã­, I. Kelman, D. NÄ›mec, and D. ProchÃ¡zka. 2017. "Local Perceptions of Climate Change Impacts and Migration Patterns in MalÃ©, Maldives". The Geographical Journal, vol. 183, no. 4, pp. 370-385. Stojanov, R., B. DuÅ¾Ã­, I. Kelman, and D. Vikhrov. 2013. "Climate Extremes and Population Movement in the Maldives: Local and Local Expert Views". Presentation at Climate Change and Migration: Knowledge, Law and Policy, and Theory, Naples, Italy, 30 September 2013. Stojanov, R., B. DuÅ¾Ã­, I. Kelman, D. Vikhrov, and J. Kynicky. 2013. "Climate extremes impacts and population in South Asia: The local experts' knowledge and perception". Presentation at Migrants in a World of Environmental Transformations, Universidade Nova de Lisboa, Lisbon, Portugal, 6-7 November 2013. Stojanov, R., B. DuÅ¾Ã­, D. Vikhrov, and I. Kelman. 2013. "Climate Extremes Impacts and Migration as Adaptation in Bangladesh: The Local Experts' Knowledge And Perception". Pp. 667-674 in Proceedings of the 14th International Scientific Conference, International Relations 2013, Contemporary Issues of World Economics and Politics, University of Economics in Bratislava, Smolenice Castle, Slovakia, 5-6 December 2013. Stojanov, R., B. DuÅ¾Ã­, D. Vikhrov, I. Kelman, D. JuÅ™iÄ�ka, and J. Kynicky. 2013. "Household Coping with and Adapting to River Flood Risk: Case Study of BeÄ�va River Basin". Presentation at Migrants in a World of Environmental Transformations, Universidade Nova de Lisboa, Lisbon, Portugal, 6-7 November 2013. Stojanov, R. and I. Kelman. 2015. "Climate Extreme Impacts and Population Movement in Maldives. What is role of climate justice and responsibility?" Presentation at Climate Justice in Environmental Migration, Thessaloniki, Greece, 16-17 September 2015. Stojanov, R. and I. Kelman. 2016. "Typology of Environmentally-Induced Population Movement". TransRe, University of Bonn, Bonn, Germany, full text (as a webpage). Stojavov, R., I. Kelman, I. Boas, and B. DuÅ¾Ã­. 2017. "Local Expert Experiences and Perceptions of Environmentally Induced Migration from Bangladesh To India". Asia Pacific Viewpoint, vol. 58, no. 3, pp. 347-361. Stojavov, R., I. Kelman, and B. DuÅ¾Ã­. 2014. "Environment and Migration". Pp. 229-248 in A.U. Zaratiegui (ed. 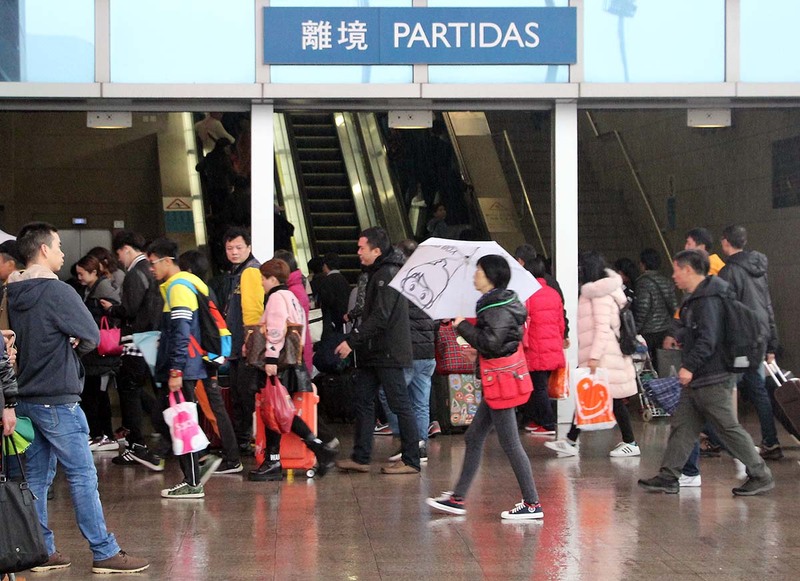 ), Migraciones en el Nuevo Milenio. Una mirada desde el PaÃ­s Vasco / Migrations in the New Millenium. A look from the Basque Country. University of the Basque Country, Leioa, Spain. Stojanov, R., I. Kelman, and B. DuÅ¾Ã­. 2015. "Floods and migration in the Czech Republic". Forced Migration Review, issue 49 (May 2015), pp. 49-50. Stojanov, R., I. Kelman, B. DuÅ¾Ã­, and D. ProchÃ¡zka. 2014. "Local Expert Perceptions of Environment and Population Dynamics in Bangladesh: Different Perspectives From Non-Governmental, Public and Academic Sectors?" Presentation at Organizational Perspectives on Environmental Migration, Rome, Italy, 7-8 November 2014. Stojanov, R., I. Kelman, B. DuÅ¾Ã­, D. Vikhrov, and D. JuÅ™iÄ�ka. 2013. "Climate Extremes Impacts and Migration in South Asia: The Concept and Local Experts' Knowledge and Perception". Pp. 344-353 in the Proceedings of the 5th Annual International Scientific Conference, Region in the Development of Society, Mendel University in Brno, Brno, Czech Republic, 10 October 2013. Stojanov, R., I. Kelman, D. ProchÃ¡zka, D. NÄ›mec, and B. DuÅ¾Ã­. 2017 (August 3). "Climate Change and Migration in Maldives". Georgetown Journal of International Affairs, full text (as a webpage). Stojavov, R., I. Kelman, S. Shen, B. DuÅ¾Ã­, H. Upadhyay, D. Vikhrov, G.J. Lingaraj, and A. Mishra. 2014. "Contextualising typologies of environmentally induced population movement". Disaster Prevention and Management, vol. 23, no. 5, pp. 508-523. Stojanov, R., I. Kelman, A.A. Ullah, B. DuÅ¾Ã­, D. ProchÃ¡zka, and K.K. BlahÅ¯tovÃ¡. 2017. "Local Expert Perceptions of Migration as Climate Change Adaptation in Bangladesh". Sustainability, vol. 8, no. 12, article 1223, full text (as a webpage). Stojanov, R., I. Kelman, D. Vikhrov, B. DuzÃ­, and D. ProchÃ¡zka. 2014. "Sea-Level Rise Impacts and Human Mobility: Will Maldivians Move to Detroit?" Presentation at the Environmental changes and human mobility workshop, Bern, Switzerland, 24 October 2014. Stojanov, R., D. Vikhrov, B. DuÅ¾Ã­, and I. Kelman. 2014. "Climate Extremes Impacts and Population Movement in the Maldives". Presentation at Understanding and modelling the migration decision making process under a changing climate, University of Algarve, Faro, Portugal, 15 May 2014. Upadhyay, H., I. Kelman, G.J. Lingaraj, A. Mishra, C.M. Shreve, and R. Stojanov. 2015. "Conceptualizing and Contextualizing Research and Policy for Links between Climate Change and Migration". International Journal of Climate Change Strategies and Management, vol. 7, no. 3, pp. 394-417. Upadhyay, H., I. Kelman, and D. Mohan. 2015. "Everyone likes it here". Forced Migration Review, issue 49 (May 2015), pp. 65-66. Garland, A., F. Brower, A. Bukvic, I. Kelman, T. Scott, S. Moore, and M. Clayton. 2017. "PERCIAS Applied Theater (Perceptions of Risk, Communication, Interpretation, and Action in Social-Ecological Systems) in Barrow, Alaska". Presentation at the 77th Annual Meeting of the Society for Applied Anthropology, Santa Fe, New Mexico, U.S.A., 28 March - 1 April 2017. Garland, A., H. Kilioni, F. Brower, A. Bukvic, T. Scott, I. Kelman, R. Barrios, M. Clayton, and S. Moore. 2016. "PERCIAS Applied Theater (Perceptions of Risk, Communication, Interpretation, and Action in Social-Ecological Systems) in Barrow". Presentation at Canadian Risk and Hazards Network: 13th Annual Symposium, MontrÃ©al, QuÃ©bec, 23-25, November 2016. Kelman, I. 2003. "Defining Risk". FloodRiskNet Newsletter, issue 2, Winter 2003, pp. 6-8, full text (166 kb in PDF). Kelman, I. 2004. "Hyperbaric hyperbole or blinkered bosses?" Public Safety Diver Monthly, Issue 9 (August), pp. 26-27, full text (14 kb in PDF). Kelman, I. 2004. "Risky Buildings, Building Risk". Fragilecologies, 7 April 2004, full text (50 kb in PDF). Kelman, I. 2004. "The Risk Not Taken". RiskPost: The Newsletter of the New Zealand Society for Risk Management, issue 3, no. 4 (March), pp. 8-9, full text (18 kb in PDF). Kelman, I. 2007. "Dynamics and Vulnerability of River Delta Systems: Developing a Research Agenda and Implementation Plan". Global Water News, no. 5/6, December 2007, pp. 13-14, full text (9 kb in PDF). Kelman, I. 2016. "Arctic Risks and Rewards" UCL Events Blog, 25 June 2016, full text (as a webpage). Kelman, I. 2009. "Deltas at Risk". INPRINT: Land-Ocean Interactions in the Coastal Zone, issue 2009-1, pp. 17-19, full text (713 kb in PDF). Kelman, I. 2016. "Norway safety campaigns: nannying, or sound?" The Foreigner, 1 July 2016, full text (as a webpage). Overeem, I. and J.P.M. Syvitski (eds.) with contributing authors R.G. Brakenridge, J.W. Day Jr., L. Giosan, M.T. Hannon, P.R. Hill, W.G. Hood, I. Kelman, A.J. Kettner, H.H. Kremer, R. Nicholls, C. Paola, J.D. Restrepo, Y. Saito, A. de Sherbinin, C. Simenstad, C.J. VÃ¶rÃ¶smarty, J. Weichselgartner. 2009. Dynamics and Vulnerability of Delta Systems. Land-Ocean Interactions in the Coastal Zone (LOICZ) Reports & Studies No. 35. GKSS Research Center, Geesthacht, Germany. Silvast, A. and I. Kelman. 2013. "Is the Normal Accidents perspective falsifiable?" Disaster Prevention and Management, vol. 22, no. 1, pp. 7-16, abstract (8 kb in PDF). 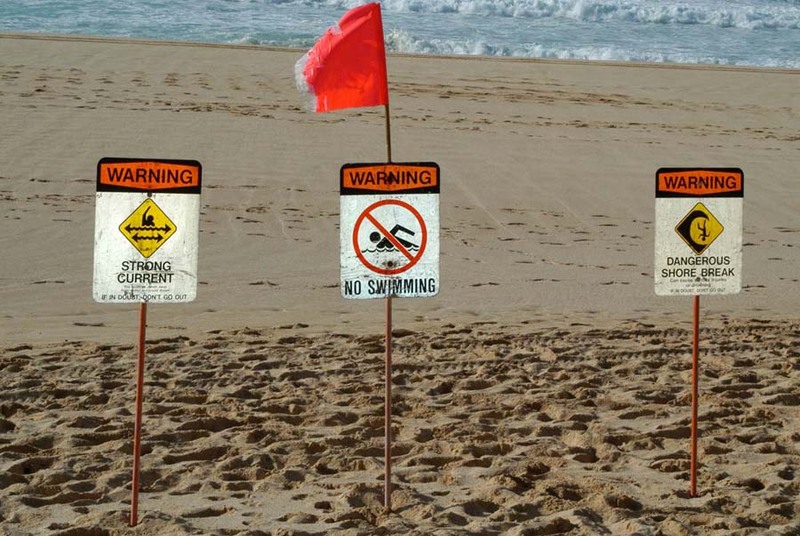 Risks come in threes, at least on Oahu, Hawai'i. Architectes sans FrontiÃ¨res Cambridge. 2003. "Architectes sans FrontiÃ¨res Cambridge". Scroope, no. 15, pp. 77-80, full text (427 kb in PDF). Burns, T.R., M. Carson, I. Kelman, S. Littlefield, N. Machado, and F. Sprei. 2011. "The Stockholm Memorandum: Tipping the Scales Toward Sustainability - Neglected Knowledge and the Potential Role of the Social Sciences and Humanities". Mother Pelican: A Journal of Sustainable Human Development, vol. 7, no. 11, p. 2. Burns, T., N. Machado des Johansson, D. Calvo, U. Corte, A. Walker, I. Kelman, and M. Freitas. 2016. "The Sociology of Complex Social Systems: Applications of Moderns Systems Theory to Practical Problems". Presentation at the 3rd ISA Forum of Sociology, Vienna, Austria, 10-14 July 2016. Cornell, S., A. Downing, D. Clark (Lead Authors) and A. Bickford, A. Blom, M. Carson, W. Goodwin, I. Kelman, J. Lefevre, A.L. Lovecraft, T. McGovern, C. Strambo, and A. Yurova. 2016. "Multiple Arctics: Resilience in a region of diversity and dynamism". Chapter 2, pp. 27-61 in Arctic Resilience Assessment Secretariat, Arctic Resilience Report 2016, Stockholm Environment Institute and the Stockholm Resilience Centre, Stockholm, Sweden. Dodds, R., I. Kelman, N. Thiesen, A. McDougall, J. Garcia, and T. Bessada. 2012. "Industry Perspectives on Carbon Offsetting Programs in Canada and the USA". Sustainability: Science, Practice, & Policy, vol. 8, no. 2, pp. 31-41. Hirano, S., E. Kayumba, A. Grafweg, and I. Kelman. 2011. "Developing Rwandaâ€™s schools infrastructure standards and guidelines". International Journal of Disaster Resilience in the Built Environment, vol. 2, no. 1, pp. 30-46, abstract (8 kb in PDF). Ieromonachou, P., I. Kelman, and R. Dodds. 2012. "Sustainable tourism cities: Opportunities and challenges for transport and energy in Cyprus". Poster at the 1st International conference on Urban Sustainability and Resilience, London, U.K., 5-6 November 2012. Karlsson, M. and I. Kelman. 2011. "Belizean Fishing Communities in the Context of Change". NORGLOBAL dissemination seminar, VoksenÃ¥sen Hotel, Oslo, Norway, 25 October 2011. Karlsson, M. and I. Kelman. 2012. "An historical exploration into livelihood shifts in coastal Belize". Development for a Finite Planet: Grassroots perspectives and responses to climate change, resource extraction and economic development: Norwegian Association for Development Research (NFU) Conference 2012, Oslo, Norway, 26-27 November 2012. Karlsson, M. and I. Kelman. 2012. "Fishing in a sea of climate change". The Foreigner, 10 August 2012, full text (as a webpage). Kelman, I. 1996. Modifying and Testing a Length Modulated Radiometer Used for Measuring Atmospheric Carbon Monoxide and Methane. Bachelor of Applied Science dissertation, University of Toronto, Canada, full text (as a webpage). Kelman, I. 2002. "Wind Farm Ecocrimes". Fragilecologies, 16 July 2002, full text (25 kb in PDF). Kelman, I. 2004. "American in Canberra". Scoop, 12 July 2004, 1:20 pm, full text (as a webpage). Kelman, I. 2004. "Could football and flash mobs save the planet?" All Aboard, the newsletter of National Playbus Association Scotland, Issue 5, Autumn, pp. 6-7, full text (48 kb in PDF). Kelman, I. 2007. "Architects and Architecture Serving Society". Building Research and Information, vol. 35, no. 5, pp. 588-594. Kelman, I. 2007. "Scientific Outreach for Scientific Advocacy". Weather and Society Watch, vol. 2, no. 1, pp. 5-6, full text (97 kb in PDF). Kelman, I. 2007. "Simple Tips for Interacting with the Media". Weather and Society Watch, vol. 2, no. 1, p. 6, full text (96 kb in PDF). Kelman, I. 2008. "Controlling Arms and Terror in the Asia Pacific: After Bali and Baghdad. Edited by Marika Vicziany". Pacific Affairs, vol. 80, no. 3, pp. 498-499. Kelman, I. 2009. "Continuing Ethical Livelihoods for Arctic Peoples Despite Change". Pp. 267-277 in UNESCO (ed. ), Climate Change and Arctic Sustainable Development, UNESCO, Paris, France. Kelman, I. 2009. "Poverty is relative, hunger is absolute". Fragilecologies, 25 October 2009, full text (46 kb in PDF). Kelman, I. 2011. "Cut carbon, or coast to a halt". The Foreigner, 13 November 2011, full text (as a webpage). Kelman, I. 2011. 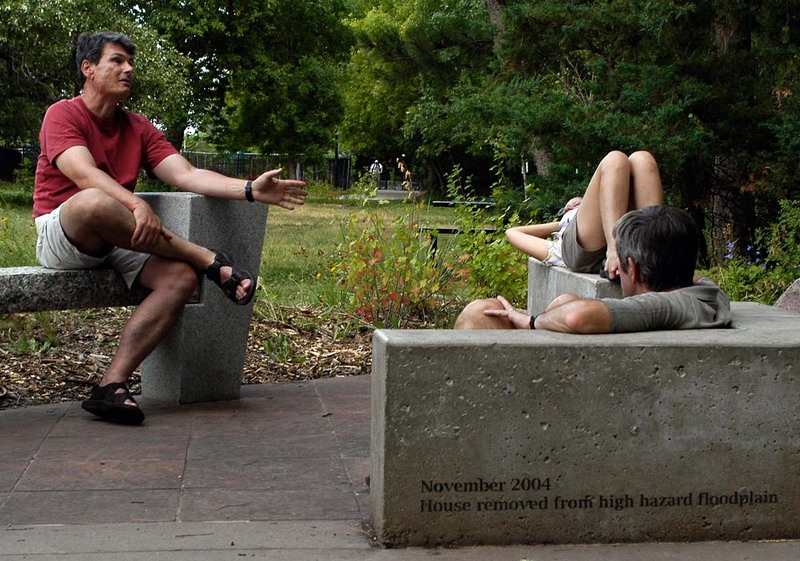 "Ecological design: lessons from history and today (Review of Ignorance and Surprise. Science, Society, and Ecological Design)". Building Research & Information, vol. 39, no. 3, pp. 320-322. Kelman, I. 2011. "From Blind Copying (bcc) to Basics (abc) in Science". Fragilecologies, 8 February 2011, full text (41 kb in PDF). Kelman, I. 2011. "It takes CO2 to tango". The Foreigner, 3 November 2011, full text (as a webpage). Kelman, I. 2011. "Norway Oil and Energy Ministerâ€™s black period". The Foreigner, 6 October 2011, full text (as a webpage). Kelman, I. 2011. "The dangers of nuclear power". London Evening Standard, 14 March 2011. Kelman, I. 2012. "$1 a day â€“ more or less". MAHB: Millennium Alliance for Humanity & the Biosphere, 12 March 2012, full text (as a webpage). Kelman, I. 2012. "A Curse on Being Creative". Fragilecologies, 23 September 2012, full text (32 kb in PDF). Kelman, I. 2012. "A sweet or sour environment". The Foreigner, 9 May 2012, full text (as a webpage). Kelman, I. 2012. "Can we communicate our way to sustainability?" The Foreigner, 8 April 2012, full text (as a webpage). Kelman, I. 2012. "Cold weather, hot topics". The Foreigner, 16 March 2012, full text (as a webpage). Kelman, I. 2012. "Corporate conundrums". The Foreigner, 30 November 2012, full text (as a webpage). Kelman, I. 2012. "Eco-weaponry". MAHB: Millennium Alliance for Humanity & the Biosphere, 8 August 2012, full text (as a webpage). Kelman, I. 2012. "Eradicating Ecocide". MAHB: Millennium Alliance for Humanity & the Biosphere, 2 November 2012, full text (as a webpage). Kelman, I. 2012. "For the love of science". The Foreigner, 6 October 2012, full text (as a webpage). Kelman, I. 2012. "Get off the counter and into the climate". The Foreigner, 5 January 2012, full text (as a webpage). Kelman, I. 2012. "Globalt varsel for de neste 40 Ã¥r" / "A Global Forecast for the Next Forty Years" (translated by Jorunn Gran). Klima, no. 5, p. 34, full text in English (34 kb in PDF) and full text in Norwegian (84 kb in PDF). Kelman, I. 2012. "Harnessing sporting energy". MAHB: Millennium Alliance for Humanity & the Biosphere, 20 April 2012, full text (as a webpage). Kelman, I. 2012. "Heating up the capital". The Foreigner, 15 December 2012, full text (as a webpage). Kelman, I. 2012. "If you care about the climate, dance". The Foreigner, 24 February 2012, full text (as a webpage). Kelman, I. 2012. "Mosquitoes and Lemurs: Bransonâ€™s Island Sustainability?" ISISA Newsletter (International Small Islands Studies Association), vol. 10, no. 1, p. 6, full text (352 kb in PDF) and MAHB: Millennium Alliance for Humanity & the Biosphere, 13 June 2012, full text (as a webpage). Kelman, I. 2012. "Norwegian gender equality can be refined". The Foreigner, 7 May 2012, full text (as a webpage). Kelman, I. 2012. "Norwegian oil help: A mixed blessing?" The Foreigner, 24 September 2012, full text (as a webpage). Kelman, I. 2012. "Petrol and philosophy". The Foreigner, 17 November 2012, full text (as a webpage). Kelman, I. 2012. "Phoning home for sustainability". MAHB: Millennium Alliance for Humanity & the Biosphere, 25 March 2012, full text (as a webpage). Kelman, I. 2012. "Putting humans on environmental trial". The Foreigner, 2 November 2012, full text (as a webpage). Kelman, I. 2012. "Road-sharing for hogs". The Foreigner, 4 September 2012, full text (as a webpage). Kelman, I. 2012. "Striking a Dilemma". The Foreigner, 13 July 2012, full text (as a webpage). Kelman, I. 2012. "Sustainable T-shirts?" MAHB: Millennium Alliance for Humanity & the Biosphere, 17 May 2012, full text (as a webpage). Kelman, I. 2012. "To peak or not to peak?" MAHB: Millennium Alliance for Humanity & the Biosphere, 11 July 2012, full text (as a webpage). Kelman, I. 2012. "We need more than graphene". MAHB: Millennium Alliance for Humanity & the Biosphere, 27 December 2012, full text (as a webpage). Kelman, I. 2013. "Are electric cars the way of the future?" The Foreigner, 31 December 2013, full text (as a webpage). Kelman, I. 2013. "Business as usual?" The Foreigner, 1 January 2013, full text (as a webpage). Kelman, I. 2013. "Cooperating for the climate". The Foreigner, 15 June 2013, full text (as a webpage). Kelman, I. 2013. "Energy thirst-quenching via osmosis". The Foreigner, 21 January 2013, full text (as a webpage). Kelman, I. 2013. "No climate for trains in Norway?" The Foreigner, 4 May 2013, full text (as a webpage). Kelman, I. 2013. "Norway youths act for the climate: A musical". The Foreigner, 6 September 2013, full text (as a webpage). Kelman, I. 2013. "Nuking our future generations and their energy". The Foreigner, 20 April 2013, full text (as a webpage). Kelman, I. 2013. "One person's rubbish is another person's treasure". The Foreigner, 10 March 2013, full text (as a webpage). Kelman, I. 2013. "Osmotic Energy". MAHB: Millennium Alliance for Humanity & the Biosphere, 10 February 2013, full text (as a webpage). Kelman, I. 2013. "The climate conference conundrum". The Foreigner, 14 July 2013, full text (as a webpage). Kelman, I. 2013. "The global Chimera: A lecture about threats". The Foreigner, 19 October 2013, full text (as a webpage). Kelman, I. 2013. "VisjonÃ¦r allianse" / "Foresight intelligence" (translated by Jorunn Gran). Klima, no. 2, p. 13, full text in English (24 kb in PDF) and full text in Norwegian (162 kb in PDF). Kelman, I. 2014. "Can aid be improved?" The Foreigner, 2 May 2014, full text (as a webpage). Kelman, I. 2014. "Choosing tax or fat for the environment". The Foreigner, 10 September 2014, full text (as a webpage). Kelman, I. 2014. "Giving EVs a Norwegian boost?" The Foreigner, 10 August 2014, full text (as a webpage). Kelman, I. 2014. "Looking beyond the oil horizon". The Foreigner, 17 March 2014, full text (as a webpage). Kelman, I. 2014. "Russia and petroleum: Two colliding challenges for Arctic governance". The Foreigner, 6 December 2014, full text (as a webpage). Kelman, I. 2014. "Tackling climate change as a single SDG could backfire", scidev.net, full text (as a webpage). Kelman, I. 2014. "To travel, or not to travel". The Foreigner, 1 November 2014, full text (as a webpage). Kelman, I. 2015. "A challenging and major sustainability year". The Foreigner, 7 February 2015, full text (as a webpage). Kelman, I. 2015. "A greener Norwegian capital?" The Foreigner, 1 October 2015, full text (as a webpage). Kelman, I. 2015. "Arctic petroleum and Corporate Social Responsibility interpretations". The Foreigner, 2 November 2015, full text (as a webpage). Kelman, I. 2015. "Get involved in the climate debate". The Foreigner, 3 January 2015, full text (as a webpage). Kelman, I. 2015. "Stereotypes about Norway are rampant". The Foreigner, 28 February 2015, full text (as a webpage). Kelman, I. 2015. "There's more to kroner than oil". The Foreigner, 2 September 2015, full text (as a webpage). Kelman, I. 2015. "Will the next UNSG be a Norwegian female?" The Foreigner, 14 August 2015, full text (as a webpage). Kelman, I. 2016. "Chords of discontent? Sustainability via musical irony". MAHB: Millennium Alliance for Humanity & the Biosphere, 23 August 2016, full text (as a webpage). Kelman, I. 2016. "Counterfactual history and Norway". The Foreigner, 29 April 2016, full text (as a webpage). Kelman, I. 2016. "Economizing on Economics". MAHB: Millennium Alliance for Humanity & the Biosphere, 26 July 2016, full text (as a webpage). Kelman, I. 2016. "Food on ice". The Foreigner, 30 September 2016, full text (as a webpage). Kelman, I. 2016. "Grubby grub". MAHB: Millennium Alliance for Humanity & the Biosphere, 25 October 2016, full text (as a webpage). Kelman, I. 2016. "Oil realism in the Arctic". The Foreigner, 10 February 2016, full text (as a webpage). Kelman, I. 2016. "ON IN London Now: The Underground". OnIn London, 13 January 2016, full text (as a webpage). Kelman, I. 2016. "Polar policies in focus". The Foreigner, 3 December 2016, full text (as a webpage). Kelman, I. 2016. "Practicalities of political agency". Letter to the Editor in Science, vol. 351, no. 6271, pp. 348-349. Kelman, I. 2016. "Profiles of Norwegian science: Corporate social responsibility for Arctic oil". The Norwegian American, 11 August 2016, full text (as a webpage). Kelman, I. 2016. "Transforming transformation". MAHB: Millennium Alliance for Humanity & the Biosphere, 26 April 2016, full text (as a webpage). Kelman, I. 2016. "Transport and the environment: what to do, what to do, what to do?" The Foreigner, 3 November 2016, full text (as a webpage). Kelman, I. 2017. "Arcticness". Presentation at the European Consortium for Political Research General Conference, Oslo, Norway, 6-9 September 2017. Kelman, I. (ed.). 2017. Arcticness: Power and Voice from the North. UCL Press, London, U.K. with blogs of an excerpt published as I. Kelman, 2017, "Arcticness as a home", UCL Press blog, 16 August 2017, full text (as a webpage) and I. Kelman, 2018 (September 15), "Arcticness as a home", JONAA: Journal of the North Atlantic and Arctic, full text. Kelman, I. 2017. "Ask not what democracy can do for you, but what you can do for democracy". The Foreigner, 3 January 2017, full text (as a webpage). Kelman, I. 2017. "Energyâ€™s environmental costs and falling between the cracks". The Foreigner, 28 February 2017, full text (as a webpage). Kelman, I. 2017. "Norway's oil industry: global perspectives, local views". The Foreigner, 31 March 2017, full text (as a webpage). Kelman, I. 2017. "Profiles of Norwegian science: Conference debates northern topics". The Norwegian American, 10 December 2017, full text (as a webpage). Kelman, I. 2017. "Profiles of Norwegian science: Creativity or Conformity?". The Norwegian American, 29 December 2017, full text (as a webpage). Kelman, I. 2017. "Profiles of Norwegian science: Northernmost conferences". The Norwegian American, 21 September 2017, full text (as a webpage). Kelman, I. 2017. "Profiles of Norwegian science: Russia, Norwayâ€™s High North neighbor". The Norwegian American, 1 July 2017, full text (as a webpage). Kelman, I. 2017. "Profiles of Norwegian science: Social science research institutes evaluated". The Norwegian American, 19 April 2017, full text (as a webpage). Kelman, I. 2017. "Profiles of Norwegian science: Writing the book on 'Arcticness'". The Norwegian American, 31 October 2017, full text (as a webpage). Kelman, I. 2017. "Russia, Norway, and social science" The Foreigner, 30 May 2017, full text (as a webpage). Kelman, I. 2017. "Should Norway's pension fund divest from cars and motorways?" The Foreigner, 2 May 2017, full text (as a webpage). Kelman, I. 2017. "What about science diplomacy?" The Foreigner, 30 January 2017, full text (as a webpage). Kelman, I. 2018. "Futures of Academic Publishing". UCL Press blog, 5 June 2018, full text. Kelman, I. 2018. "Profiles of Norwegian science: Combining anthropology and ecologyThe Norwegian American, 11 January 2018, full text (as a webpage). Kelman, I. 2018. "Profiles of Norwegian science: Findings shared at sociology congress". The Norwegian American, 22 August 2018, full text (as a webpage). Kelman, I. 2018. "Profiles of Norwegian science: Report on interdisciplinary research". The Norwegian American, 11 July 2018, full text (as a webpage). Kelman, I. 2018. "Profiles of Norwegian science: Science with China". The Norwegian American, 18 September 2018, full text (as a webpage). Kelman, I. 2018. "Profiles of Norwegian science: Studying borders to understand nations". The Norwegian American, 26 July 2018, full text (as a webpage). Kelman, I. 2018. "Transforming resilience and resilient transformation". Presentation at World Conference on Humanitarian Studies, The Hague, Netherlands, 27-29 August 2018. Kelman, I. 2019. "Profiles of Norwegian science: A sporting chance for research". The Norwegian American, 6 February 2019, full text (as a webpage). Kelman, I. 2019. "Profiles of Norwegian science: Is competitive research funding best?". The Norwegian American, 9 January 2019, full text (as a webpage). Kelman, I., J.S.P. Loe, E.W. Rowe, E. Wilson, N. Poussenkova, E. Nikitina, and D. FjÃ¦rtoft. 2014. "Corporate Social Responsibility for Arctic Petroleum". Presentation at Norway-Russia - Research Cooperation and Development in the High North, Oslo, Norway, 19-20 November 2014. Kelman, I., J.S.P. Loe, E.W. Rowe, E. Wilson, N. Poussenkova, E. Nikitina, and D.B. FjÃ¦rtoft. 2016. "Local perceptions of corporate social responsibility for Arctic petroleum in the Barents region". Arctic Review on Law and Politics, vol. 7, no. 2, pp. 152-178, full text (as a webpage); republished as I. Kelman, J.S.P. Loe, E. Wilson Rowe, E. Wilson, N. Poussenkova, E. Nikitina, and D.B. FjÃ¦rtoft, 2018, â€œArctic Petroleum: Local Perceptionsâ€�, Chapter 3, pp. 51-82 in G. Honneland, I.F. Soltvedt, and S.V. Rottem, Arctic Governance: Volume II: Energy, Living Marine Resources and Shipping, I.B. Tauris, London, U.K.
Kelman, I., J.S.P. Loe, E. Wilson, E.W. Rowe, N. Poussenkova, E. Nikitina, and D. FjÃ¦rtoft. 2016. "Perceptions of corporate social responsibility for Arctic petroleum in Russia and Norway". Presentation at Arctic Frontiers, TromsÃ¸, Norway, 25-29 January 2016. Kelman, I., J.S.P. Loe, E. Wilson, E.W. Rowe, N. Poussenkova, E. Nikitina, and D. FjÃ¦rtoft (eds.). 2016. â€œPolicy Recommendations for Corporate Social Responsibility for Arctic Petroleumâ€�. Russian Analytical Digest, no. 181, 6 April 2016. Republished as Kelman, I., J.S.P. Loe, E. Wilson, E.W. Rowe, N. Poussenkova, E. Nikitina, and D. FjÃ¦rtoft, 2016, ÐšÐ¾Ñ€Ð¿Ð¾Ñ€Ð°Ñ‚Ð¸Ð²Ð½Ð°Ñ� Ñ�Ð¾Ñ†Ð¸Ð°Ð»ÑŒÐ½Ð°Ñ� Ð¾Ñ‚Ð²ÐµÑ‚Ñ�Ñ‚Ð²ÐµÐ½Ð½Ð¾Ñ�Ñ‚ÑŒ (CSR) Ð¸ Ð°Ñ€ÐºÑ‚Ð¸Ñ‡ÐµÑ�ÐºÐ°Ñ� Ð½ÐµÑ„Ñ‚ÐµÐ³Ð°Ð·Ð¾Ð´Ð¾Ð±Ñ‹Ñ‡Ð°: Ð¾Ð¿Ñ‹Ñ‚ Ð Ð¾Ñ�Ñ�Ð¸Ð¸ Ð¸ Ð�Ð¾Ñ€Ð²ÐµÐ³Ð¸Ð¸, NUPI Report no. 5, 2016, Norwegian Institute of International Affairs, Oslo, Norway. Kelman, I., E.A. Rosa, T.R. Burns, P. Ehrlich, J. Diamond, N. Machado, D. Kennedy, and L. Olsson. 2013. "Millennium Alliance for Humanity and the Biosphere (MAHB): Integrating Social Science and the Humanities into Solving Sustainability Challenges". Presentation at the 19th International Symposium on Society and Resource Management, Estes Park, Colorado, U.S.A. 4-8 June 2013. Kelman, I., E.A. Rosa, T.R. Burns, P. Ehrlich, J. Diamond, N. Machado, D. Kennedy, and L. Olsson. 2014. "Millennium Alliance for Humanity and the Biosphere (MAHB): Integrating Social Science and the Humanities into Solving Sustainability Challenges". Chapter 2, pp. 25-43 in M.J. Manfredo, J.J. Vaske, A. Rechkemmer, and E.A. Duke (eds. ), Understanding Society and Natural Resources, Springer, Berlin, Germany. Loe, J.S.P. and I. Kelman. 2016. "Arctic petroleum's community impacts: Local perceptions from Hammerfest, Norway". Energy Research & Social Science, vol. 16, pp. 25-34. Loe, J.S.P., I. Kelman, D.B. FjÃ¦rtoft, and N. Poussenkova. 2017. "Arctic petroleum: Local CSR-perceptions in the Nenets region". Social Responsibility Journal vol. 13, no. 2, pp. 307-322. Nikitina, E., N. Poussenkova, J. Loe, and I. Kelman. 2015. "Sustainable Oil and Gas Practices in The Arctic: Business Responsibility Towards Communities and Environment". Arctic Herald, No. 3(14), pp. 60-73. Orderud, G.I. and I. Kelman. 2011. "Norwegian mayoral awareness of and attitudes towards climate change". International Journal of Environmental Studies, vol. 68, no. 5, pp. 667-686, abstract (7 kb in PDF). Paus, N.S. and I. Kelman. 2013. "Talking about the birds and the bees". The Foreigner, 8 February 2013, full text (as a webpage). Rosa, E.A., D. Kennedy, P. Ehrlich, T.R. Burns, I. Kelman, A. Midttun, and N. Witoszek. 2011. "The Millennium Assessment of Human Behavior - 5+ years later". Mother Pelican: A Journal of Sustainable Human Development, vol. 7, no. 8, p. 2. Sellheim, N., Y.V. Zaika, and I. Kelman (eds.). 2019. Arctic Triumph: Northern Innovation and Persistence. Springer, Basel, Switzerland. Tolton, B.T., I. Kelman, and J.R. Drummond. 1996. "Measurements of Atmospheric Carbon Monoxide with a Length Modulated Radiometer". Presentation at the 30th CMOS (Canadian Meteorological and Oceanographic Society) Congress, Toronto, Canada, 26-31 May 1996, abstract (8 kb in PDF). Zia, A., I. Kelman, and M.H. Glantz. 2015. "Arctic Melting Tests the UN Convention on the Law of the Sea". Chapter 7, pp. 128-140 in R. Pincus and S.H. Ali, Diplomacy on Ice: Energy and the Environment in the Arctic and Antarctic, Yale University Press, London, U.K.
Tongatapu, Tonga's diesel power plant. What sustainable energy solutions exist for small islands? Curran, M.M., Y. Evers, S.H. TÃ¸rnblad, T. Luthe, R. Lawrence, and I. Kelman. 2012. "Comparing full census SNA and snowball sampling methods for accuracy, completeness and efficiency to capture the same business actor network in the Arctic settlement of Longyearbyen on Svalbard, Norway". Presentation at Applications of Social Network Analysis, Zurich, Switzerland, 4-7 September 2012. Dodds, R. and I. Kelman. 2008. "How Climate Change is Considered in Sustainable Tourism Policies: A Case of the Mediterranean Islands of Malta and Mallorca". Tourism Review International, vol. 12, no. 1, pp. 57-70, abstract (8 kb in PDF). Hess, J. and I. Kelman. 2016. "Including Tourism Enterprises to Finance Climate Change Adaptation: Exploring the Potential in Small Island Developing States". Presentation at Anthropology, Weather and Climate Change, London, U.K., 27-29 May 2016. Hess, J. and I. Kelman. 2017. "Tourism Industry Financing of Climate Change Adaptation: Exploring the Potential in Small Island Developing States". Climate, Disaster and Development Journal, vol. 2, no. 2, pp. 33-45. Jacobsen, J.K.S., G.K. Hovelsrud, I. Kelman, T. Rauken, E.J. FÃ¸rland, H. TÃ¸mmervik, and H. Amundsen. 2009 and 2010. "ACTOR - Arctic Climate Change, Tourism, and Outdoor Recreation". Poster at the NORKLIMA Researcher Conference, 19-20 October 2009, Bergen, Norway and at Arctic Frontiers, TromsÃ¸, Norway, 27-29 January 2010, full text (106 kb in PDF). Karlsson, M. and I. Kelman. 2012. "Review of Jack Carlsen & Richard Butler (eds). (2011) Island Tourism: Sustainable Perspectives, Wallingford, Oxfordshire, CABI and Andrew Jones & Michael Phillips (2011) Disappearing Destinations: Climate Change and Future Challenges for Coastal Tourism, Wallingford, Oxfordshire, CABI". Island Studies Journal, vol. 7, no. 1, pp. 159-162. Kelman, I. 2009. "The Ups and Downs of Tourism". Journal of Nordregio, vol. 9, no. 3, pp. 24-25, full text (99 kb in PDF). Kelman, I. 2010. "A Book Review: Volcano & Geothermal Tourism: Sustainable Geo-Resources of Leisure And Recreation". e-Review of Tourism Research, vol. 8, no. 4, pp. 22-25, full text (86 kb in PDF). Kelman, I. 2010. "Foreword by Ilan Kelman". Pp. xiii-xv in S. Graci and R. Dodds, Sustainable Tourism in Island Destinations, Earthscan, London, U.K.
Kelman, I. 2012. "Heritage past the Arctic Circle". The Foreigner, 21 May 2012, full text (as a webpage). Kelman, I. 2014. "Is adventure tourism environmentalist?" The Foreigner, 30 May 2014, full text (as a webpage). Kelman, I. 2016. "Challenging Arctic cruising and safety" The Foreigner, 27 July 2016, full text (as a webpage). Kelman, I. 2017. "Profiles of Norwegian science: Calculating the sustainability of tourism". The Norwegian American, 25 August 2017, full text (as a webpage). Kelman, I. 2018. "Profiles of Norwegian science: Balancing the needs of Arctic tourism". The Norwegian American, 17 May 2018, full text (as a webpage). Kelman, I. and R. Dodds. 2009. "Developing a Code of Ethics for Disaster Tourism". International Journal of Mass Emergencies and Disasters, vol. 27, no. 3, pp. 272-296, abstract (8 kb in PDF) and a summary was reprinted as Kelman, I. and R. Dodds, 2009, "Developing a Code of Ethics for Disaster Tourism", Chapter 3.6, pp. 72-85 in C. D'Mello, J. McKeown, and S. Minninger (eds. ), Disaster Prevention in Tourism: Perspectives on Climate Justice, Ecumenical Coalition on Tourism, Thailand. Kelman, I., T. Luthe, R. Wyss, S.H. TÃ¸rnblad, Y. Evers, M.M. Curran, R.J. Williams, and E.L. Berlow. 2016. "Social network analysis and qualitative interviews for assessing geographic characteristics of tourism business networks". PLOS ONE, vol. 11, no. 6, article e0156028. Kelman, I., T. Rauken, and G.K. Hovelsrud. 2012. "Local Business Perceptions of Weather Impacts on Tourism in Svalbard, Norway". The Northern Review, no. 35 (Spring 2012), pp. 96-124, full text (474 kb in PDF, with kind permission of the publisher). Kelman, I., R. Spence, J. Palmer, M. Petal, and K. Saito. 2008. "Tourists and disasters: lessons from the 26 December 2004 tsunamis". Journal of Coastal Conservation, vol. 12, no. 3, pp. 105-113, abstract (8 kb in PDF). Luthe, T., R. Lawrence, I. Kelman, Y. Evers, M.M. Curran, and S.H. TÃ¸rnblad. 2012. "Network governance and community resilience to climate change - comparing tourism business actor networks in the Arctic community of Longyearbyen on Svalbard with three communities in the Swiss Surselva-Gotthard region by SNA". Presentation at Applications of Social Network Analysis, Zurich, Switzerland, 4-7 September 2012. Rauken, T., I. Kelman, J.K.S. Jacobsen, and G.K. Hovelsrud. 2010. "Who can stop the rain? Perceptions of summer weather effects among small tourism businesses". Anatolia, vol. 21, no. 2, pp. 289-304, abstract (8 kb in PDF). Rauken, T., I. Kelman, and J.K.S. Jacobsen. 2009. "Tourism Livelihoods in Northern Norway: Small business perceptions of climate change and weather variability". Presentation at the 7th International Symposium on Tourism and Sustainability. Travel & Tourism in the Age of Climate Change - Robust Findings, Key Uncertainties, University of Brighton, Brighton, England, 8-10 July 2009. Rauken, T. and I. Kelman. 2012. "The Indirect Influence of Weather and Climate Change on Tourism Businesses in Northern Norway". Scandinavian Journal of Hospitality and Tourism, vol. 12, no. 3, pp. 197-214, abstract (8 kb in PDF). 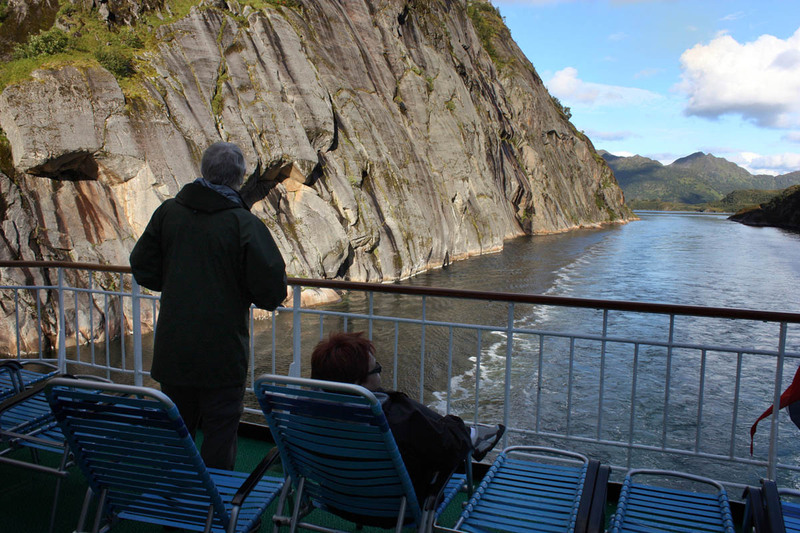 Tourists on the Hurtigruten, the Coastal Express ferry, enjoying Trollfjorden in northern Norway.